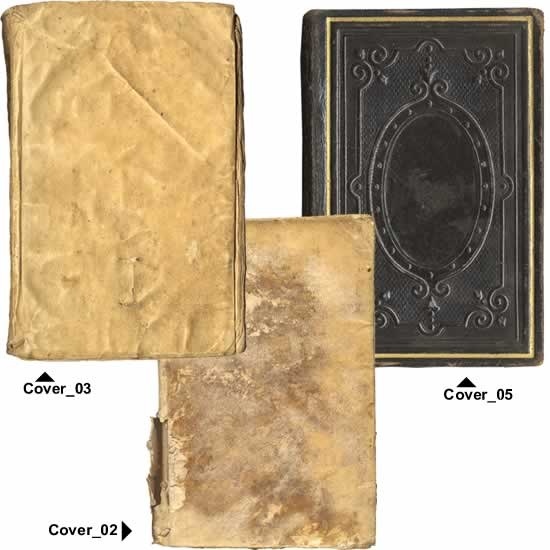 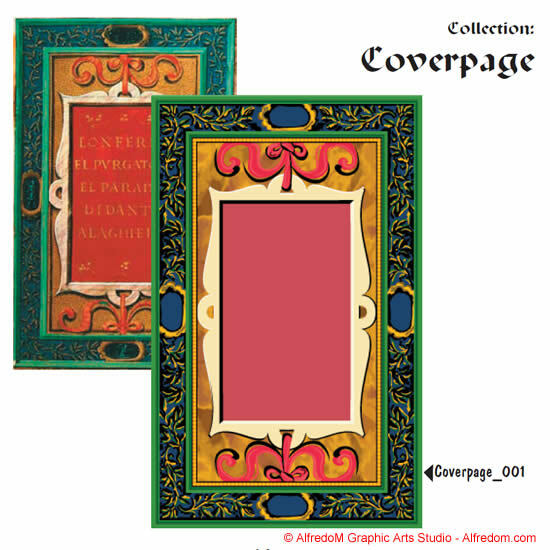 From this page you can preview the contents of each Volume, go directly to the respective Volume pages or order them. 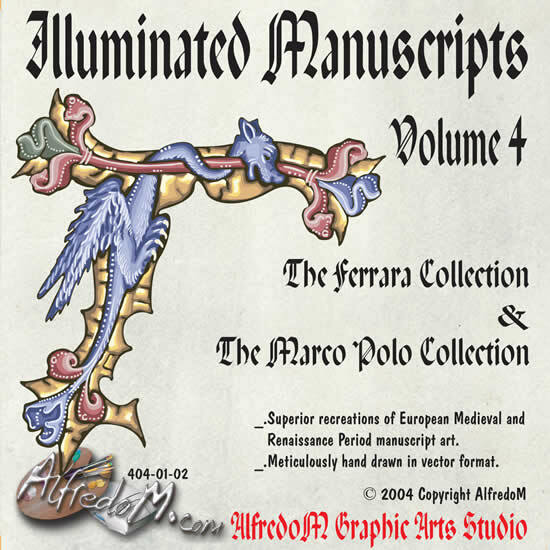 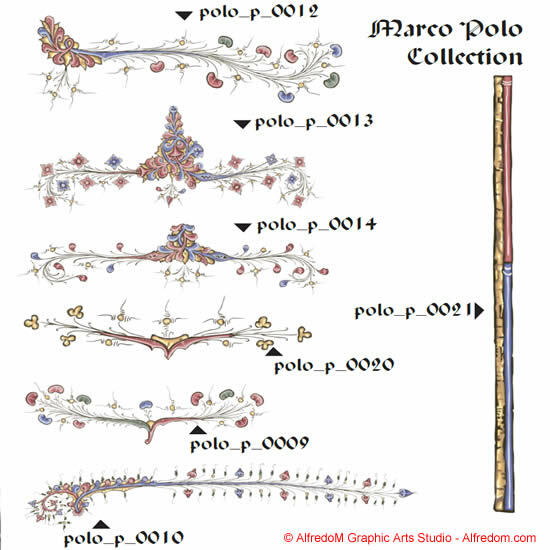 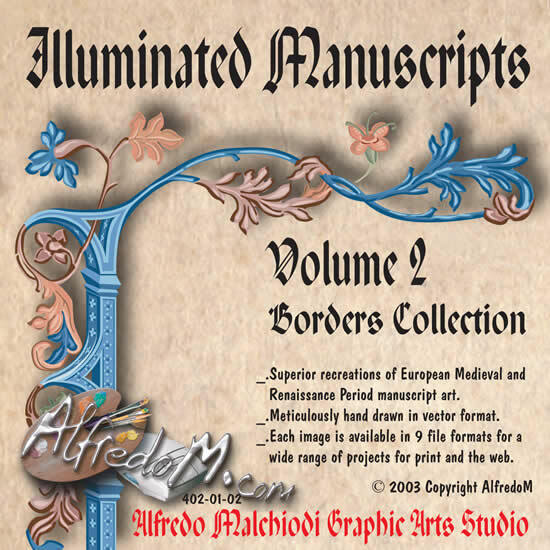 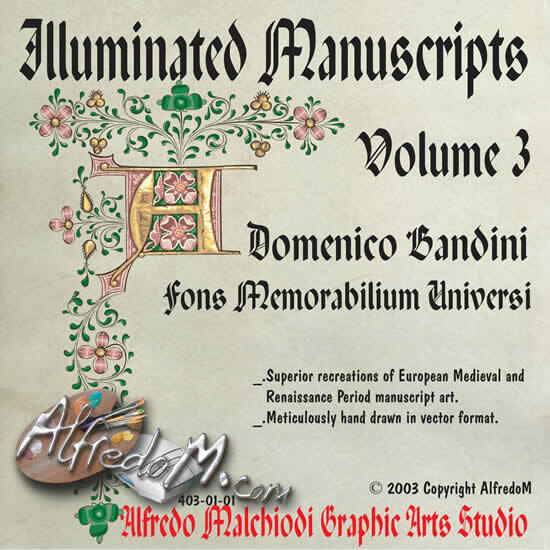 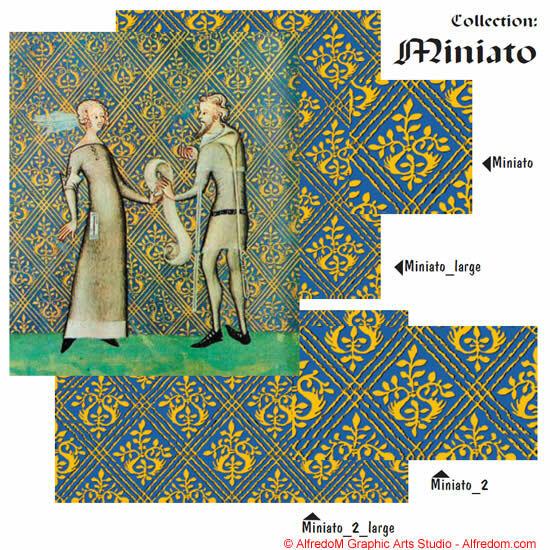 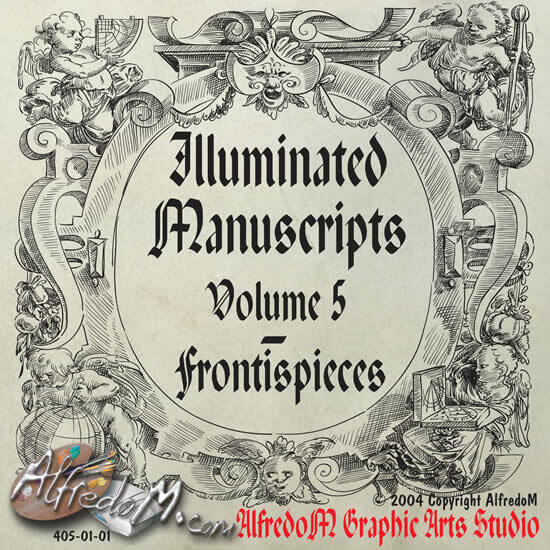 Ancient manuscripts borders, illuminated lettering and decorative graphic elements. 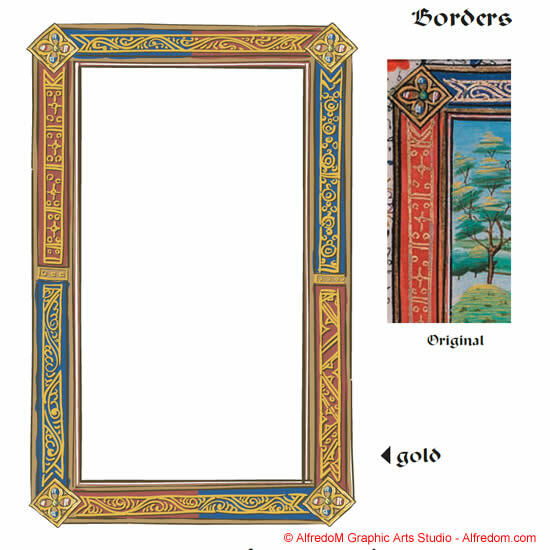 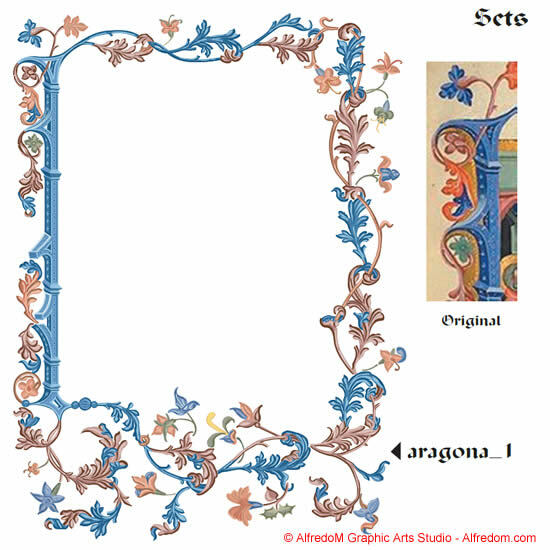 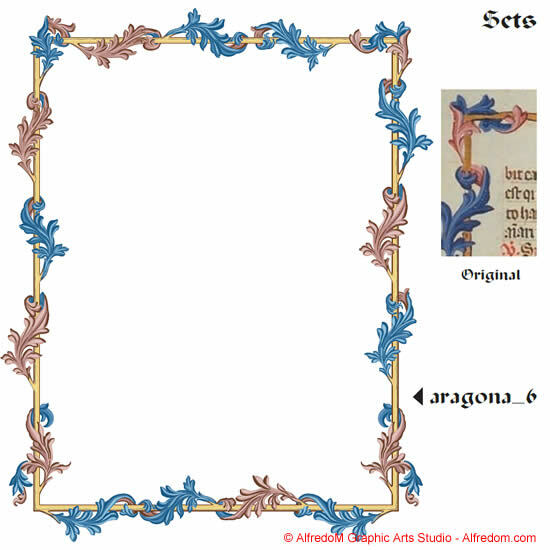 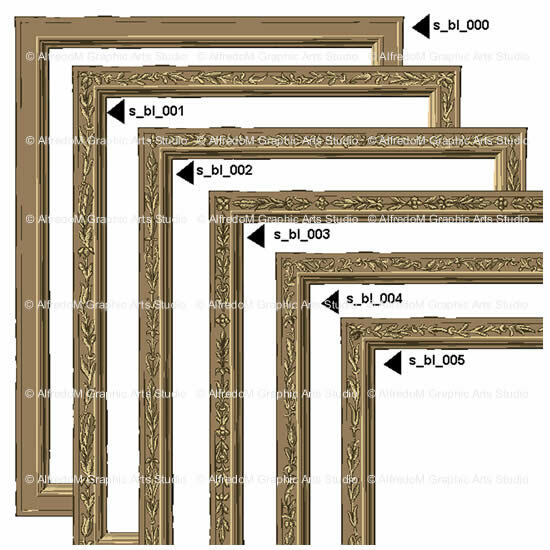 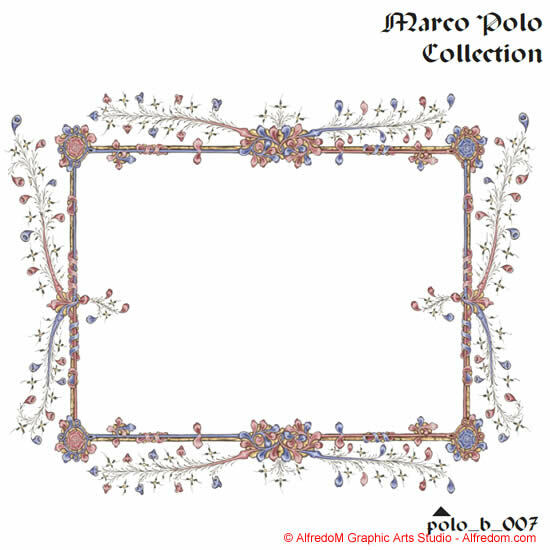 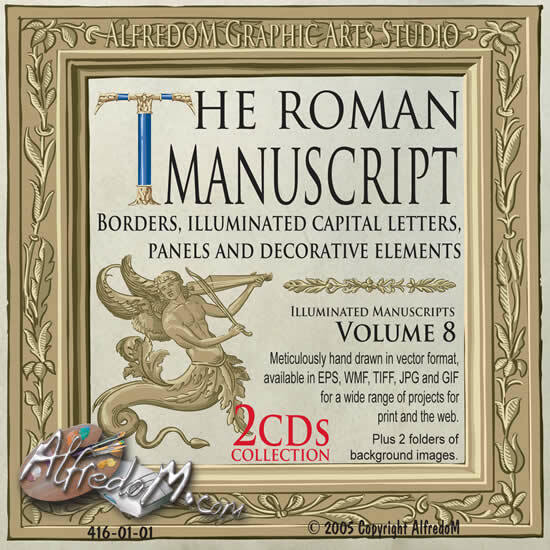 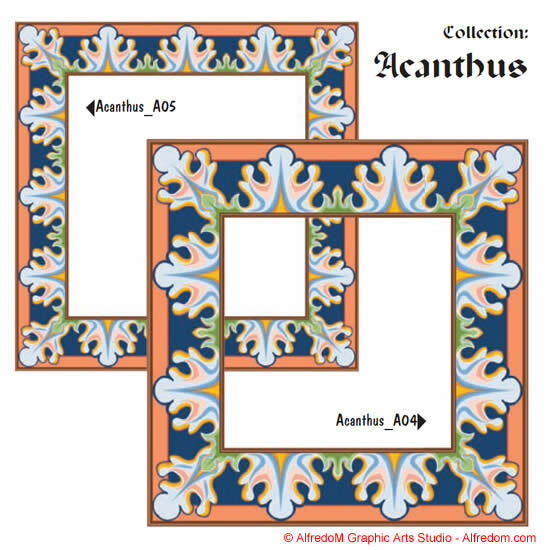 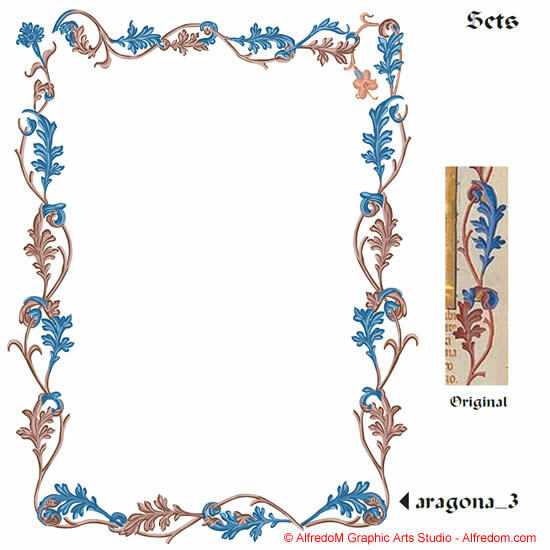 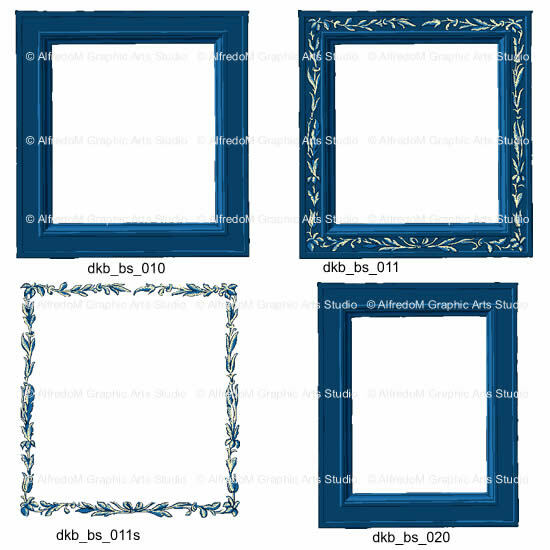 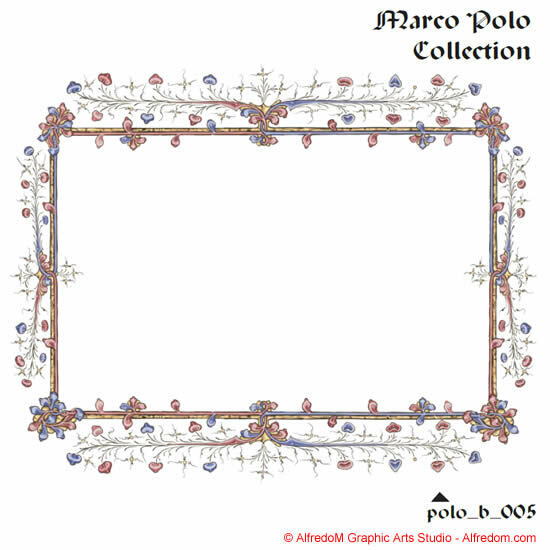 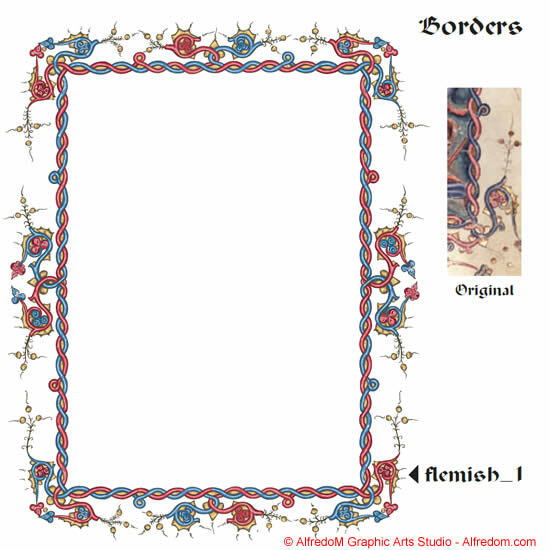 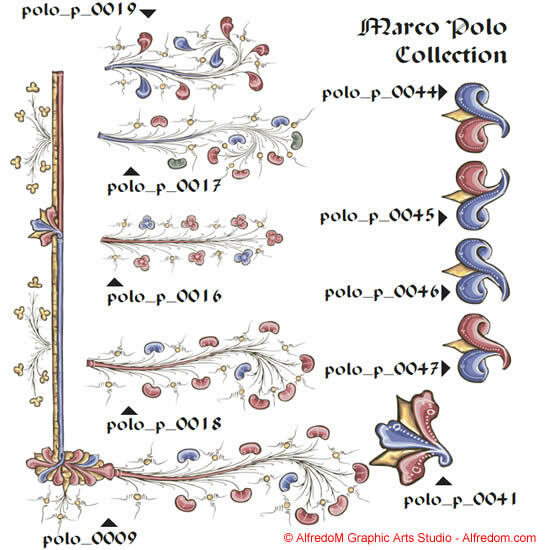 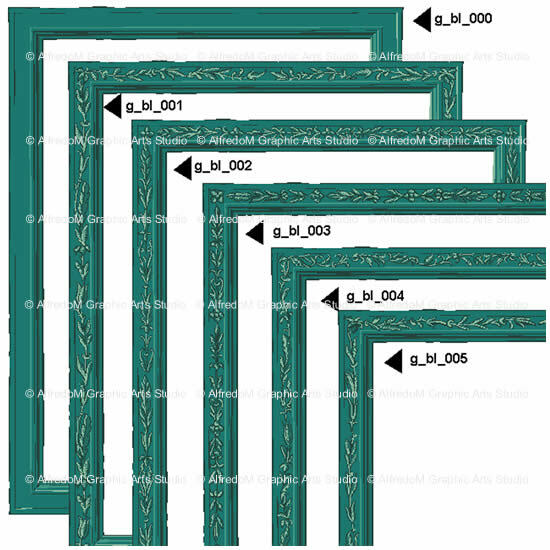 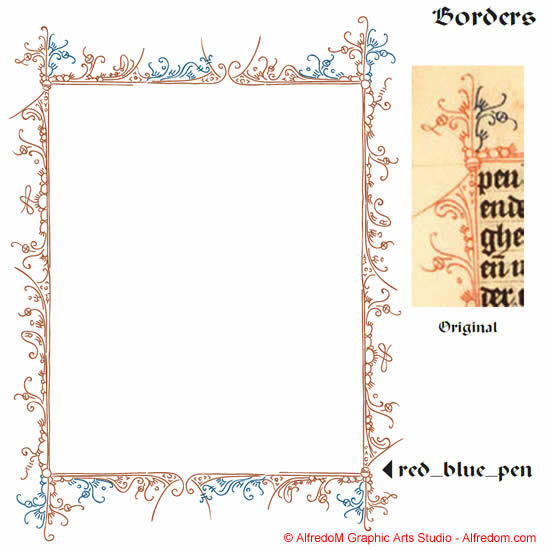 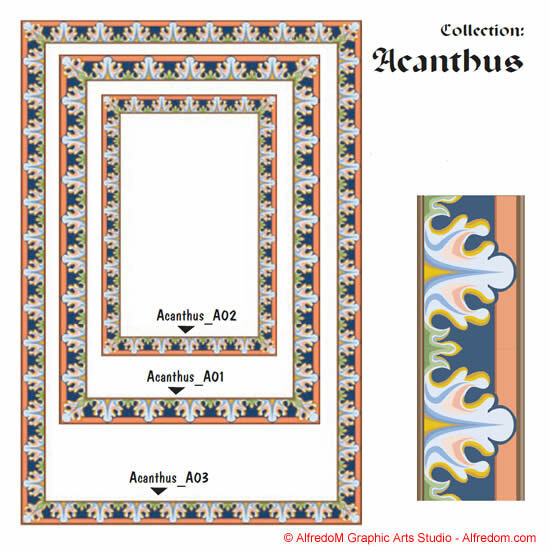 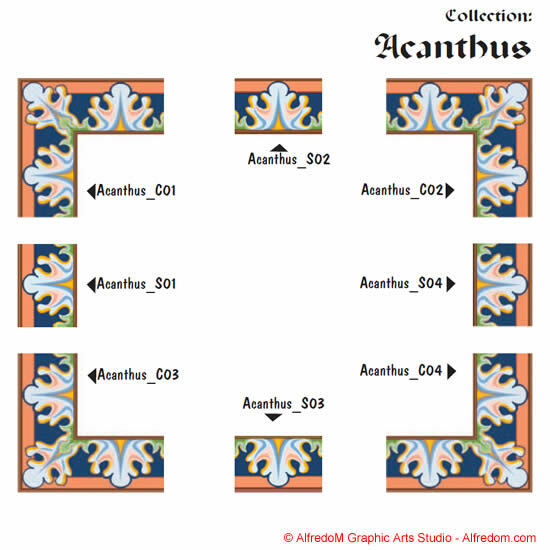 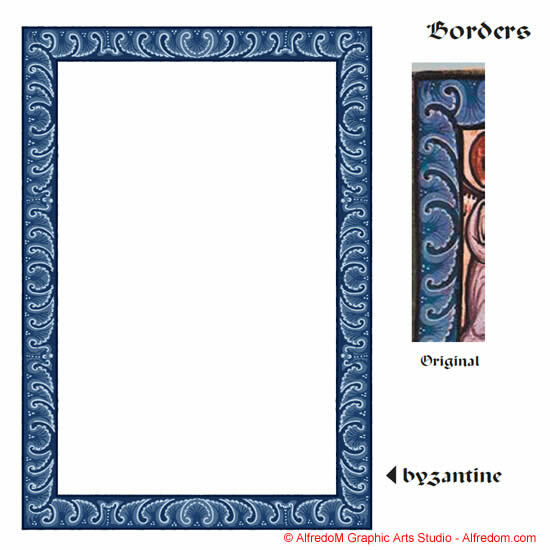 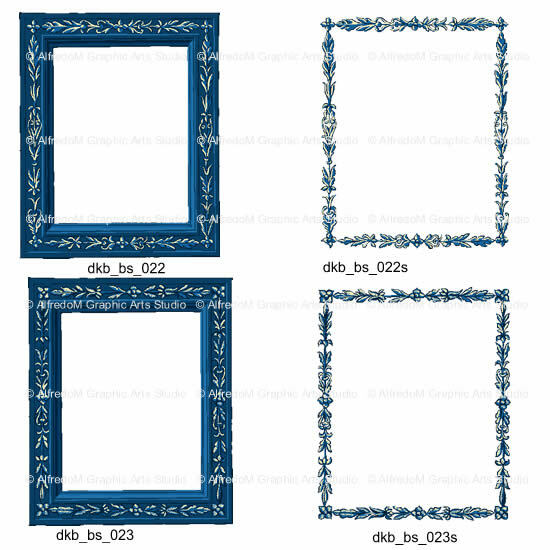 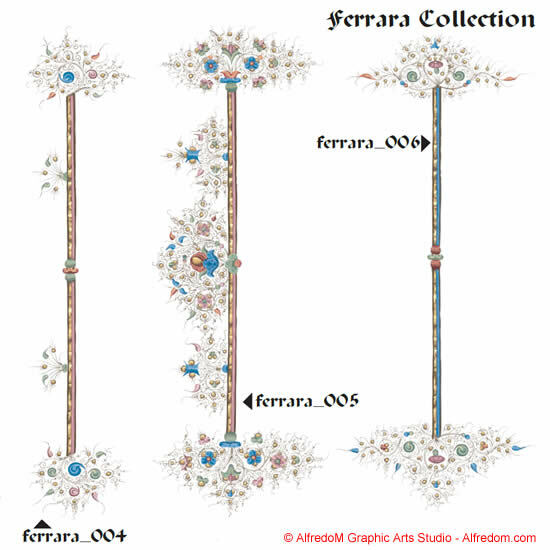 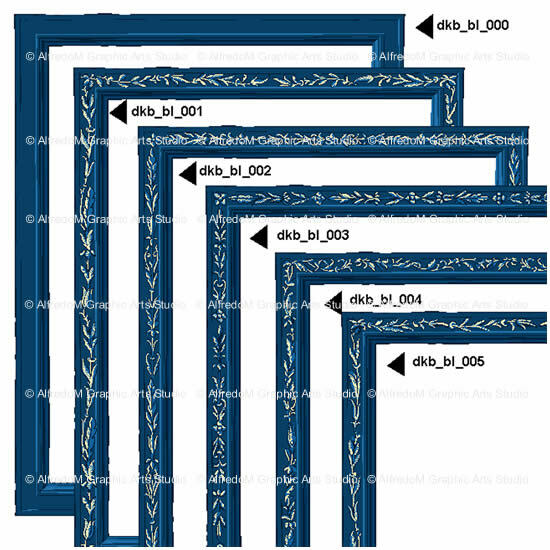 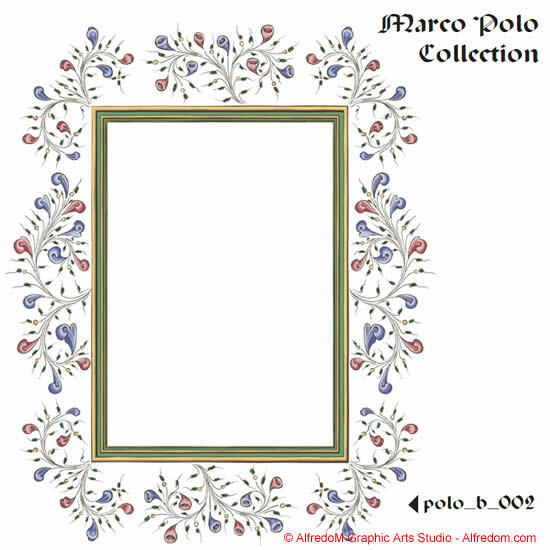 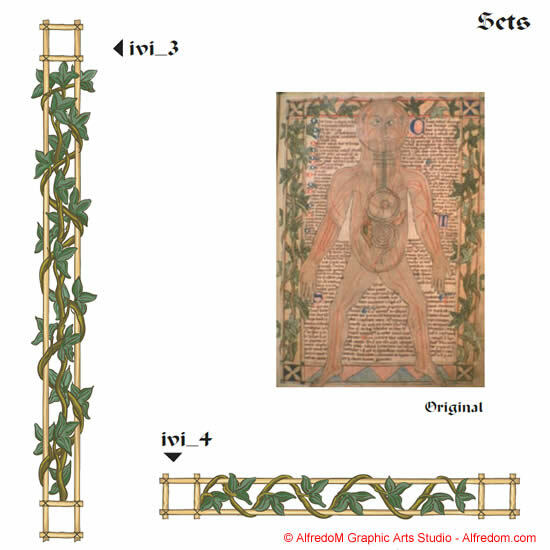 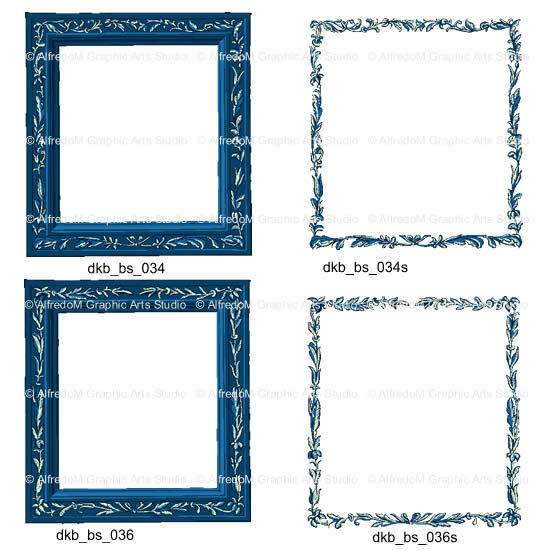 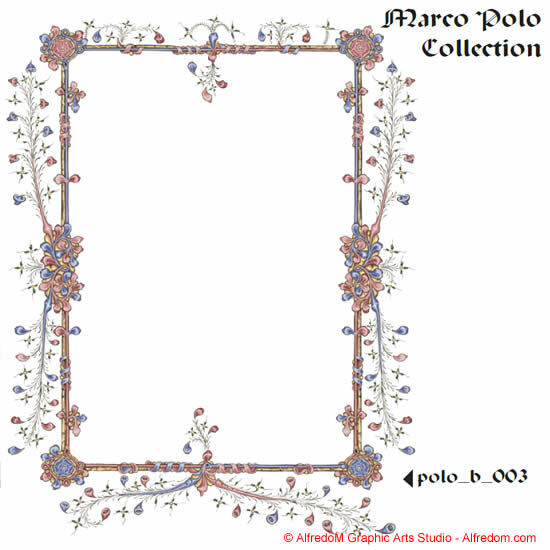 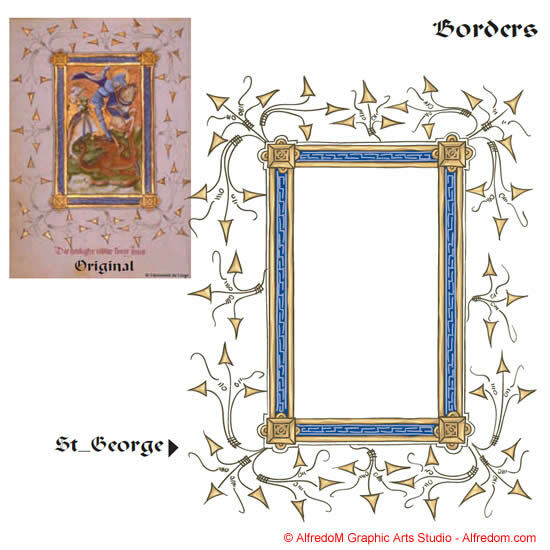 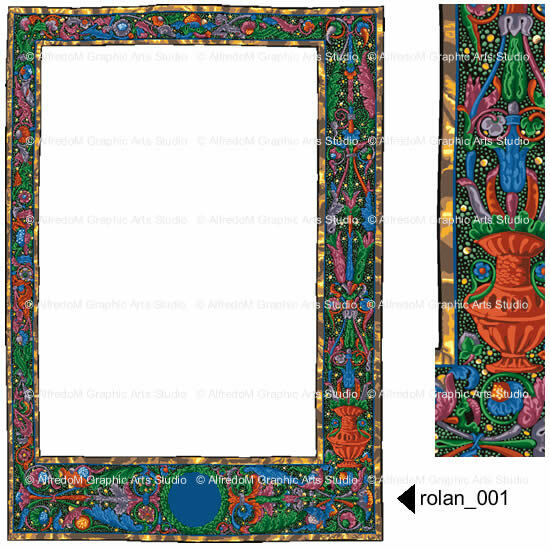 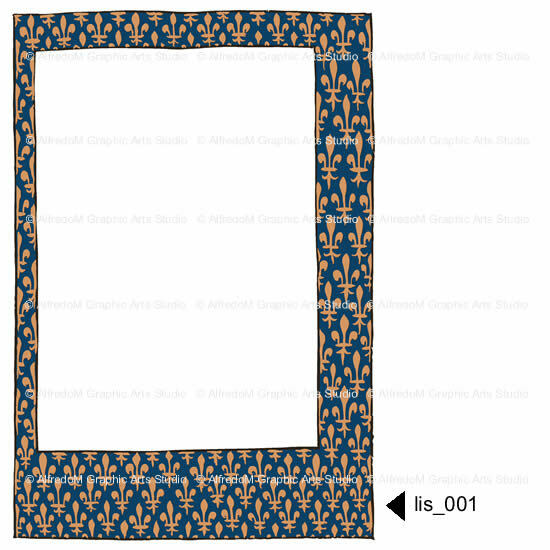 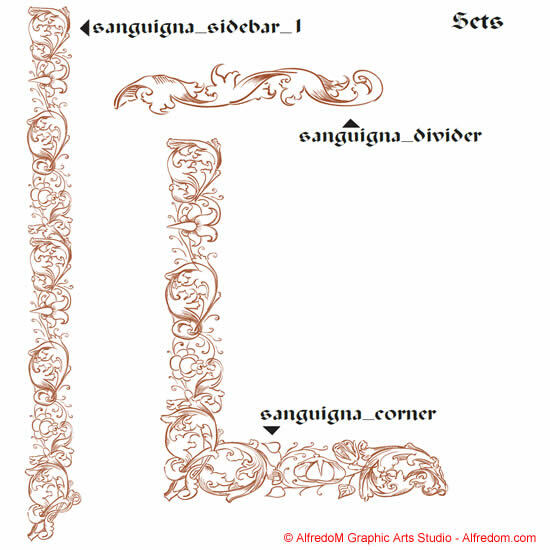 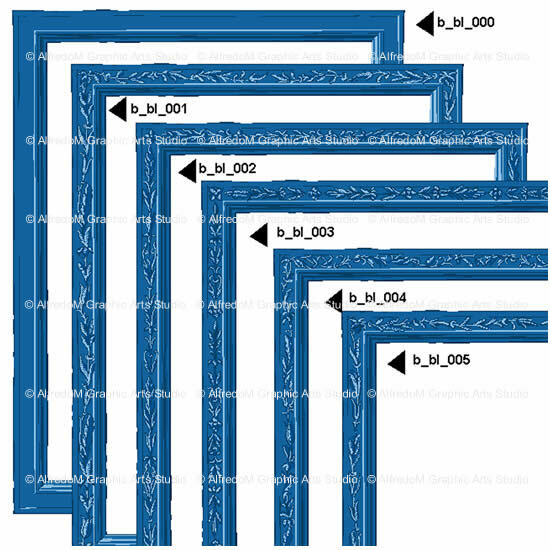 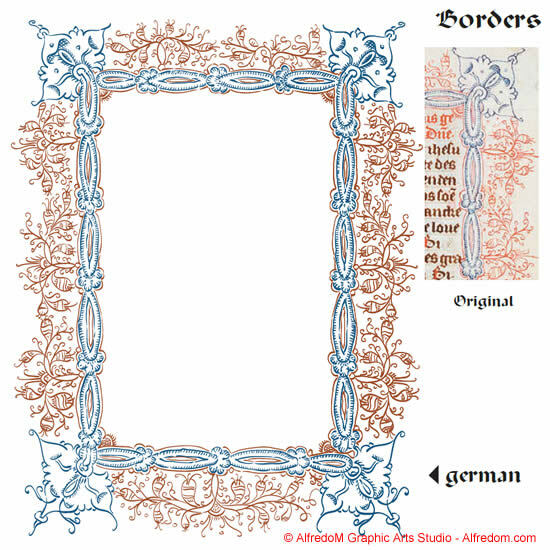 Ancient manuscripts borders, dividers, illuminated lettering and decorative graphic elements. 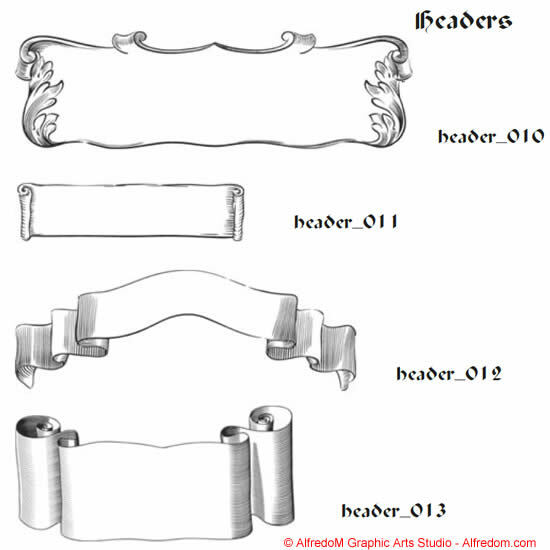 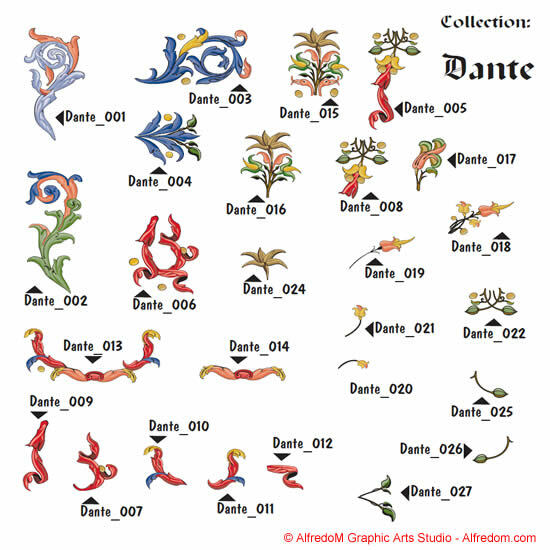 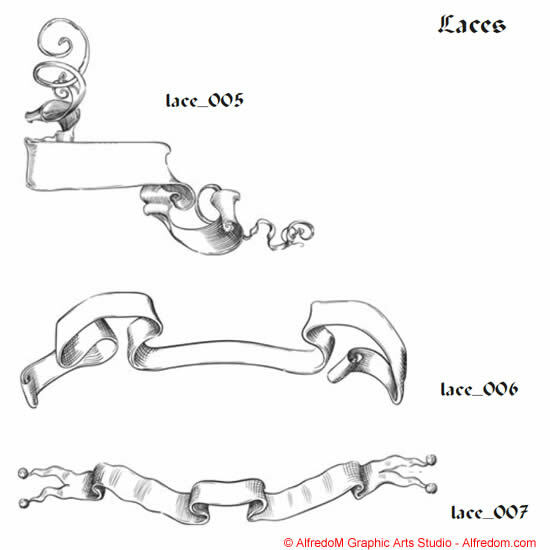 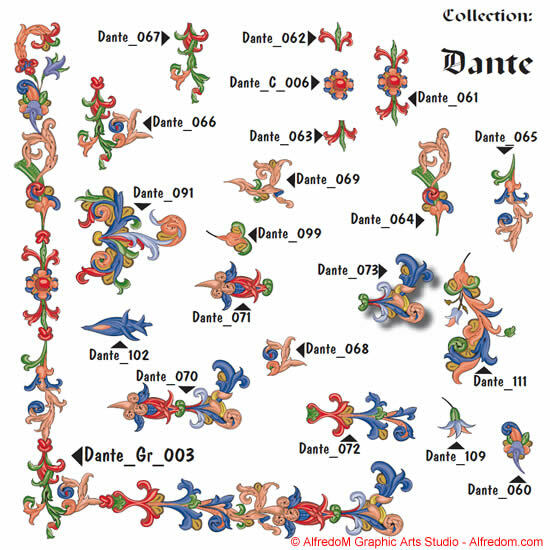 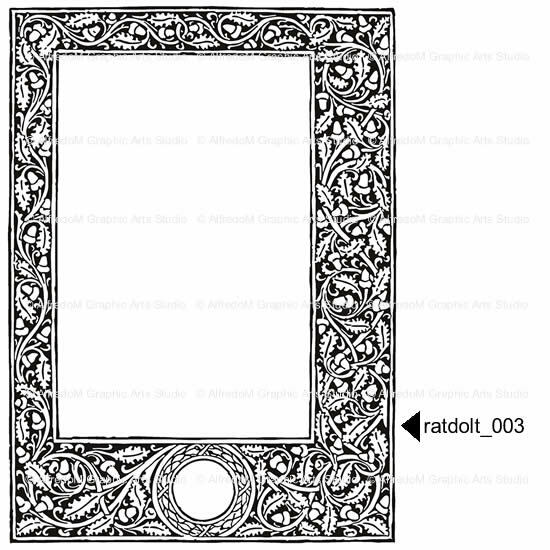 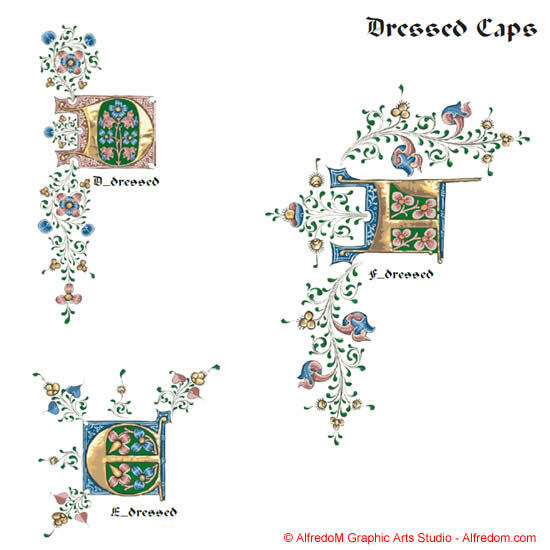 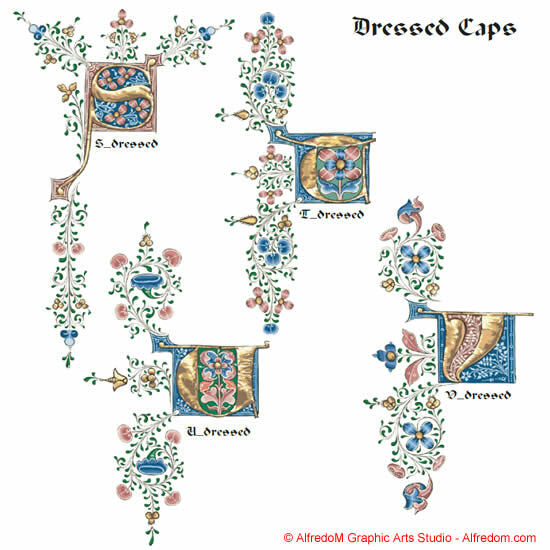 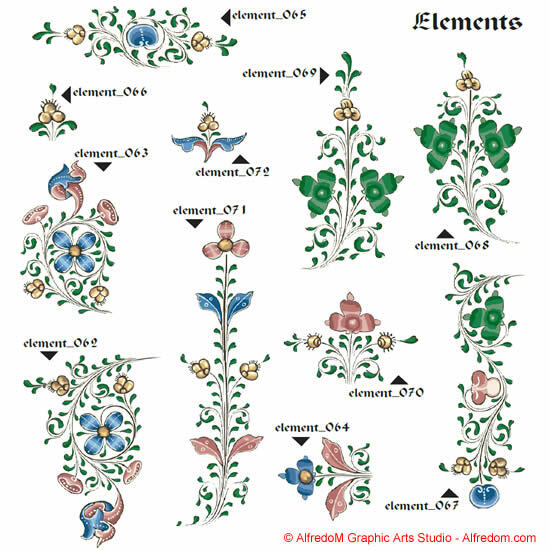 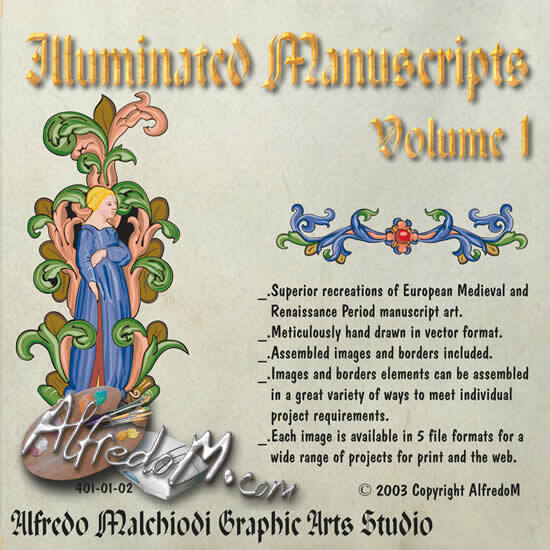 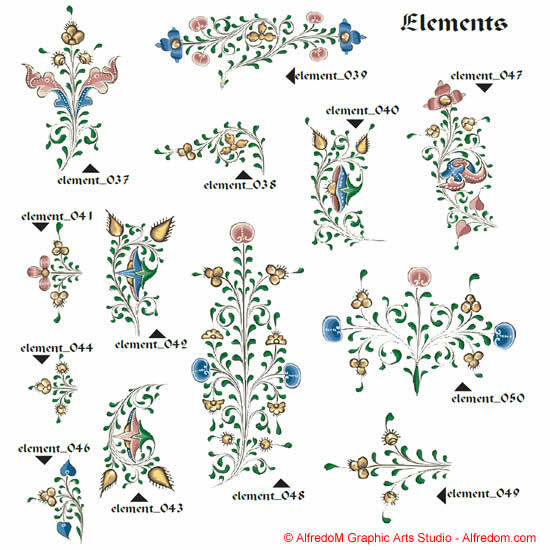 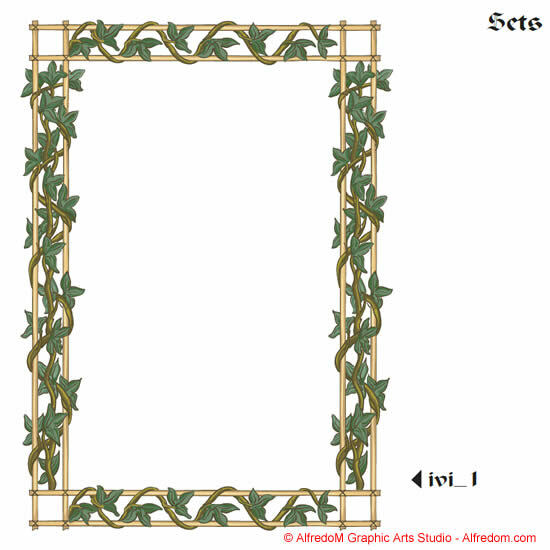 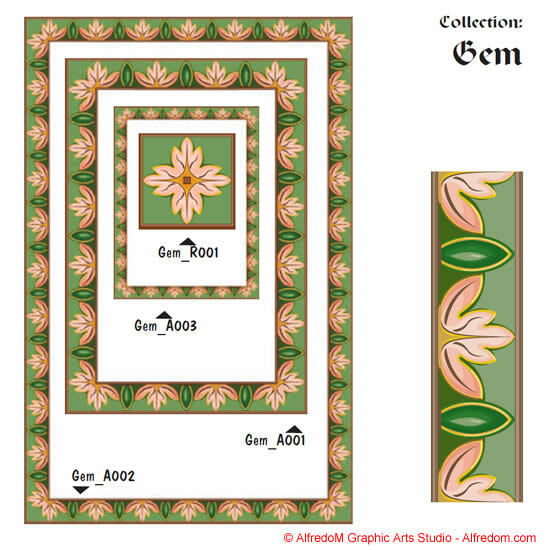 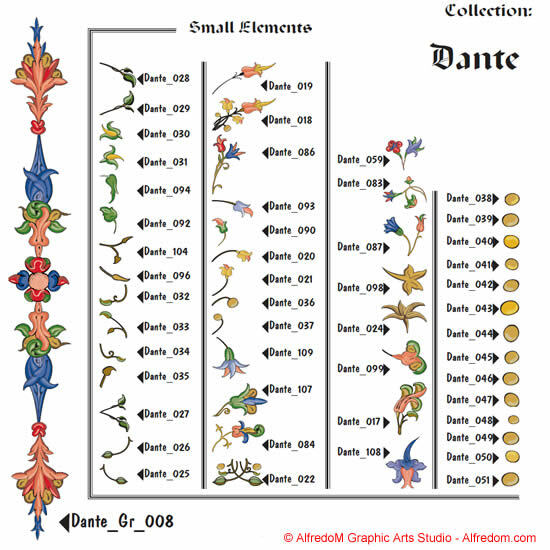 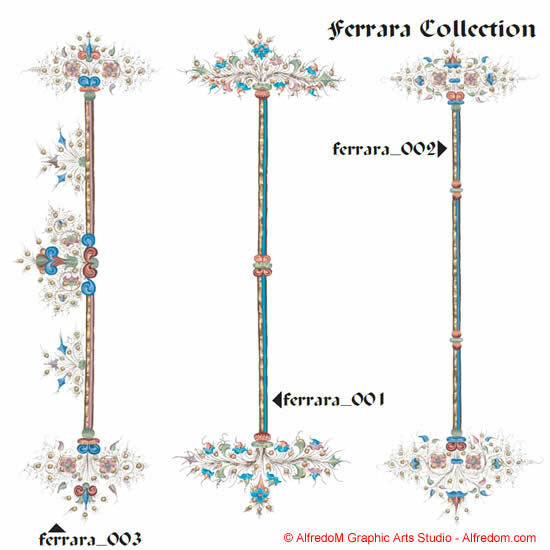 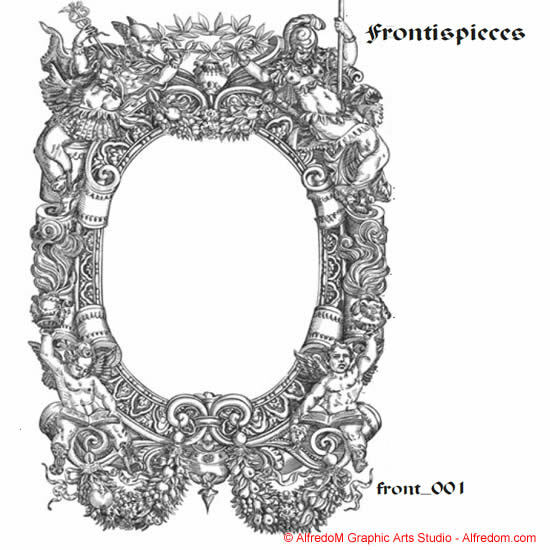 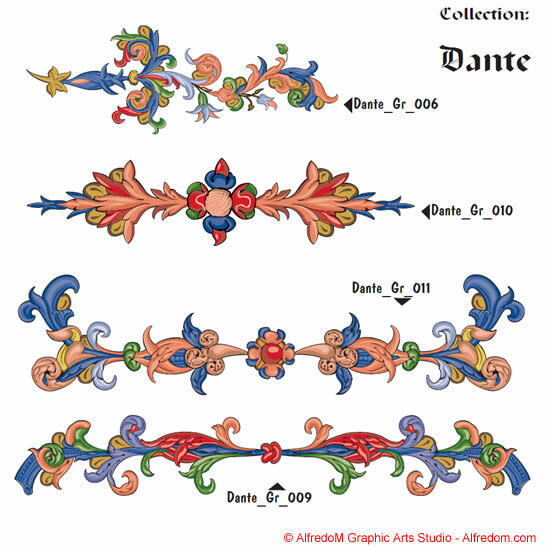 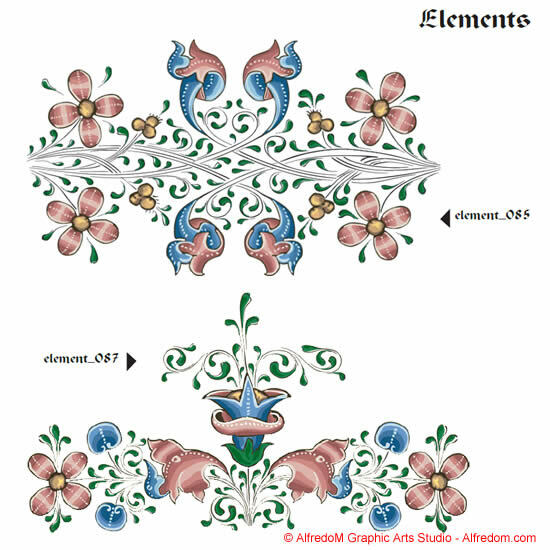 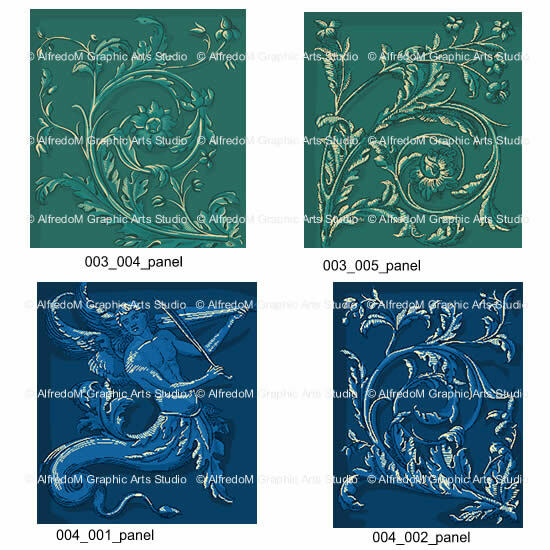 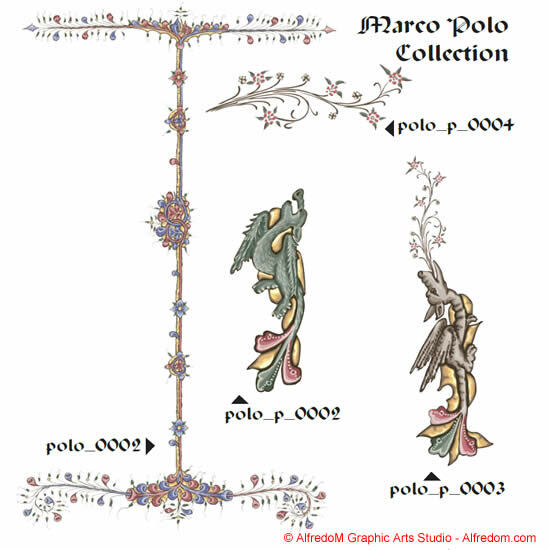 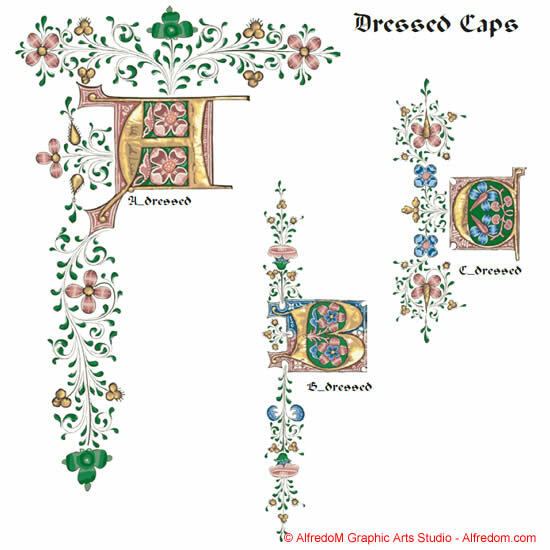 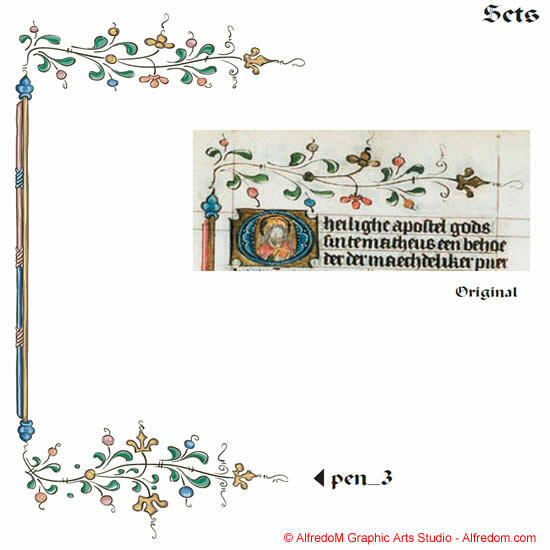 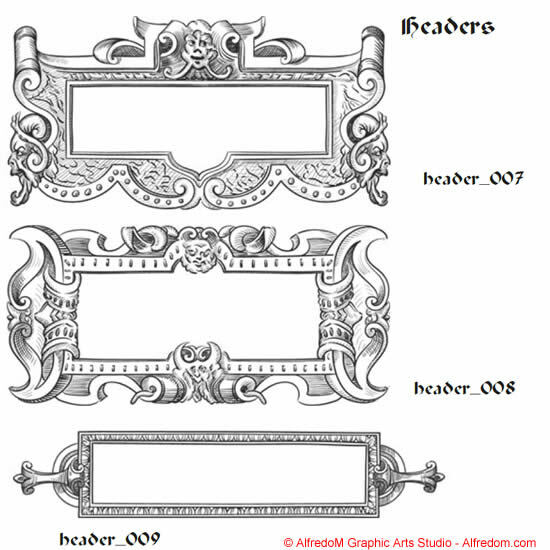 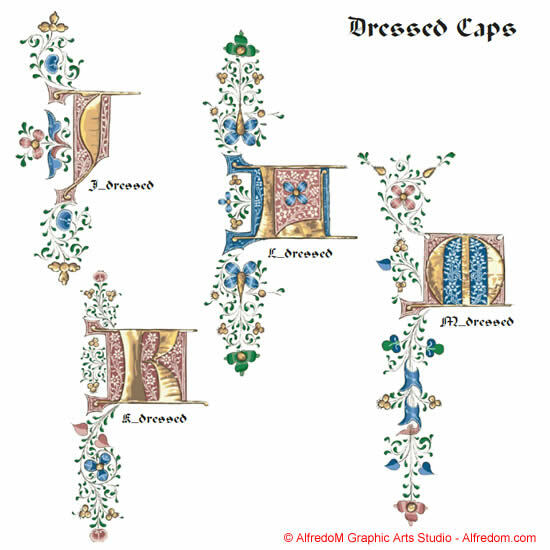 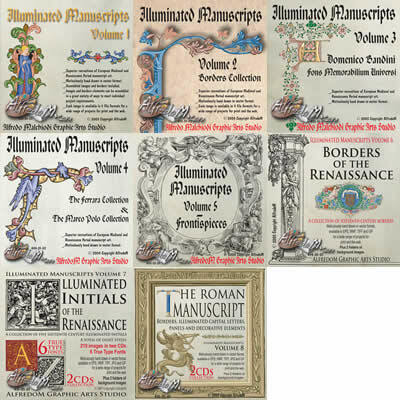 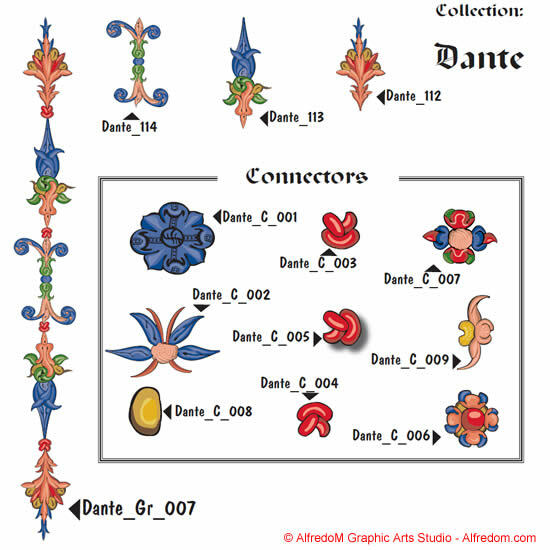 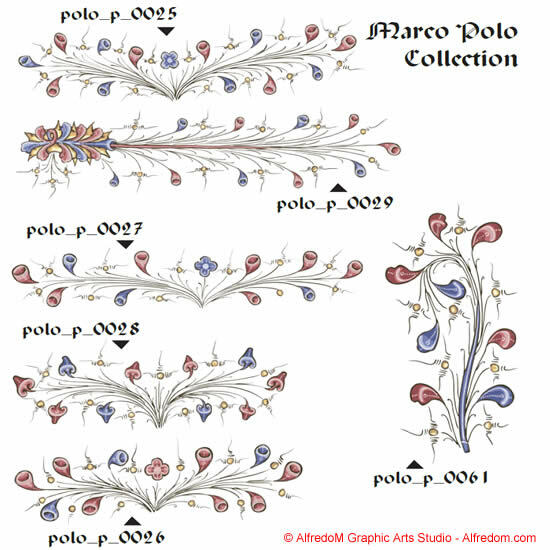 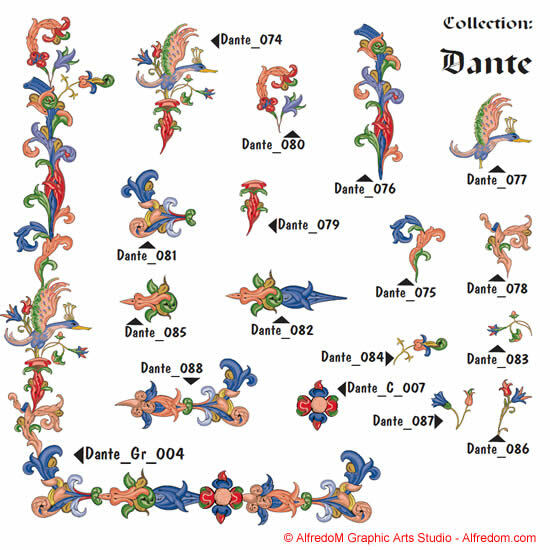 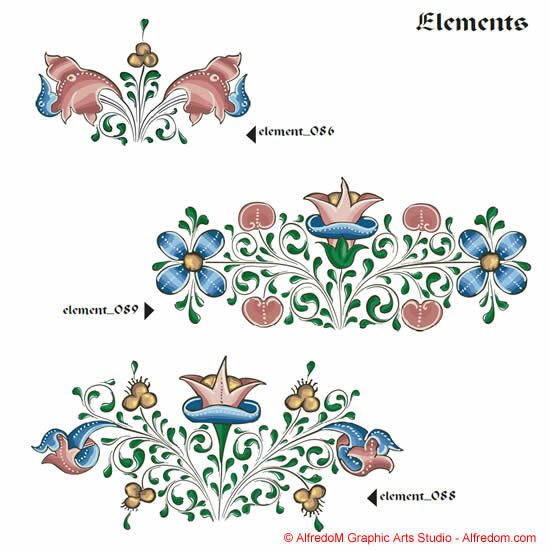 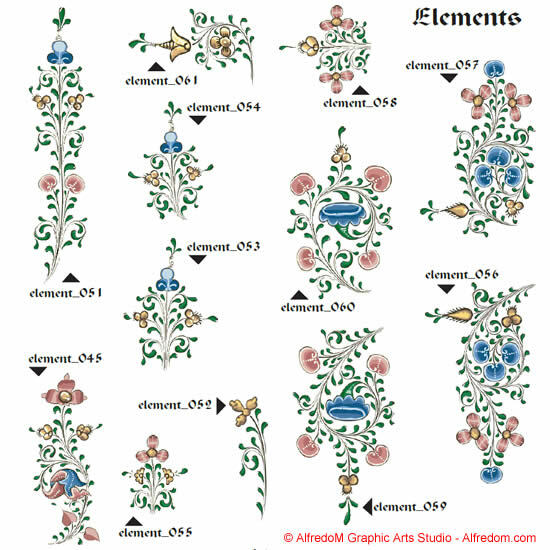 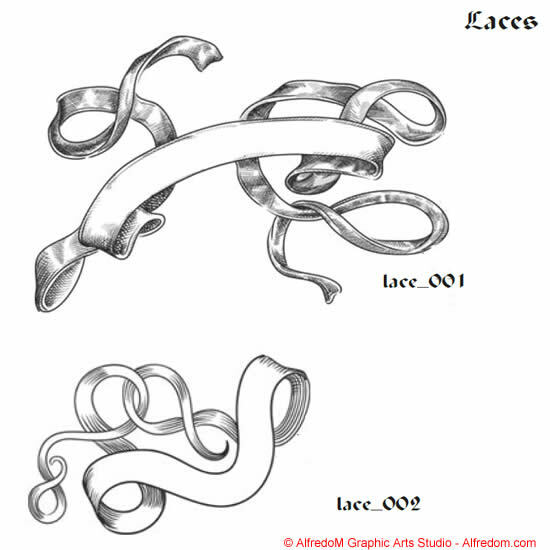 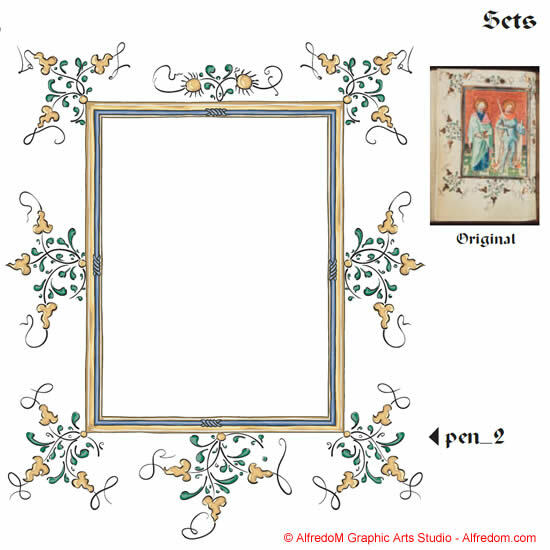 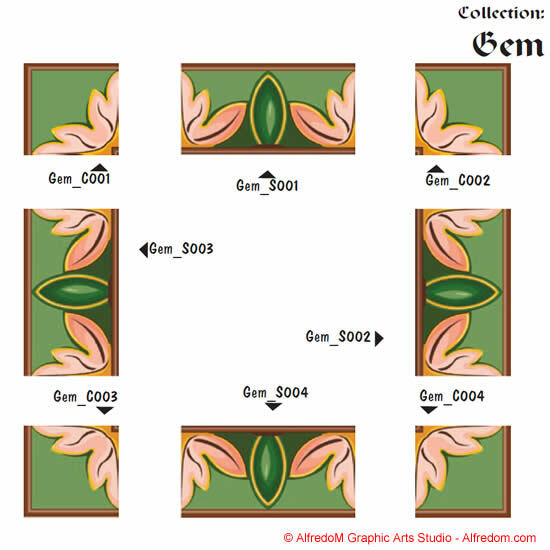 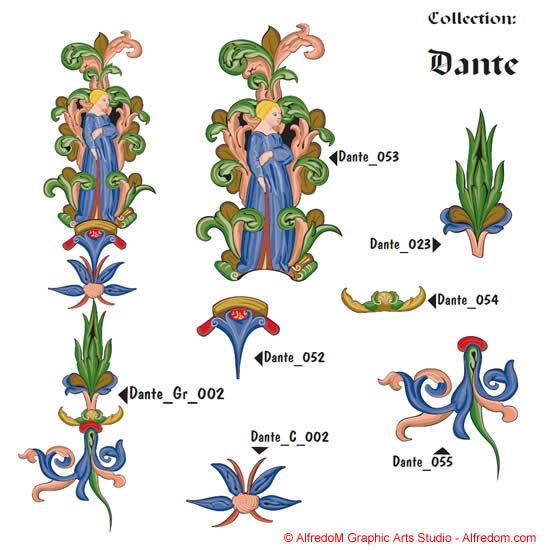 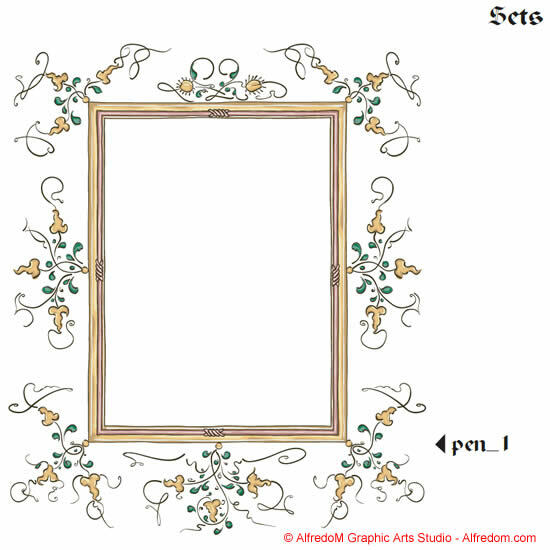 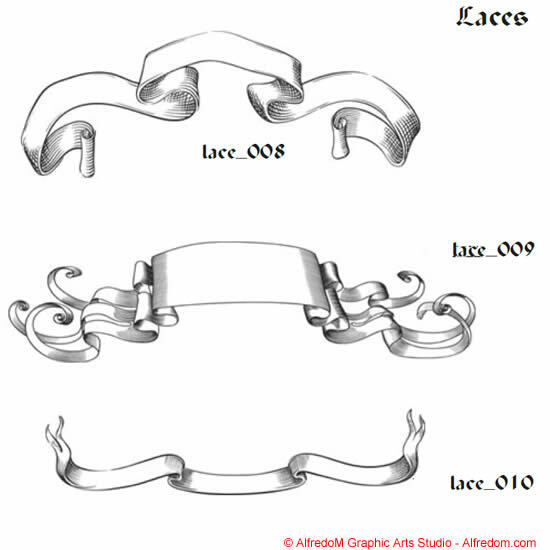 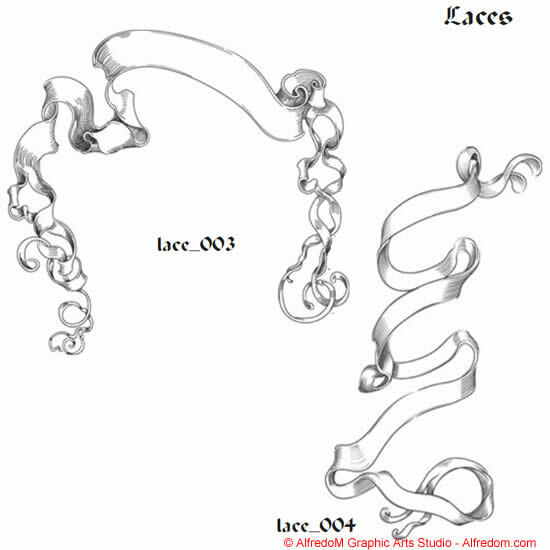 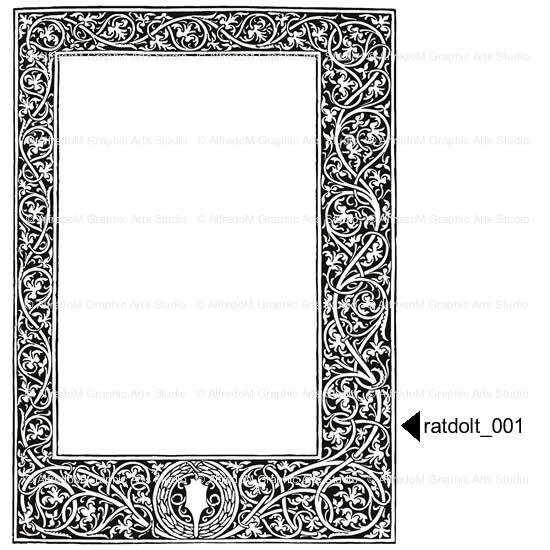 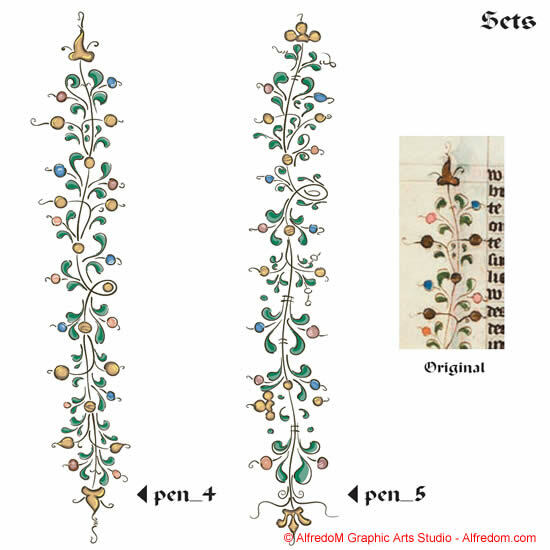 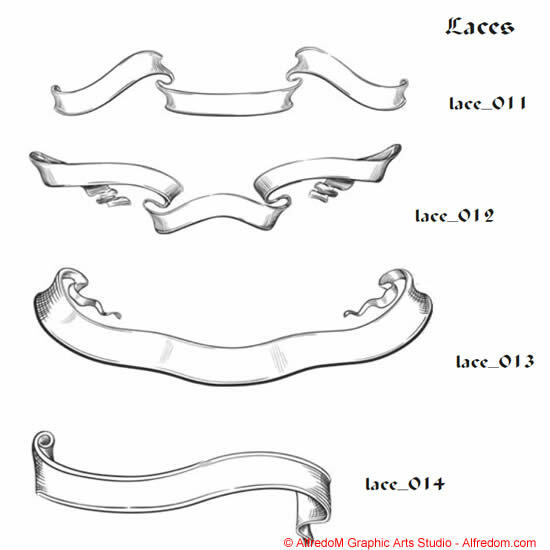 The finest examples of Illuminated Manuscript Art and Illustration Art are now as easy to employ as Clip Art for your special events. 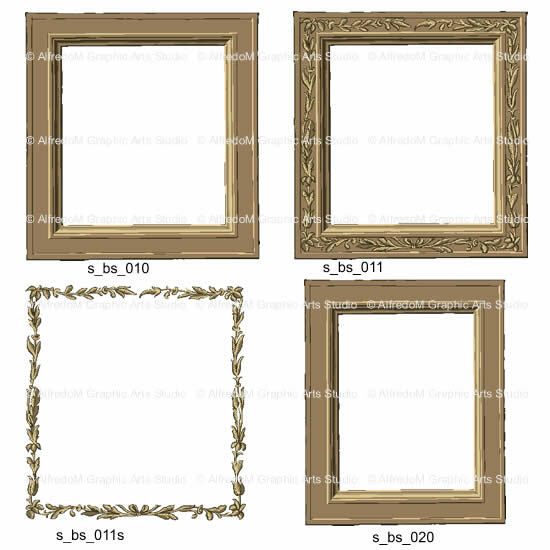 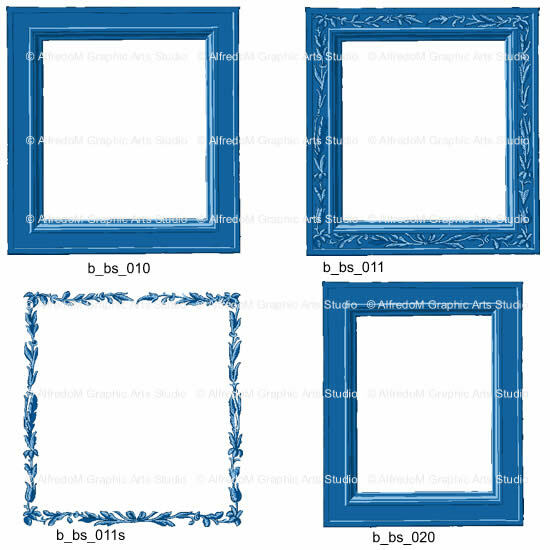 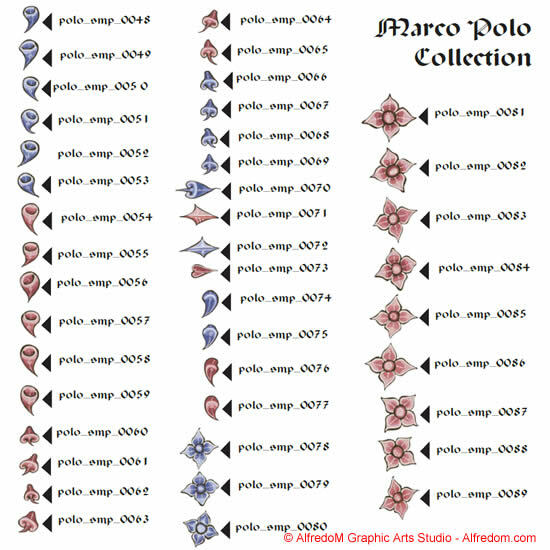 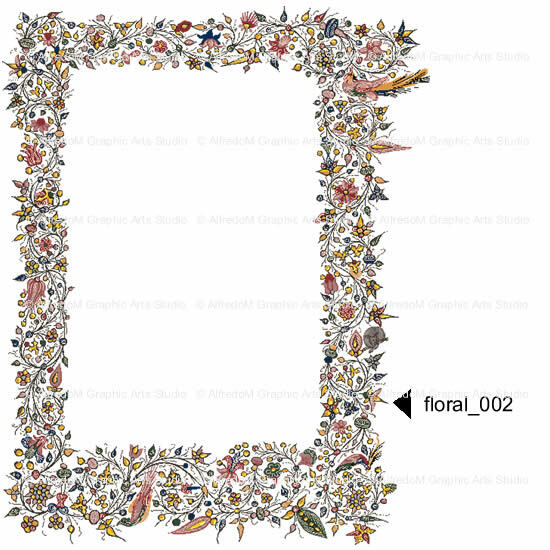 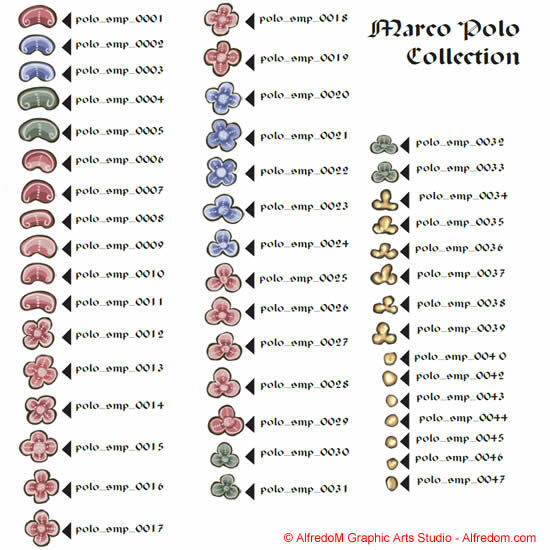 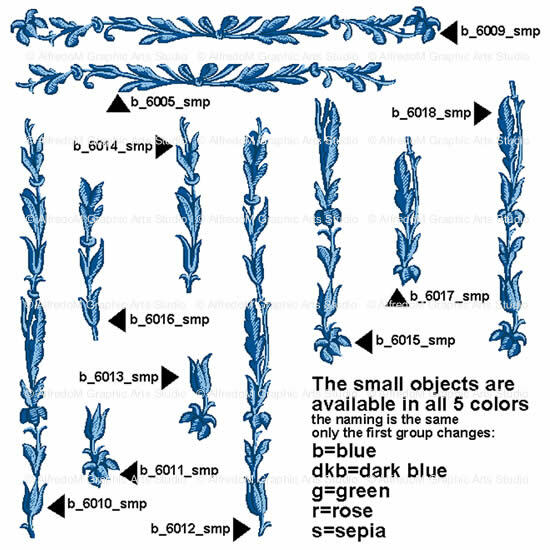 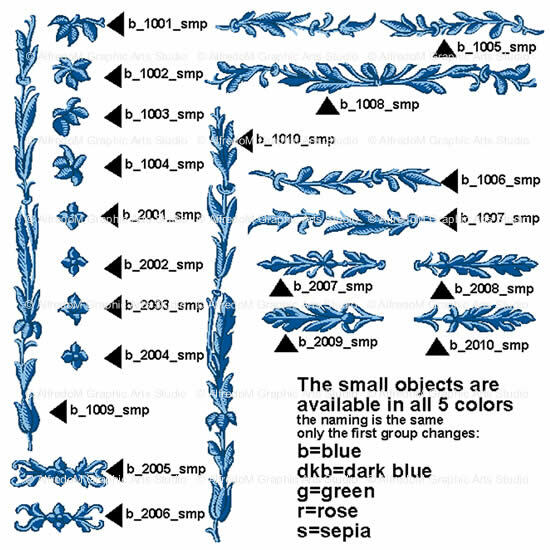 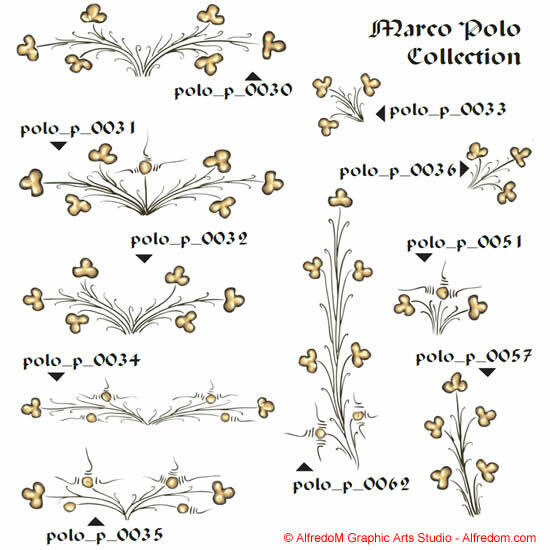 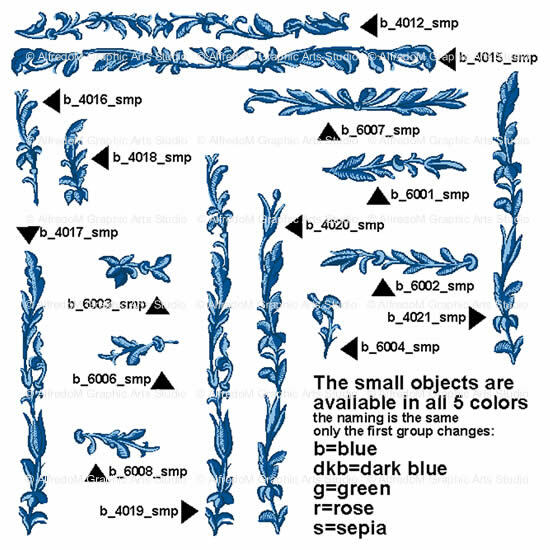 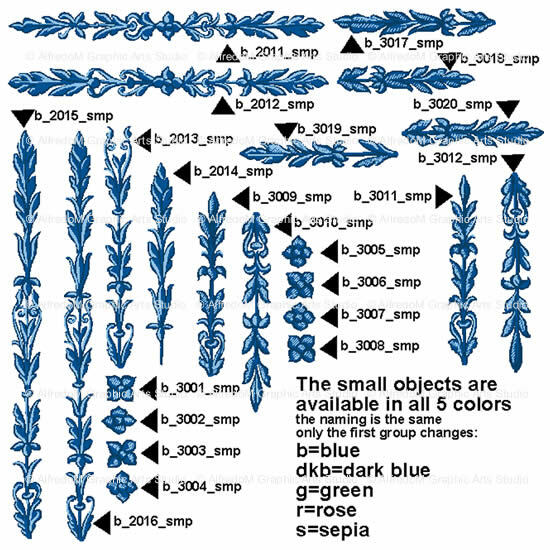 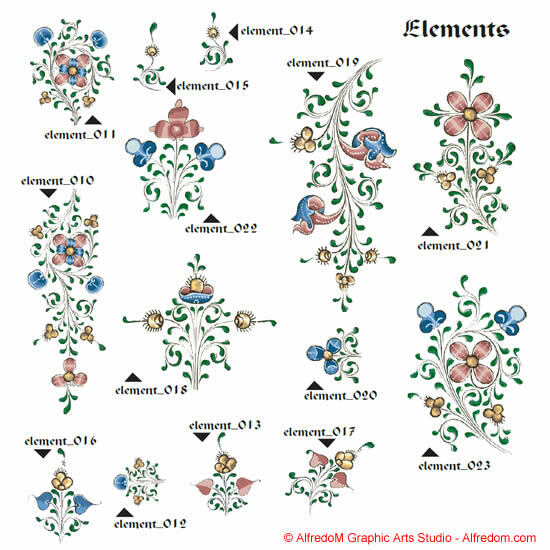 Our collections of high quality clipart in eps vector format and high resolution tiff format are perfect for announcements, engagement and wedding invitations. 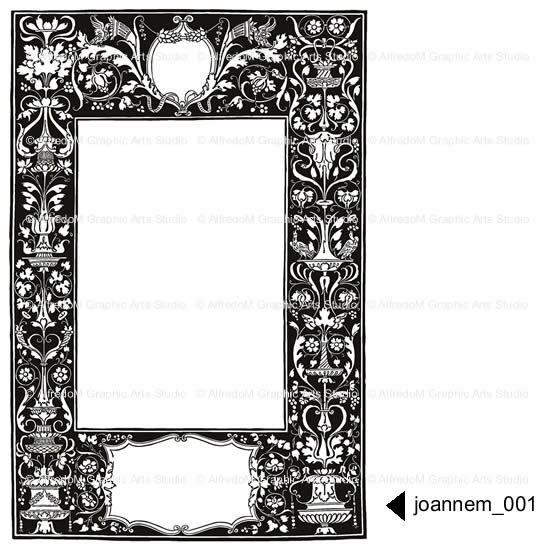 Create your own guest invitations for your shower, a wedding, reception, anniversary, or a bachelor and bachelorette party. 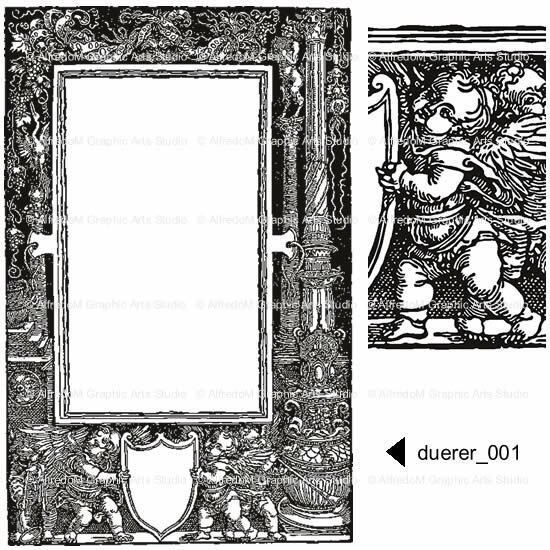 With unique elements design baby shower announcements, invitations, reception invitations, and all your wedding correspondence. 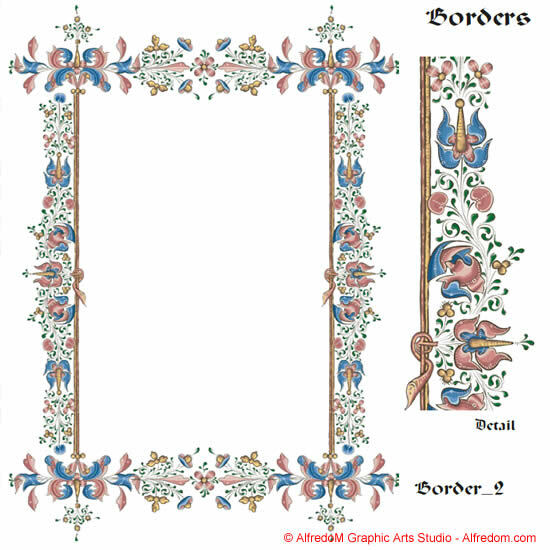 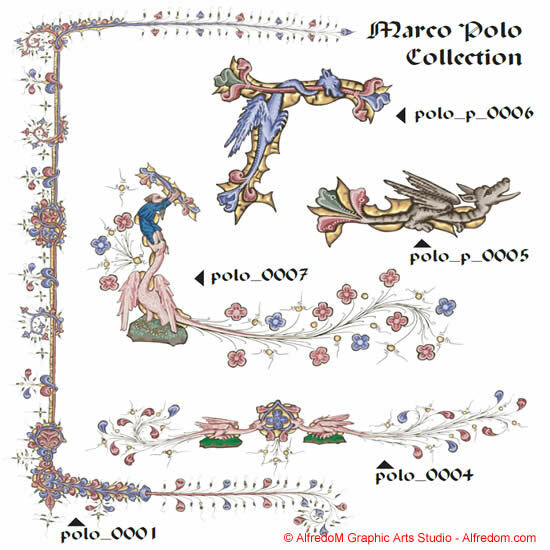 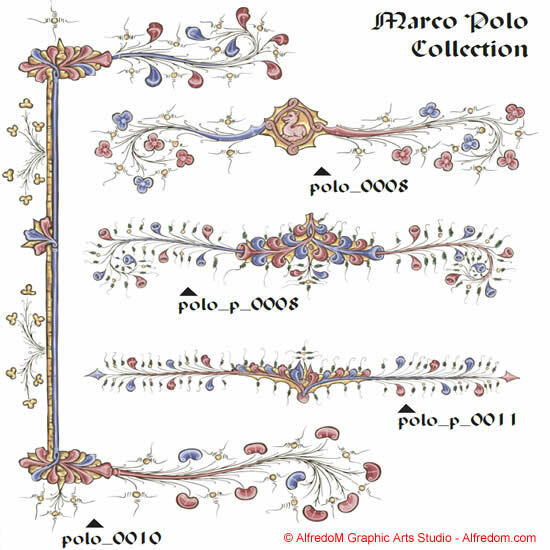 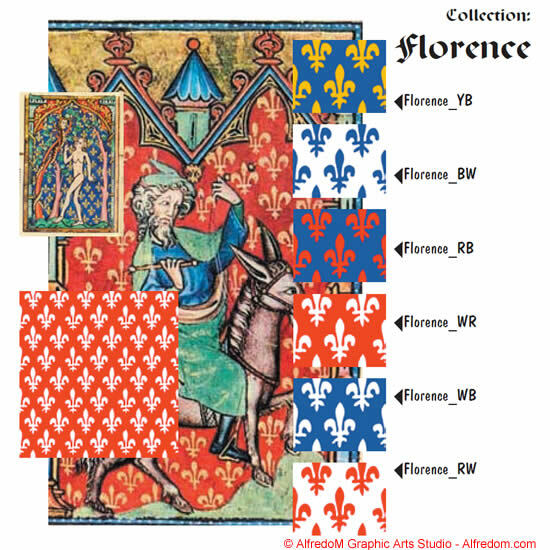 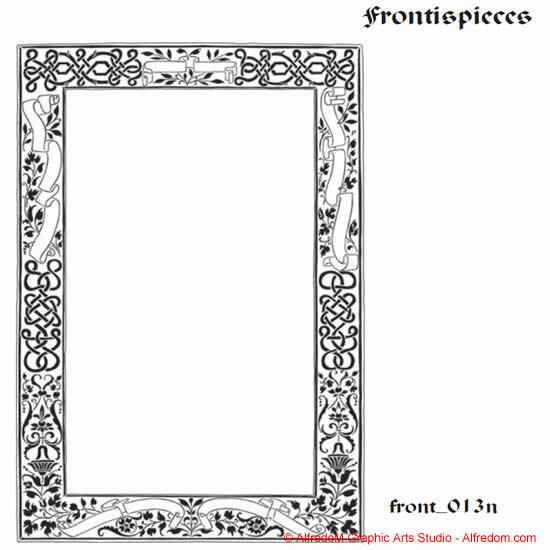 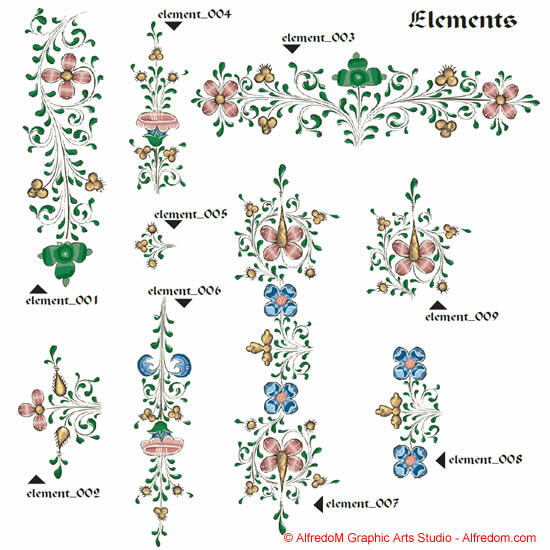 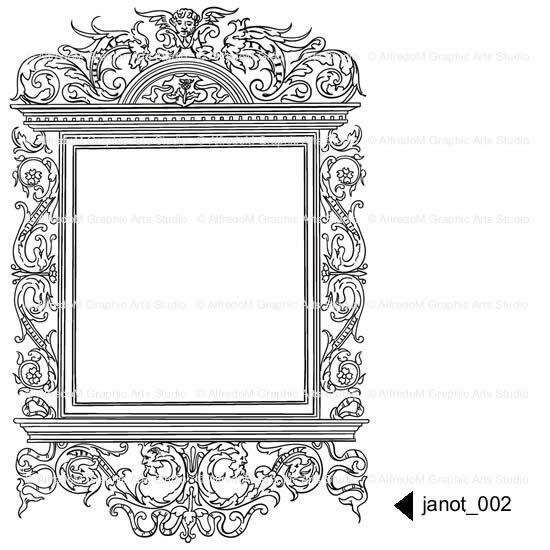 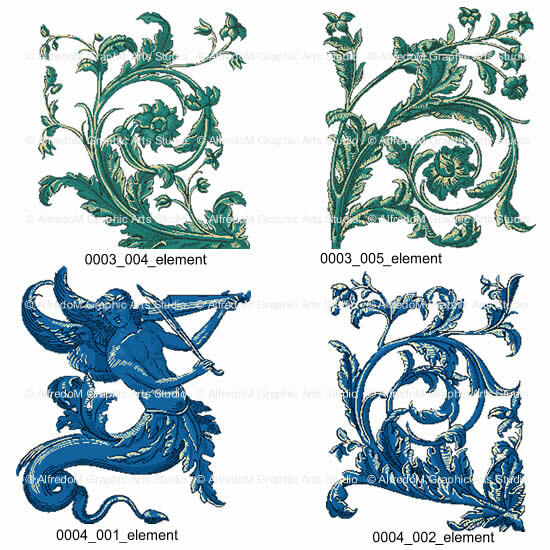 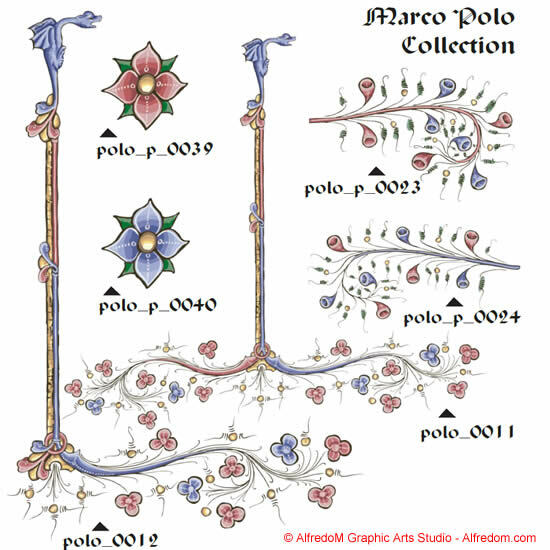 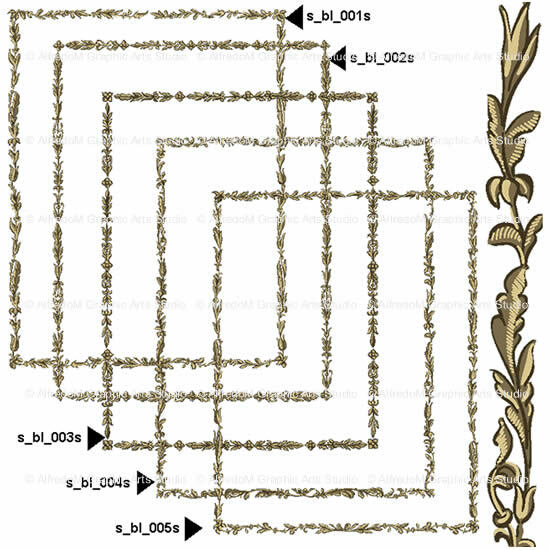 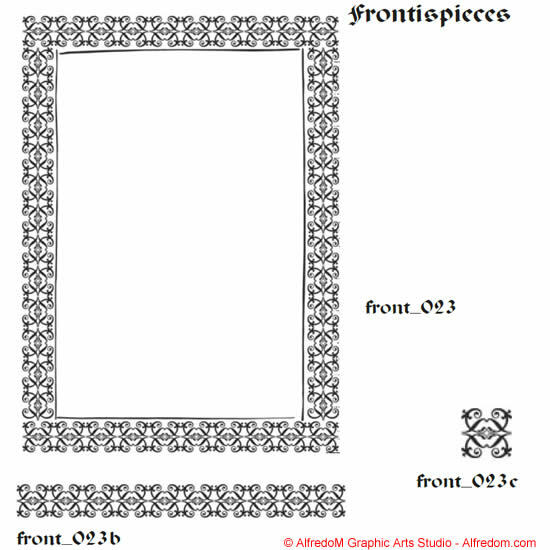 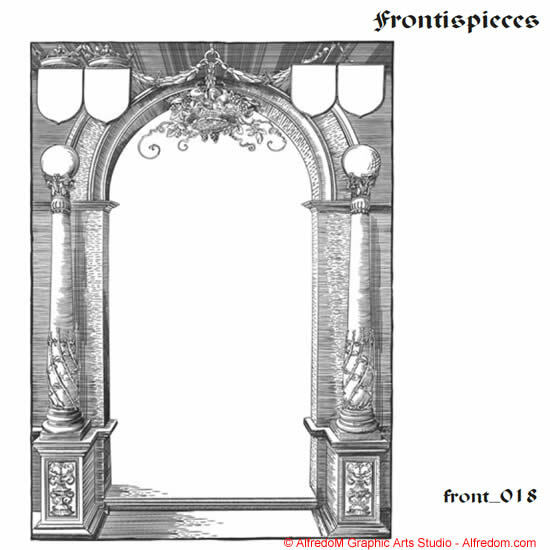 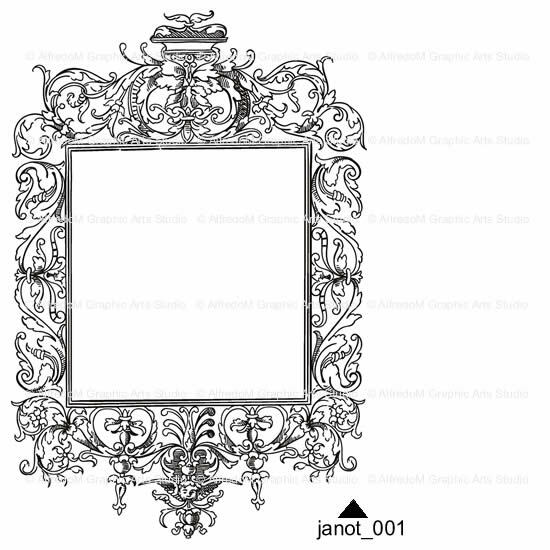 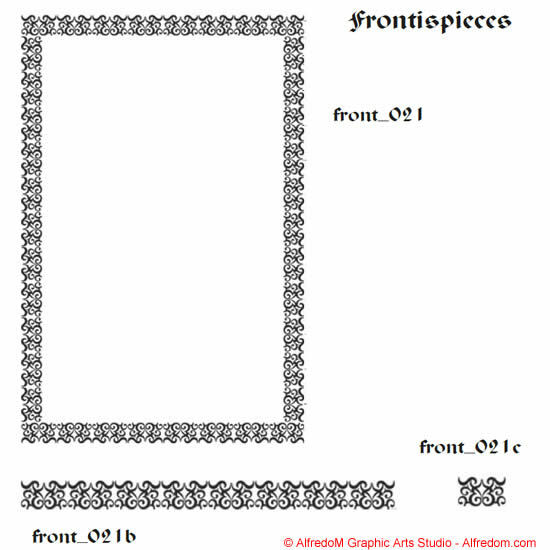 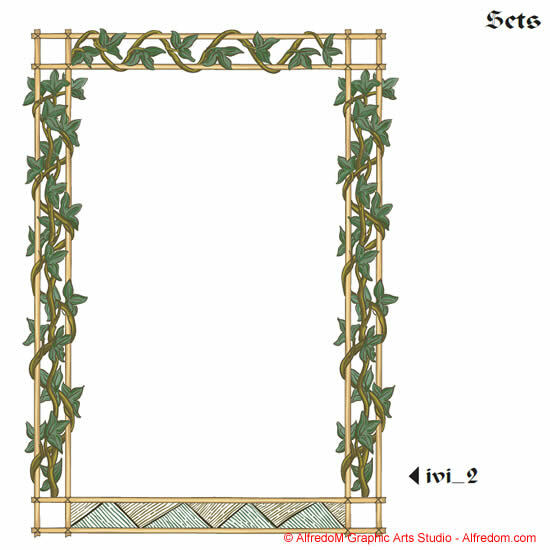 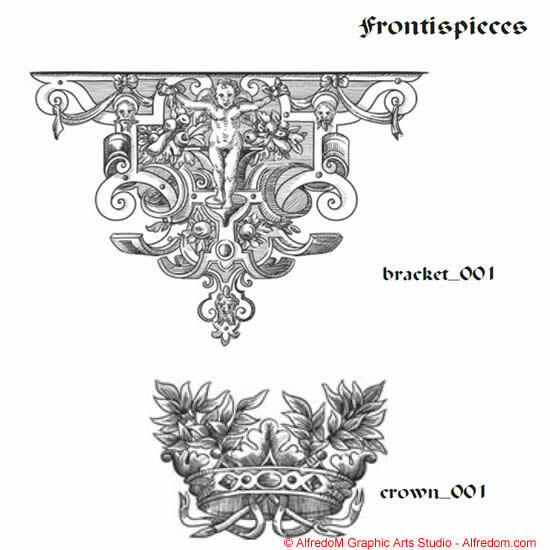 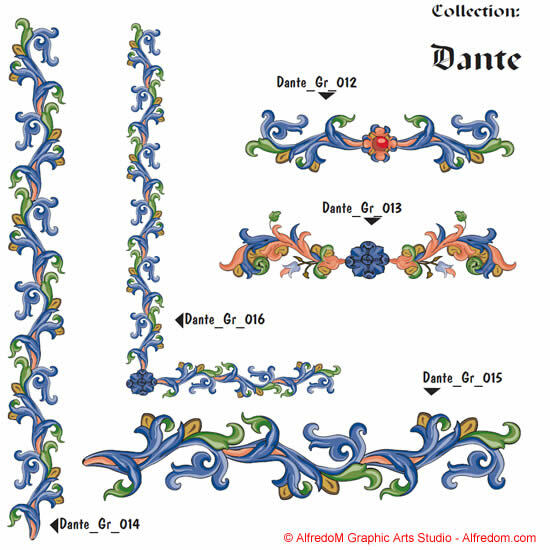 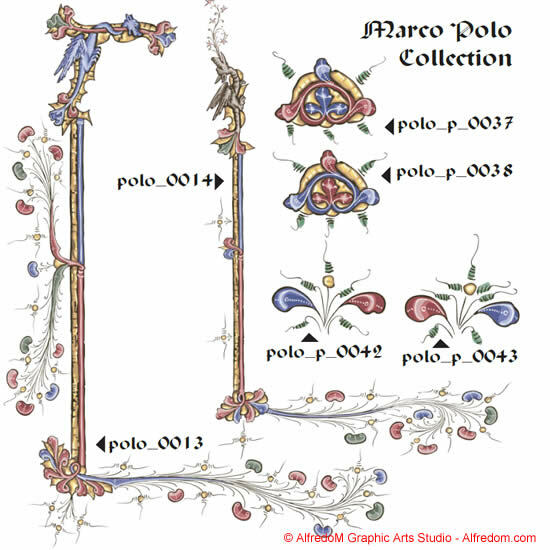 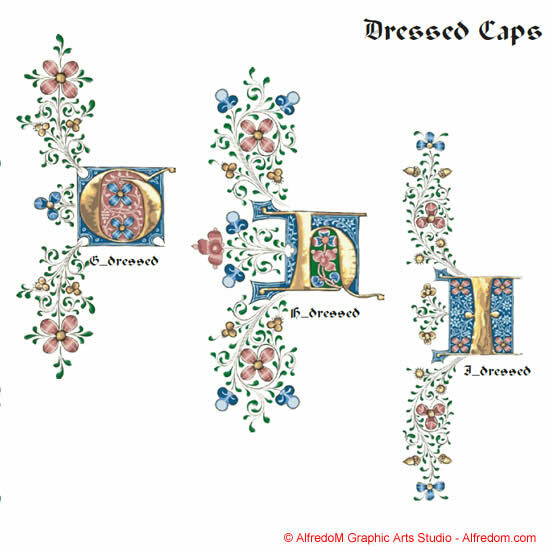 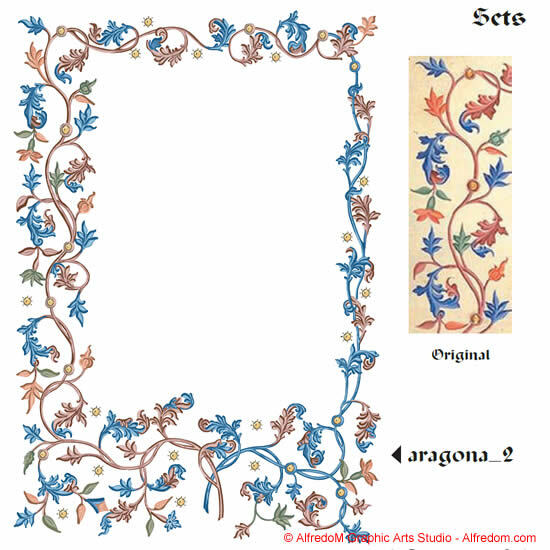 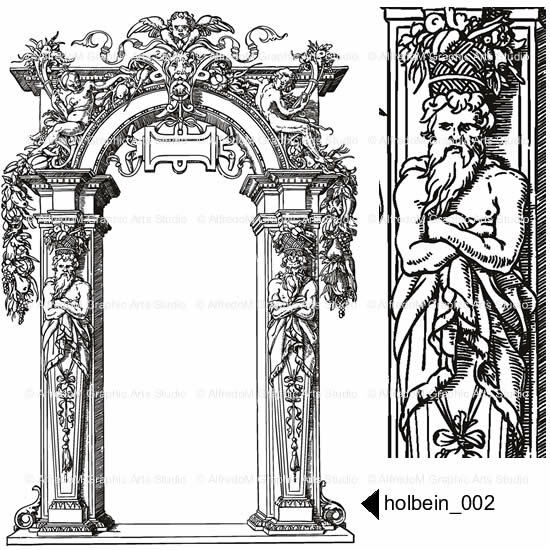 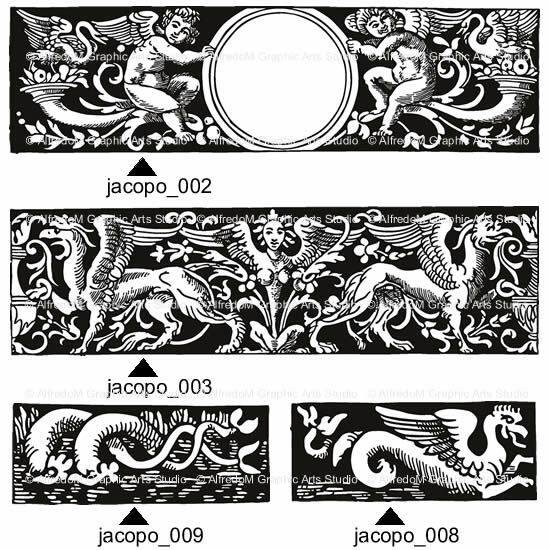 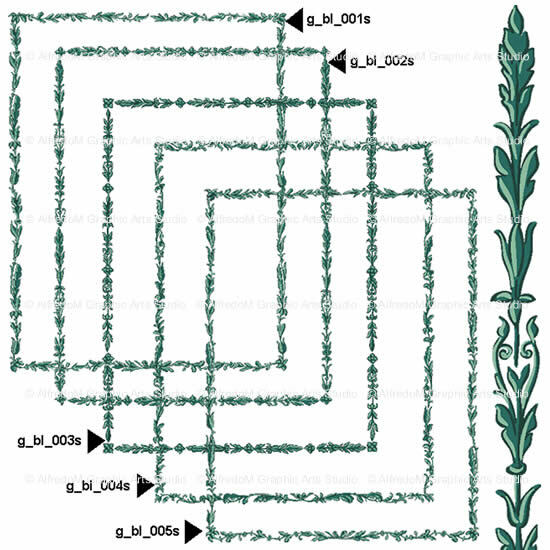 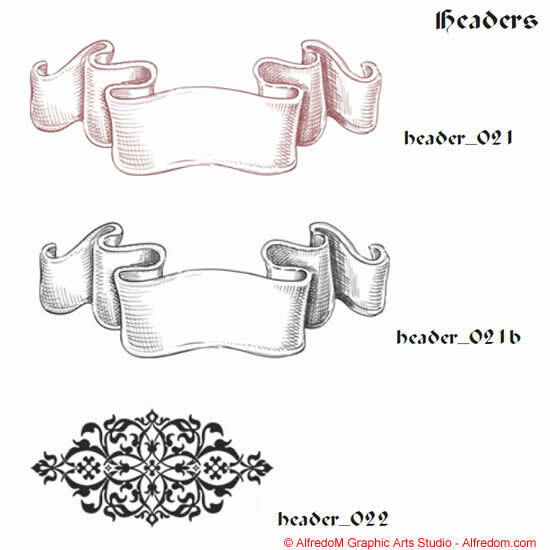 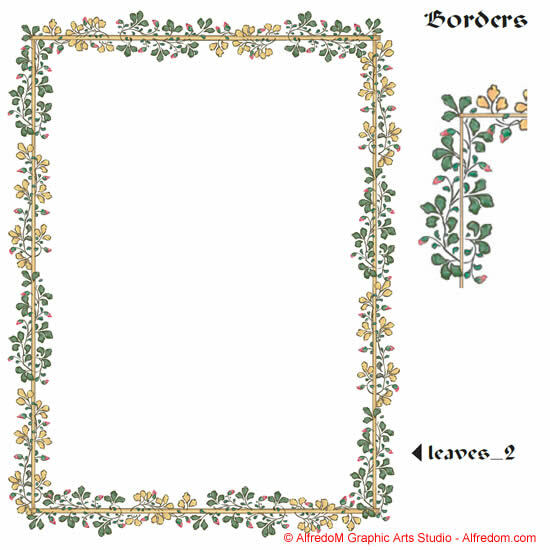 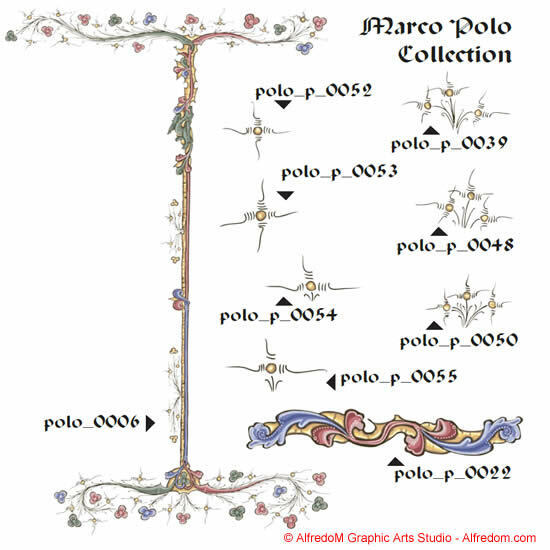 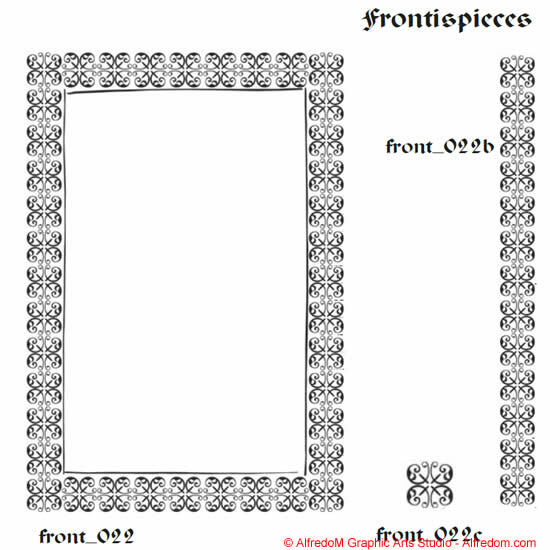 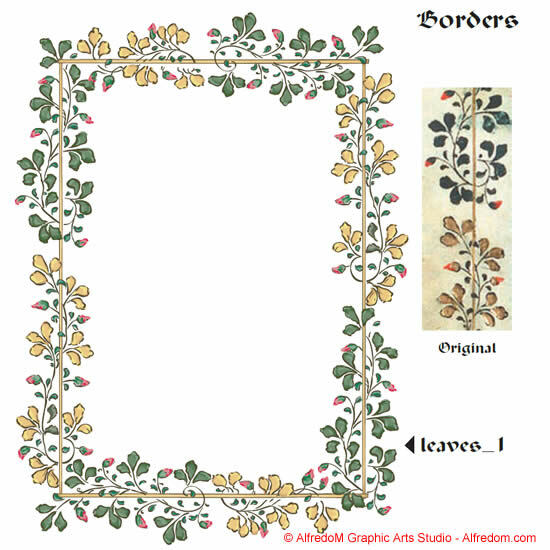 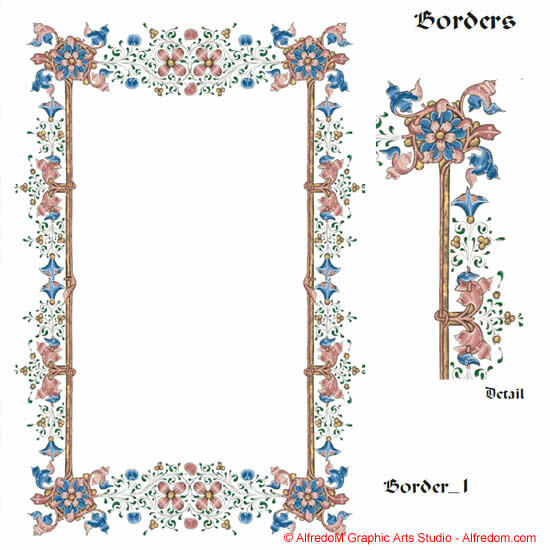 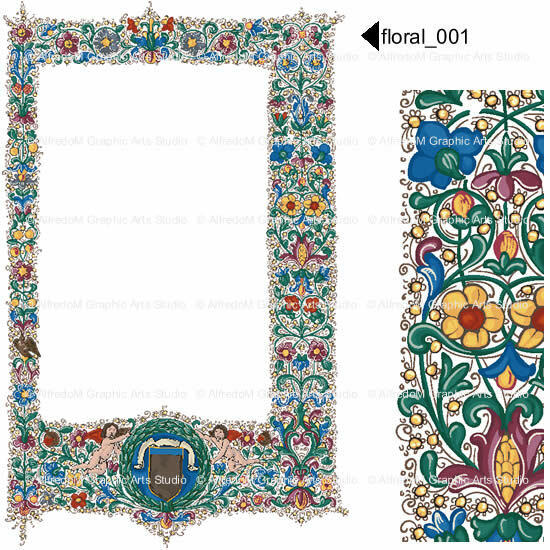 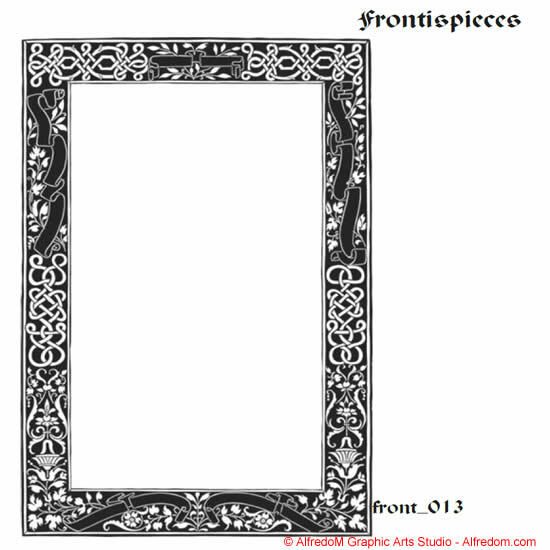 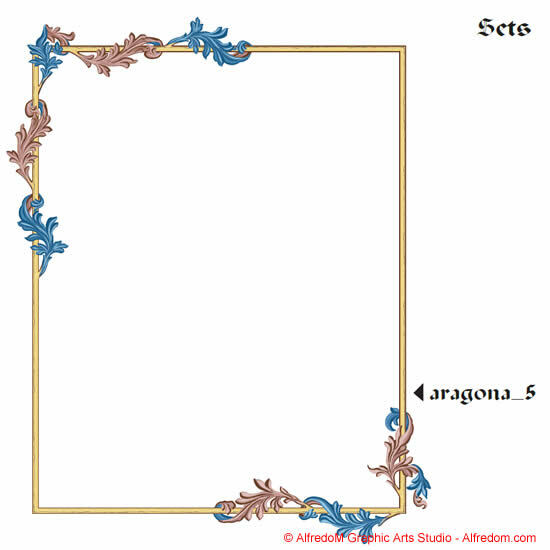 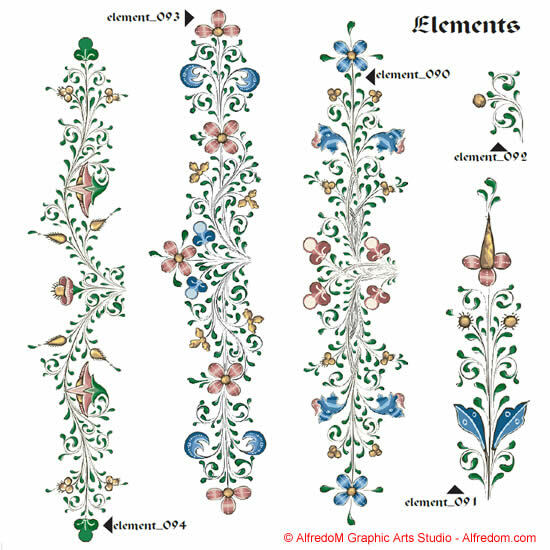 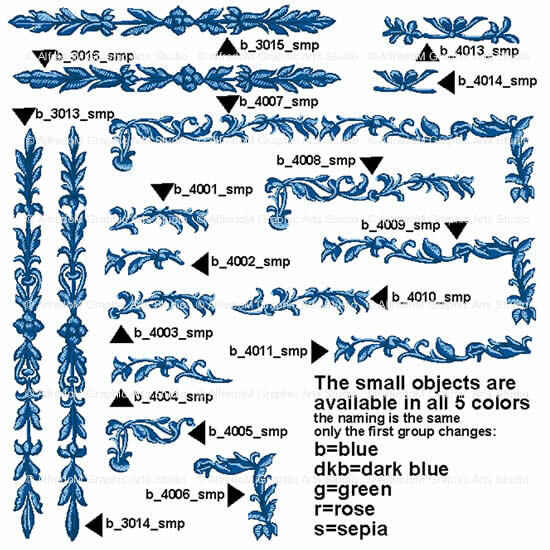 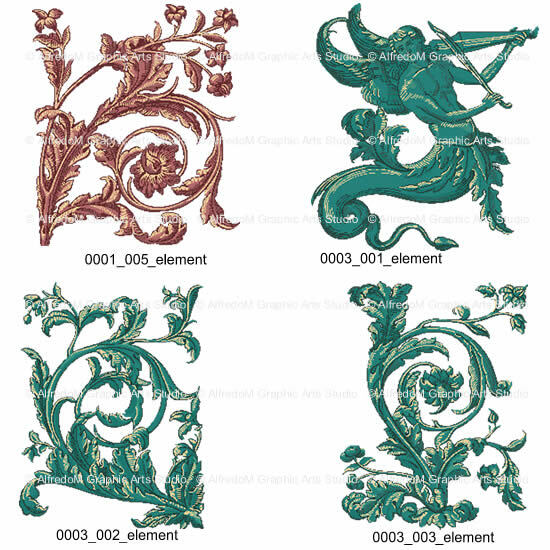 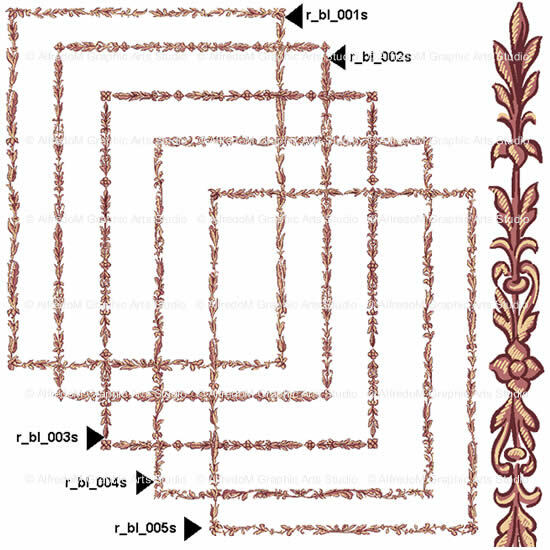 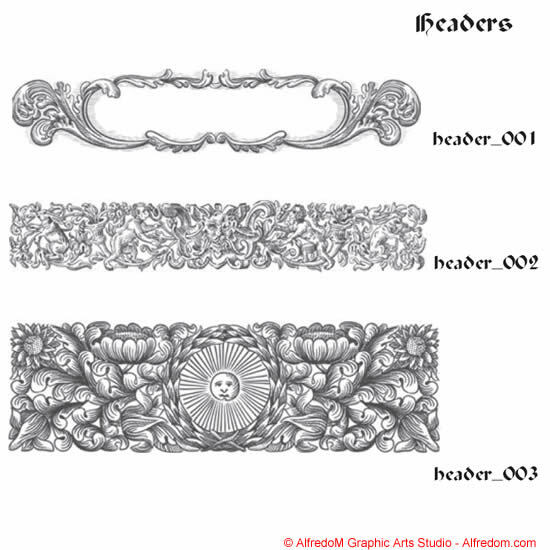 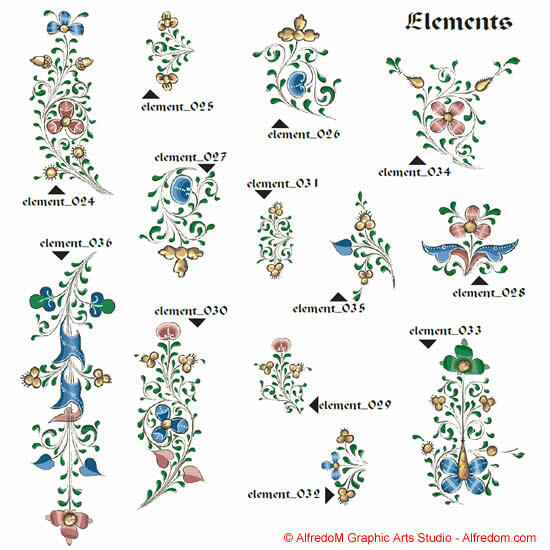 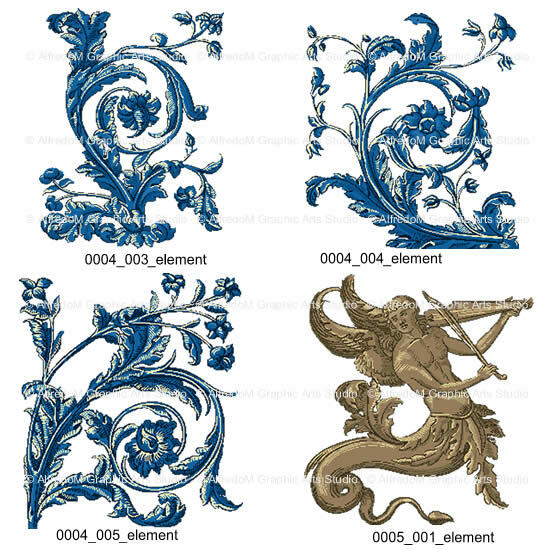 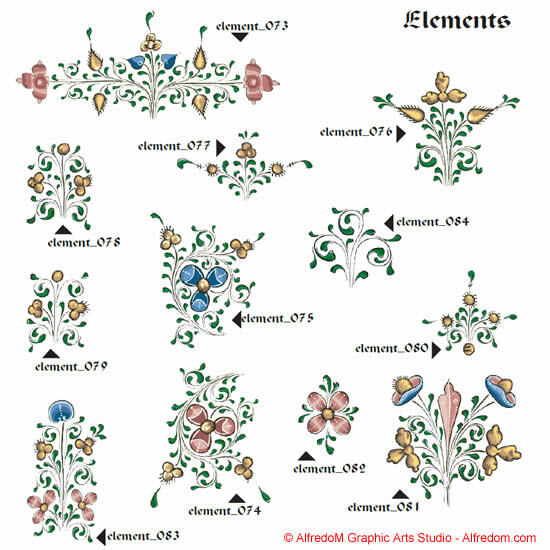 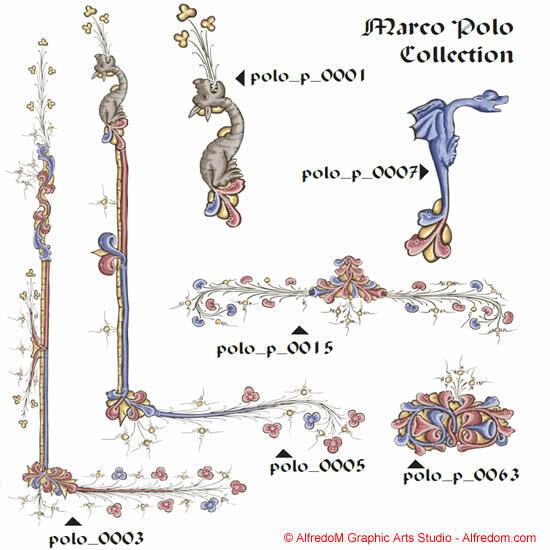 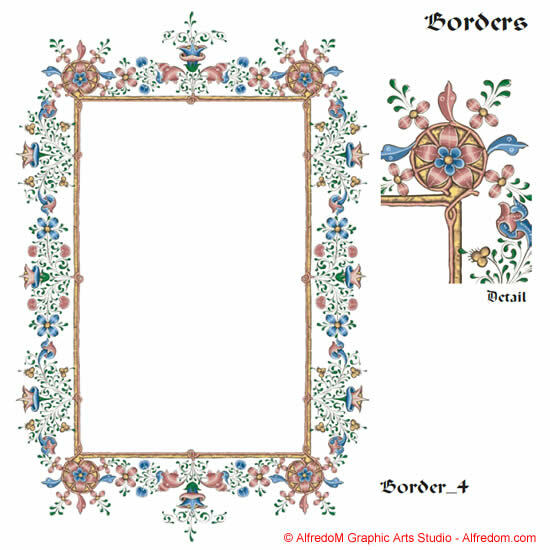 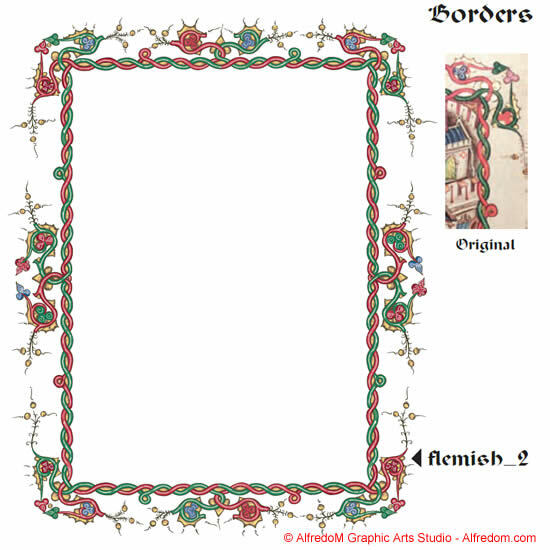 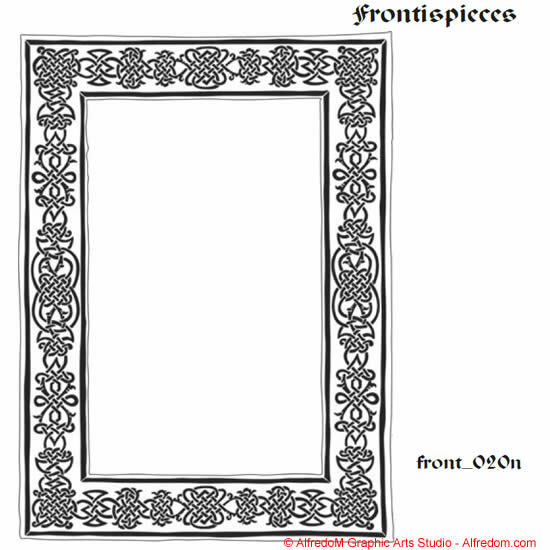 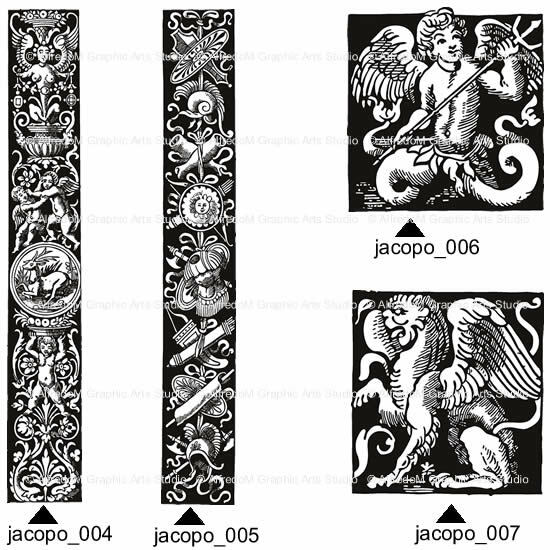 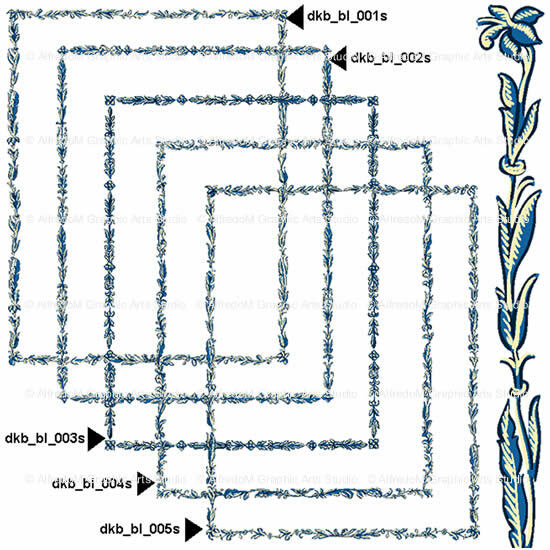 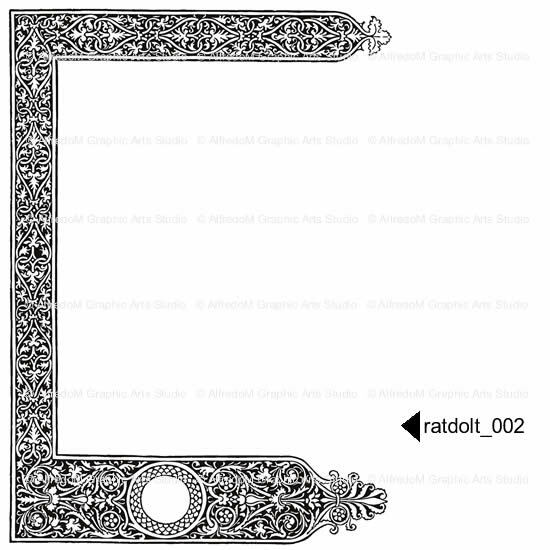 Borders, laces, bands, floral elements, illuminations, illuminated capitals, etc. 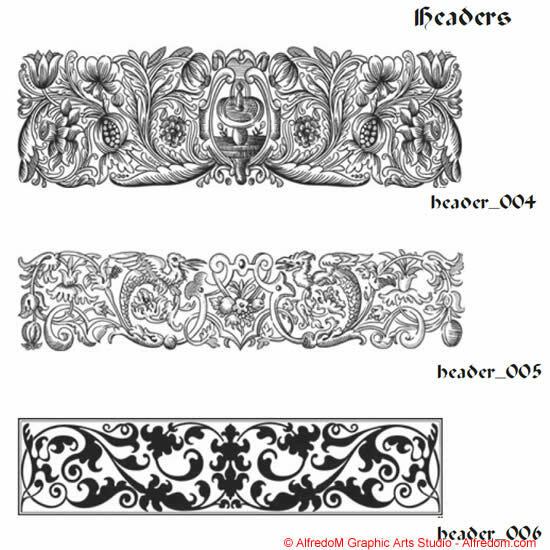 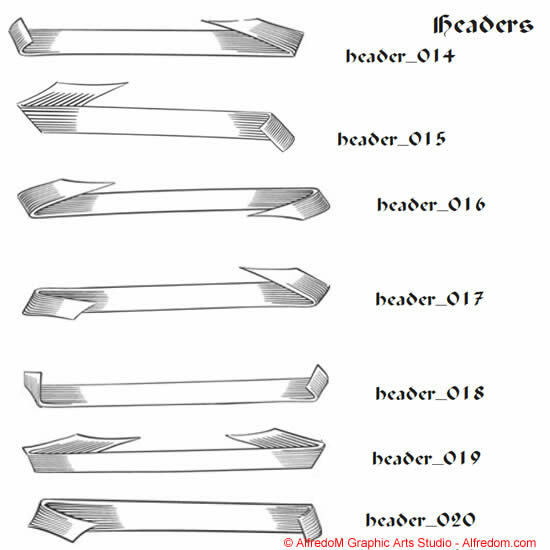 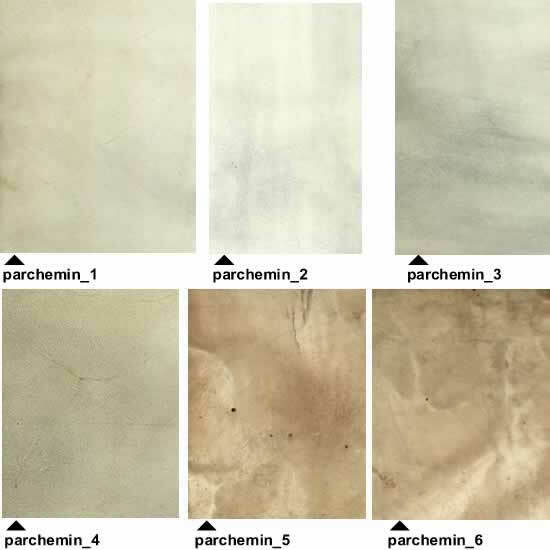 can be used with your graphic program or word processor and printed from either from your home printer or sent to an outside printer. 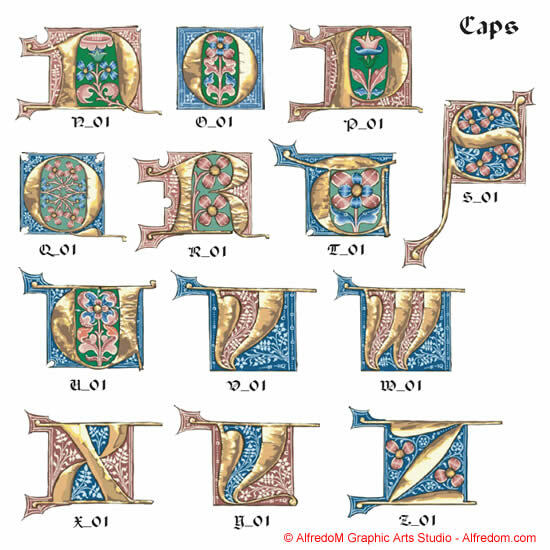 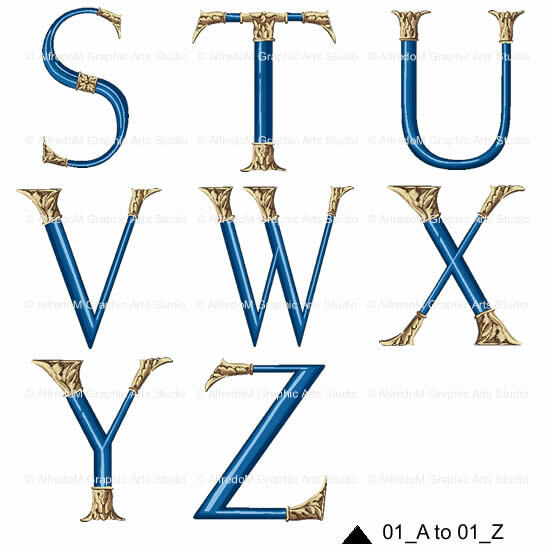 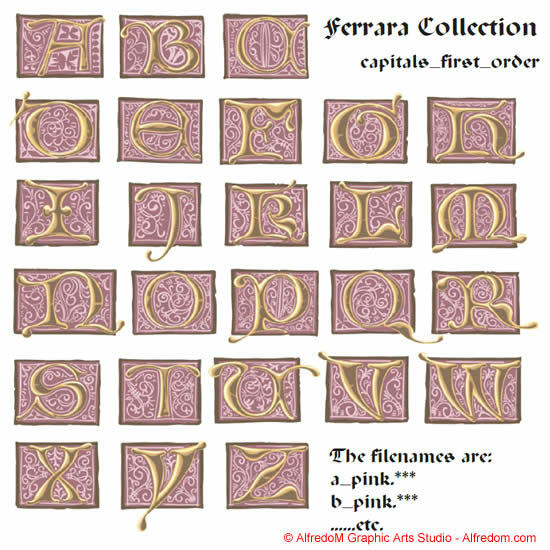 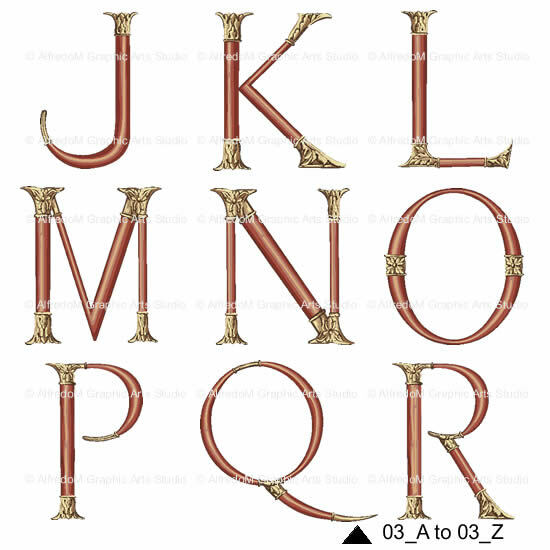 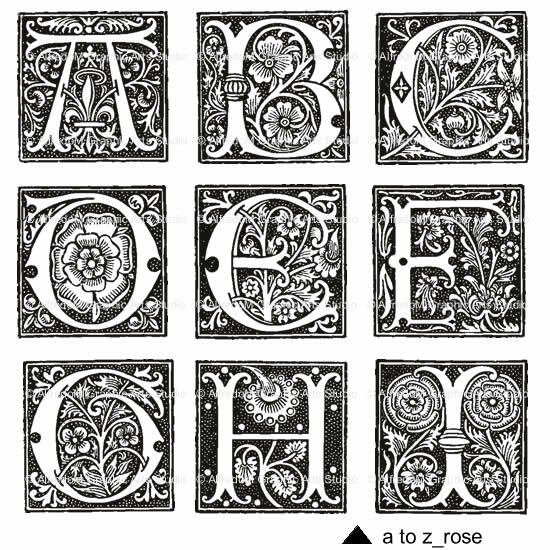 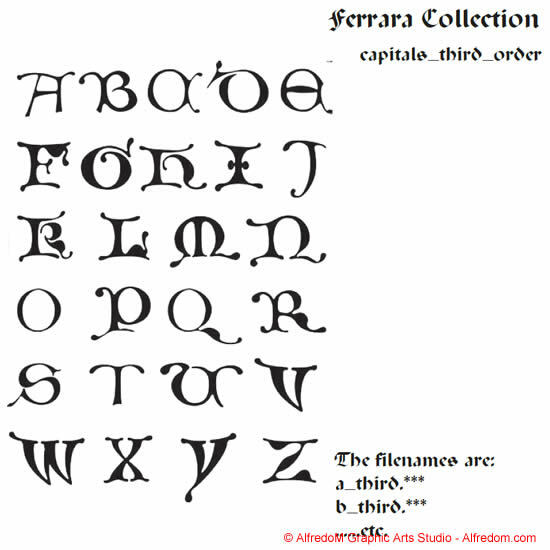 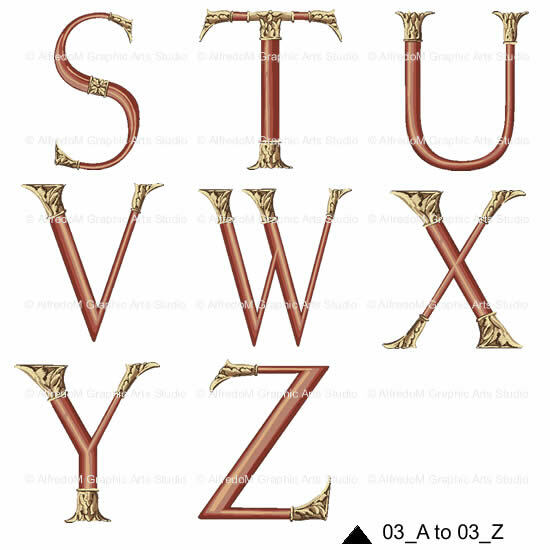 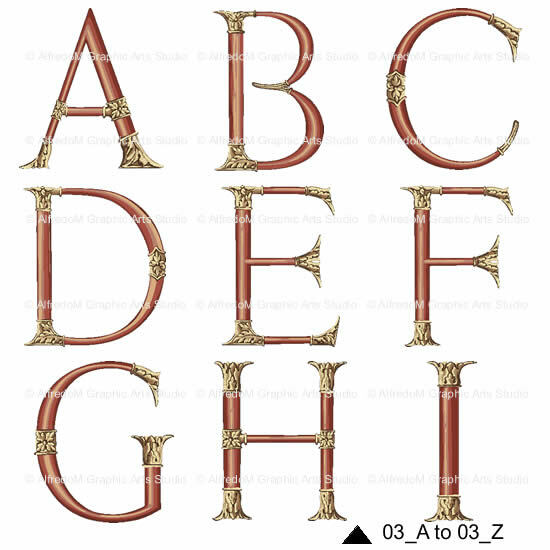 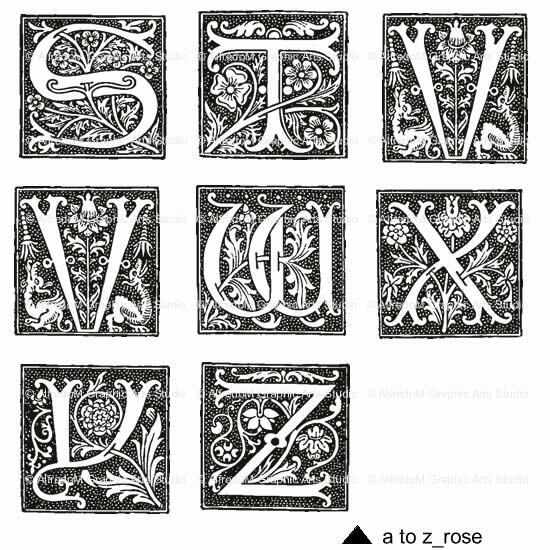 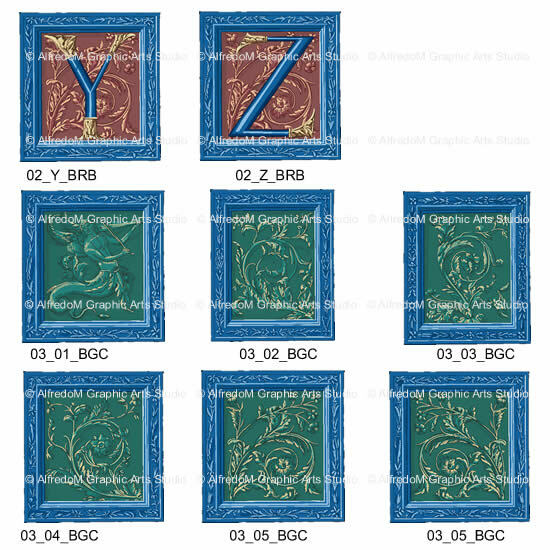 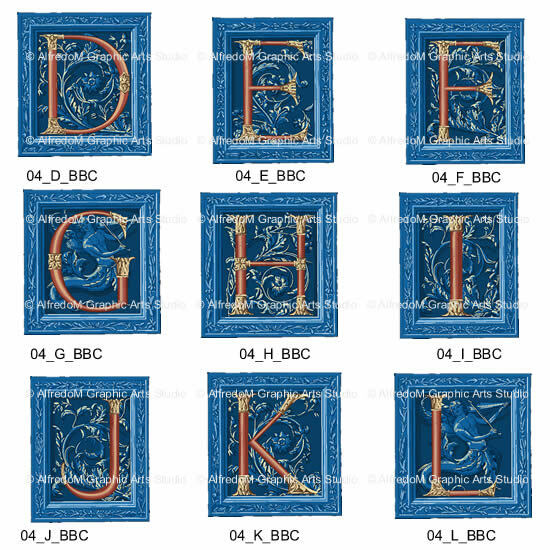 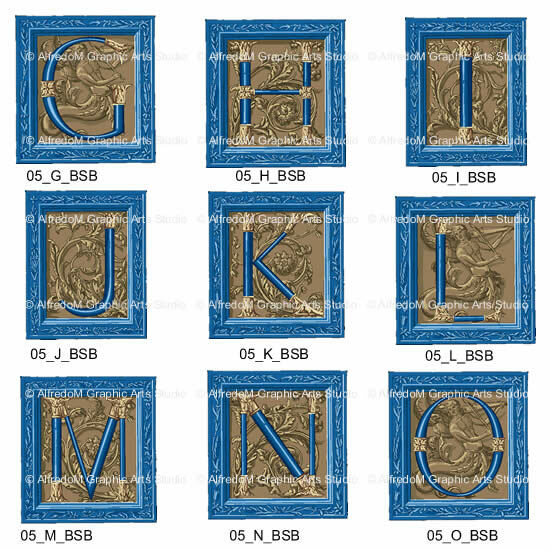 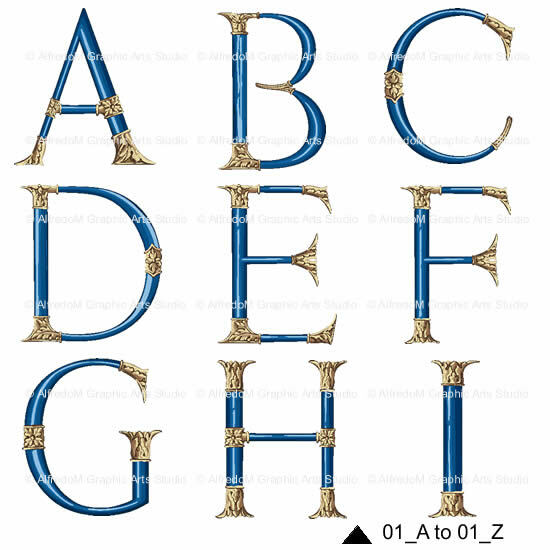 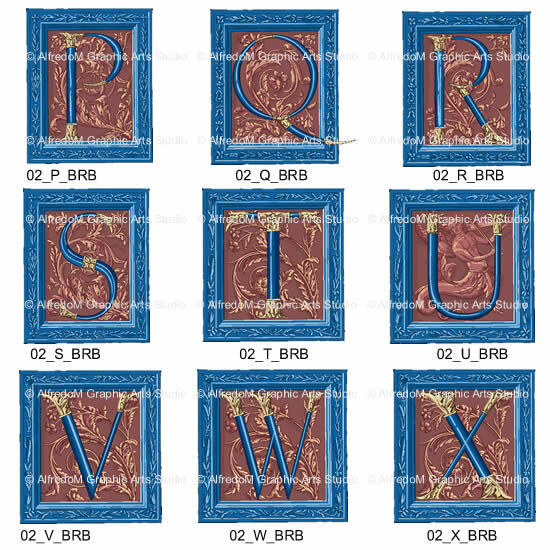 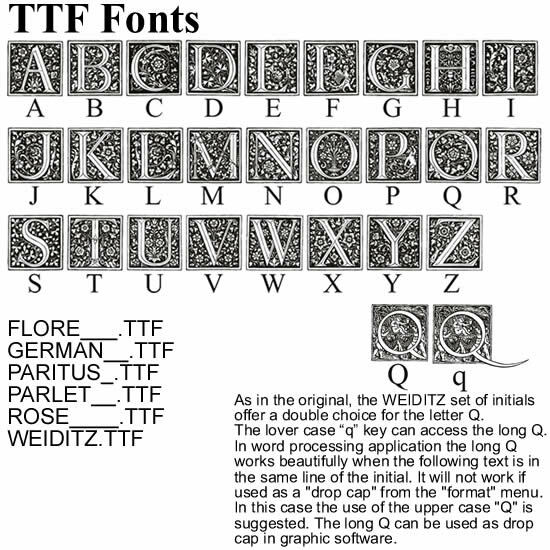 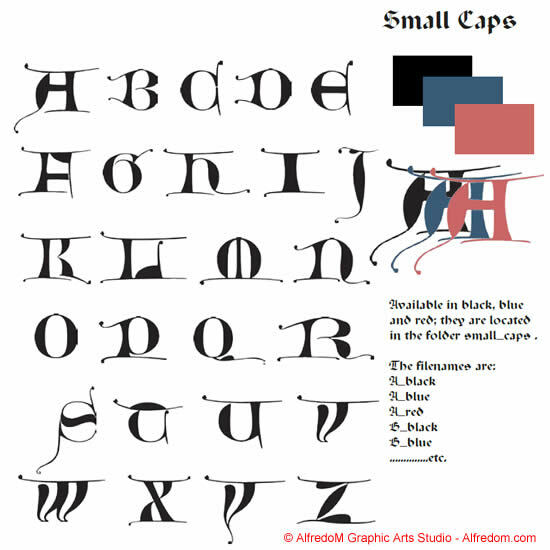 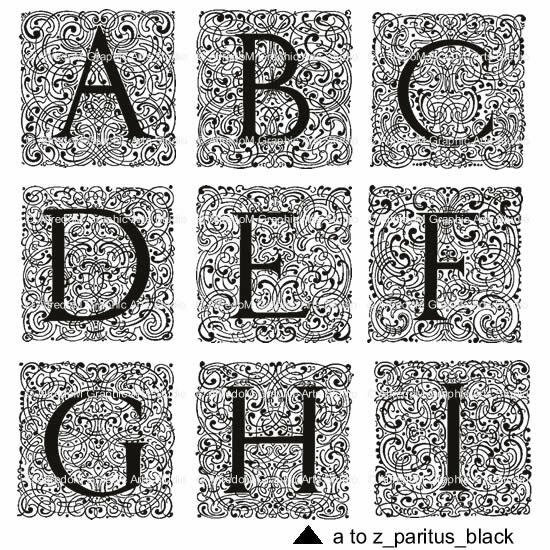 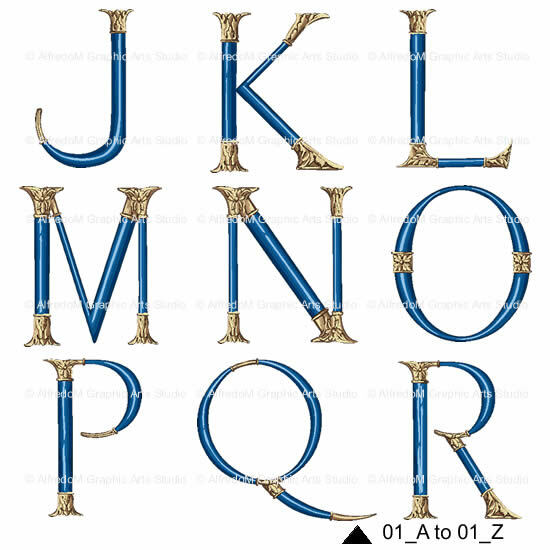 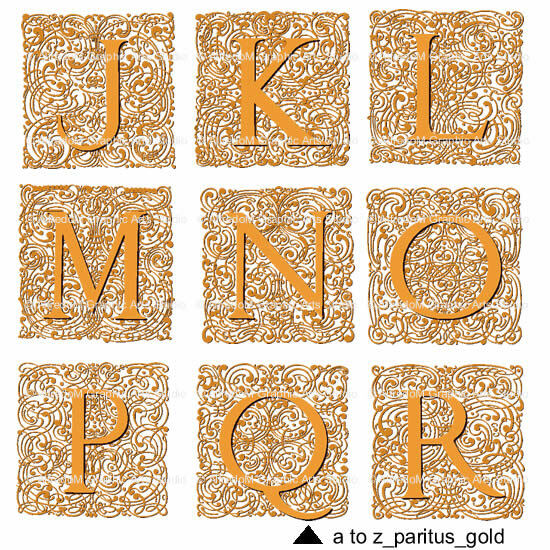 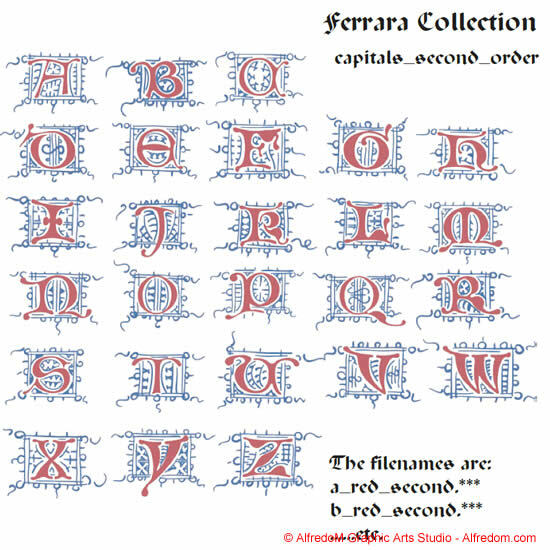 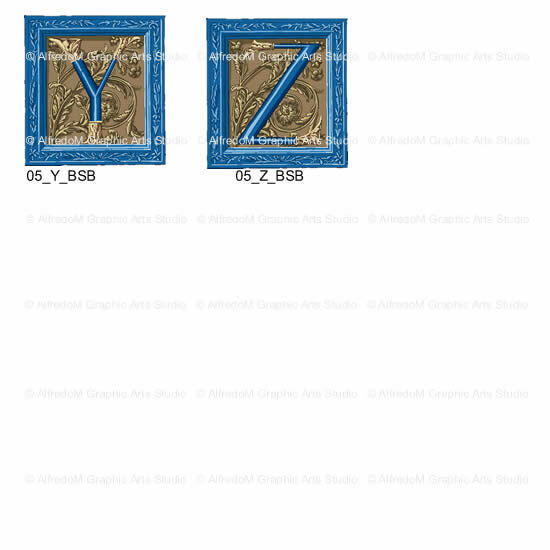 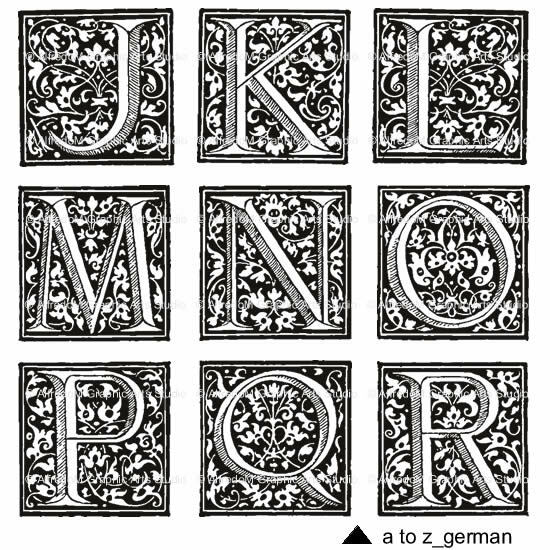 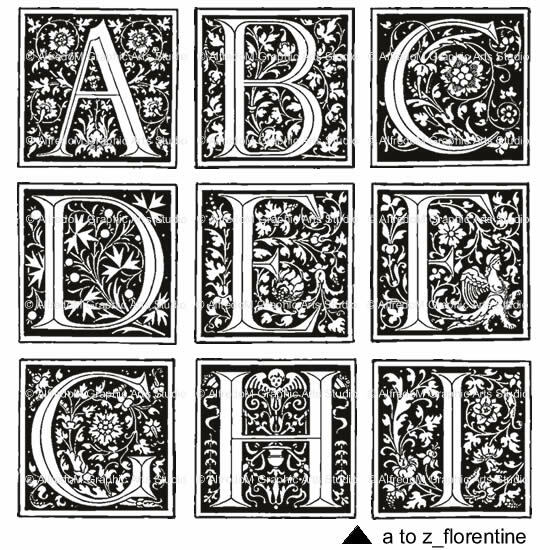 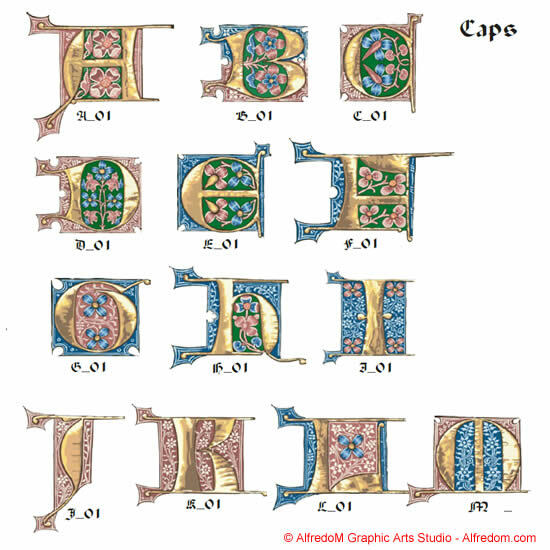 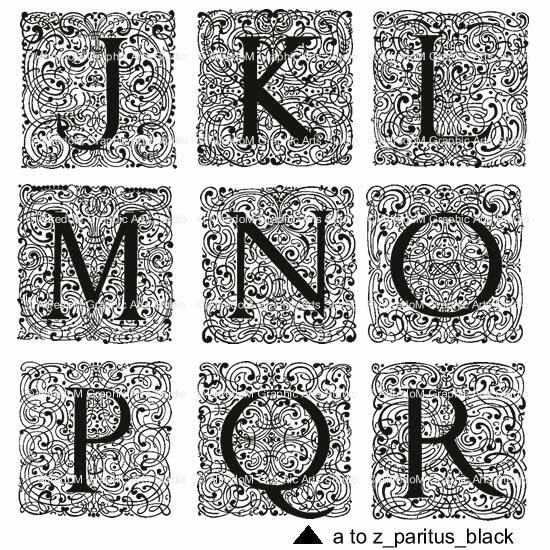 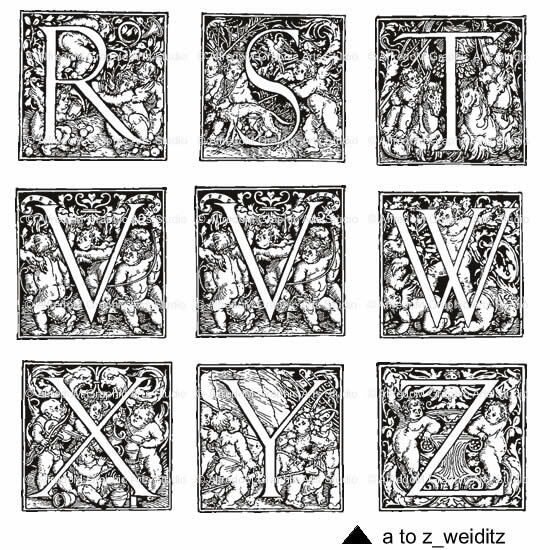 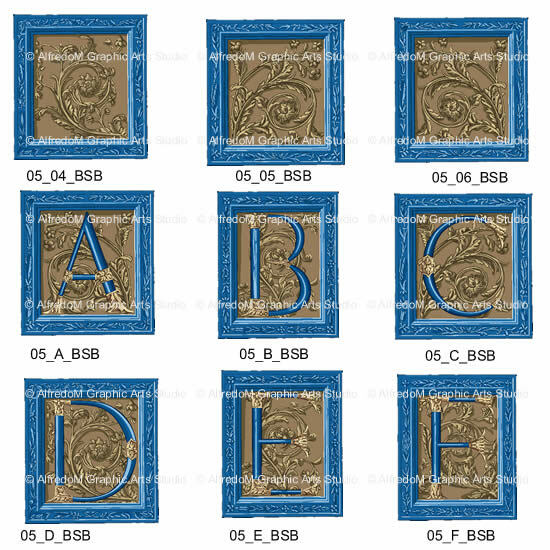 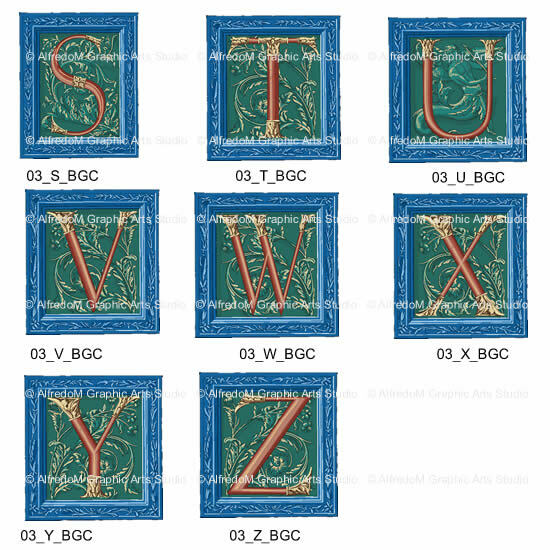 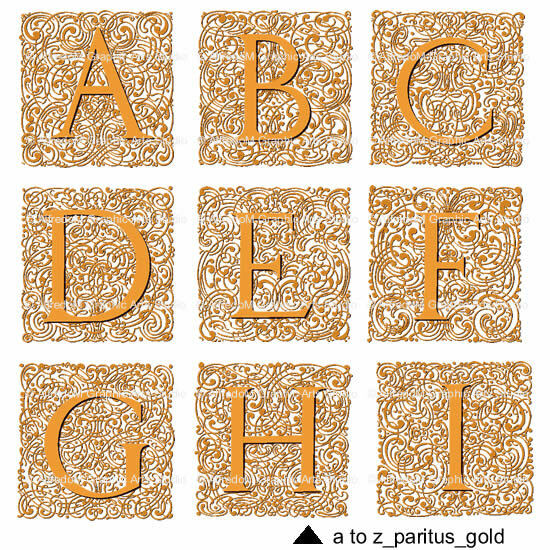 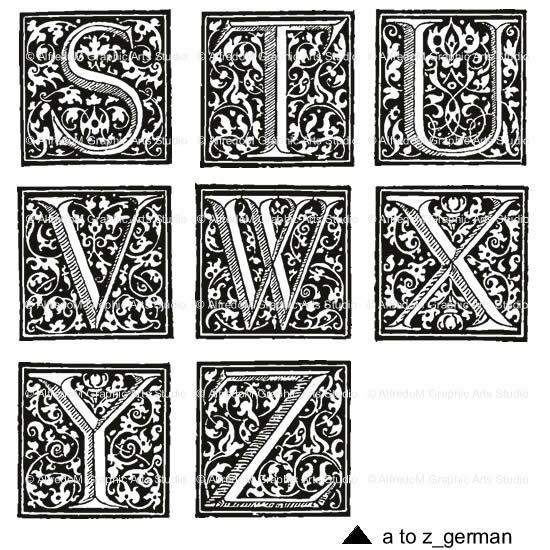 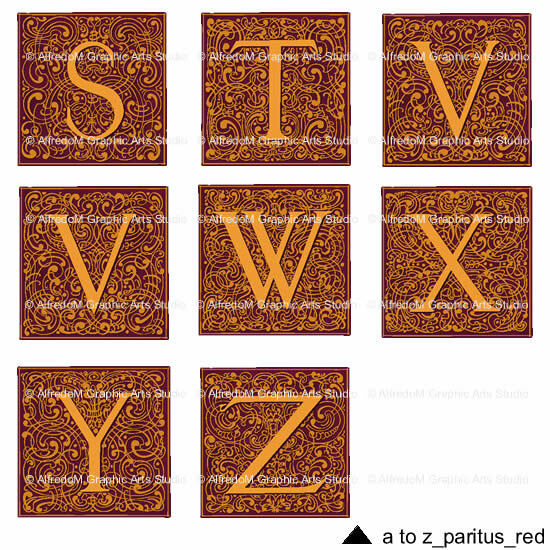 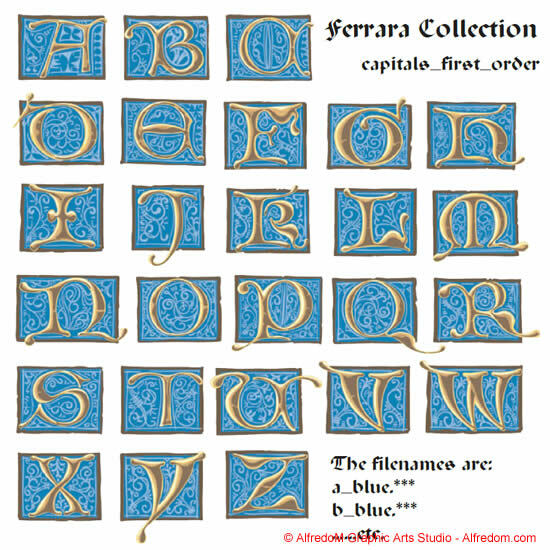 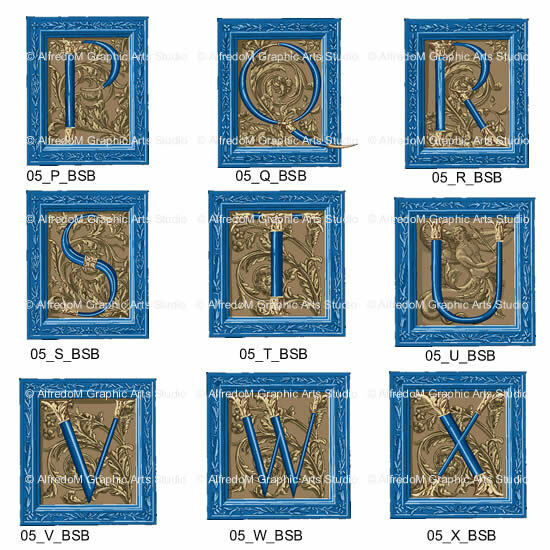 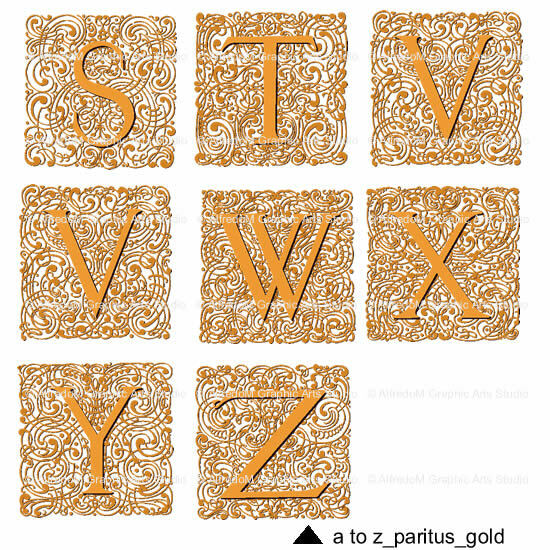 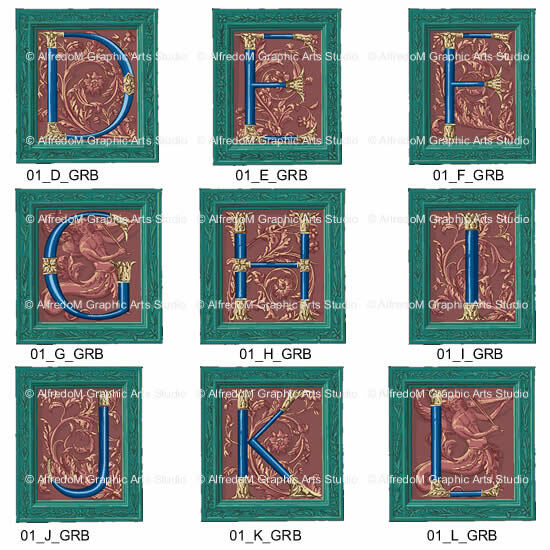 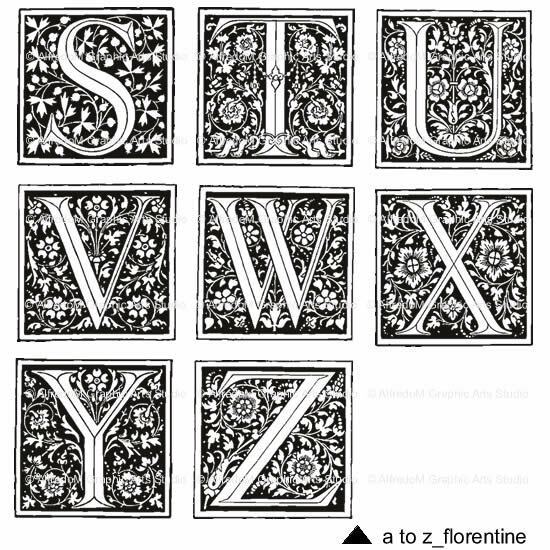 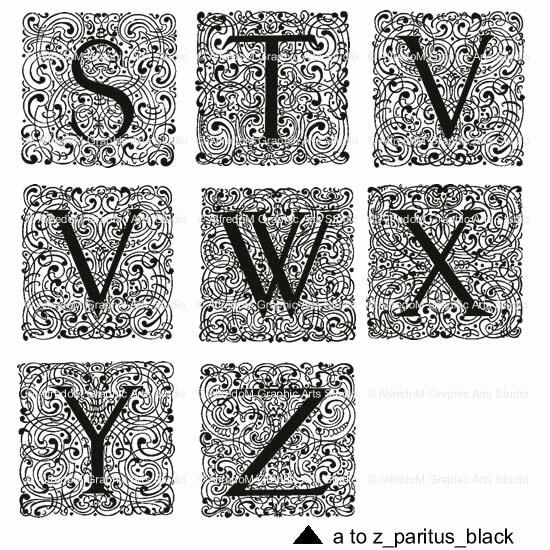 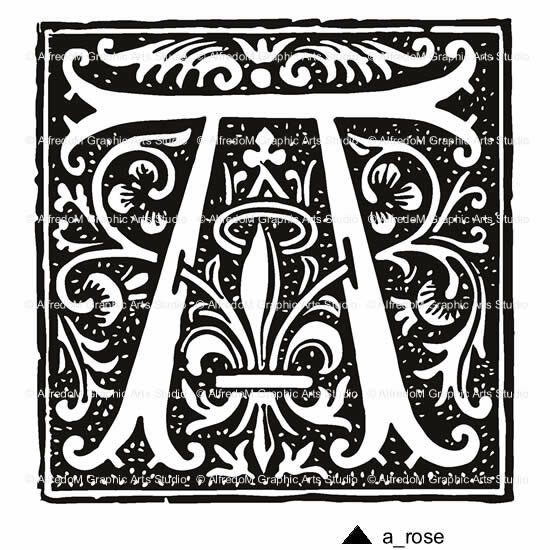 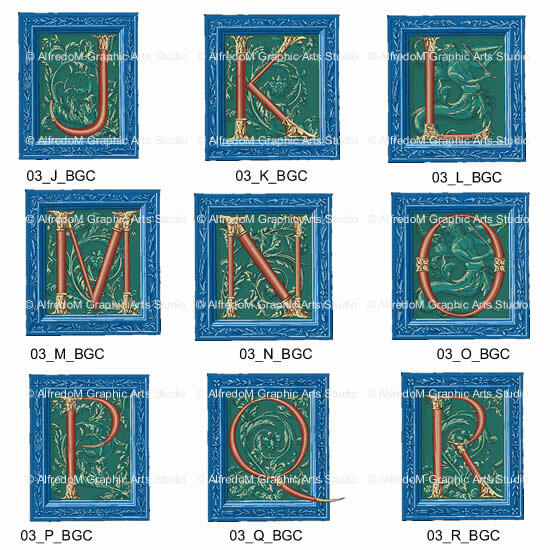 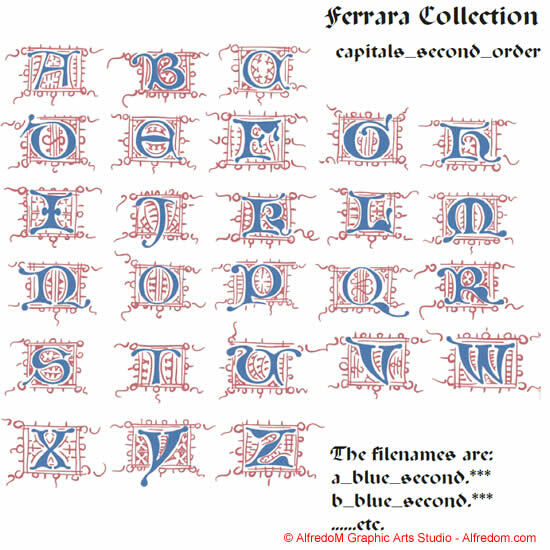 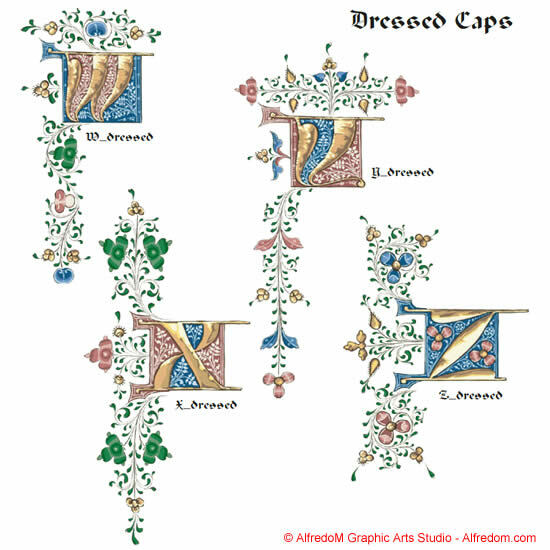 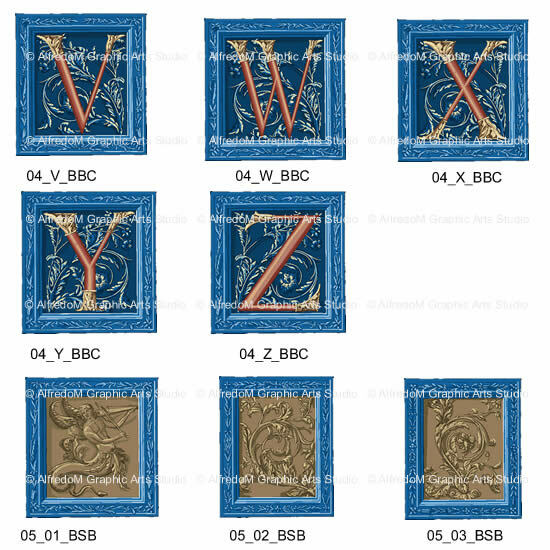 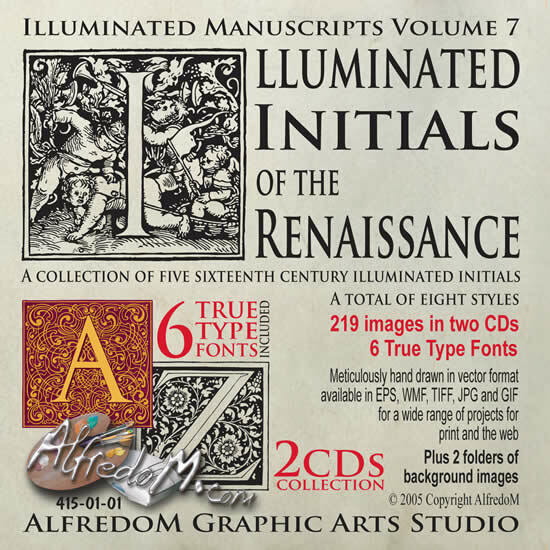 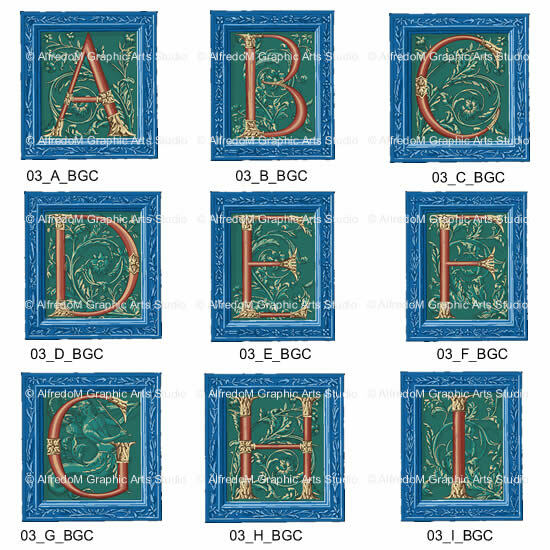 Illuminated caps and letters in different styles with matching small capitals and letters add elegance to all your correspondence or make authentic your Renaissance and Middle Age wedding invitations. 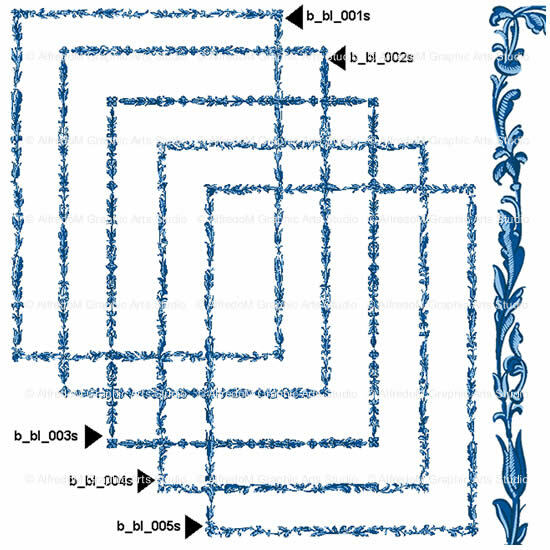 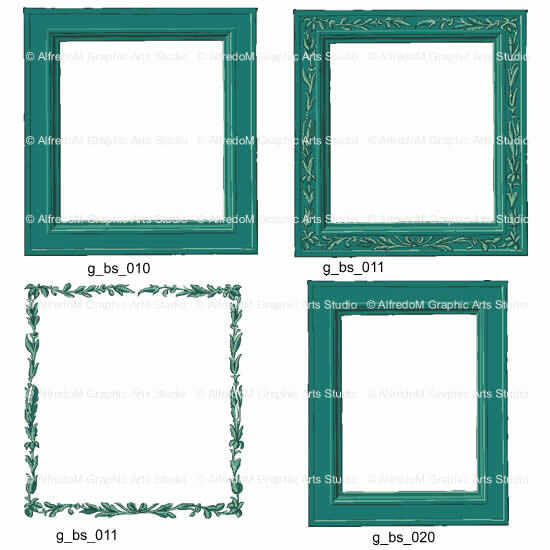 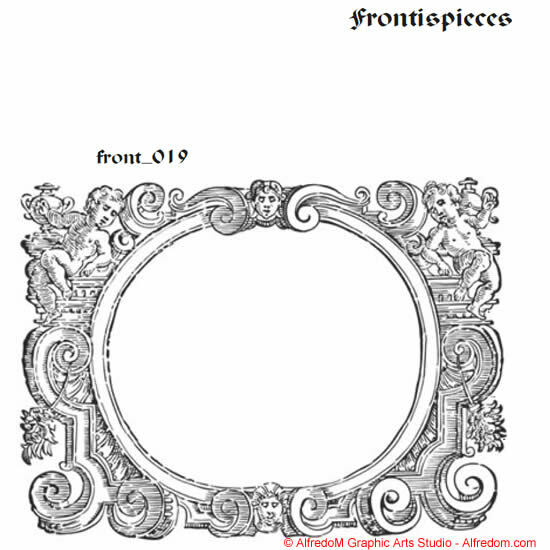 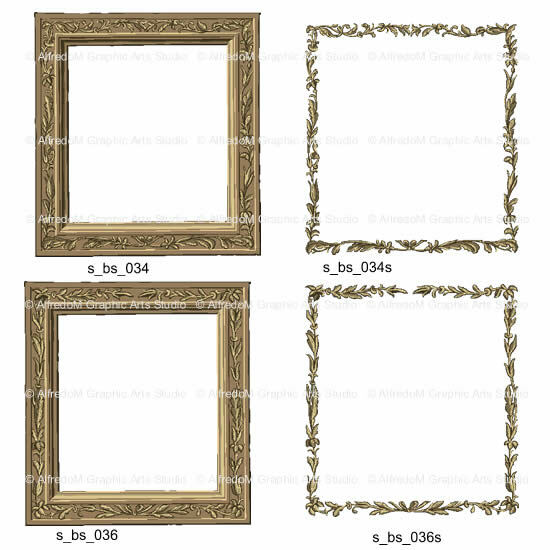 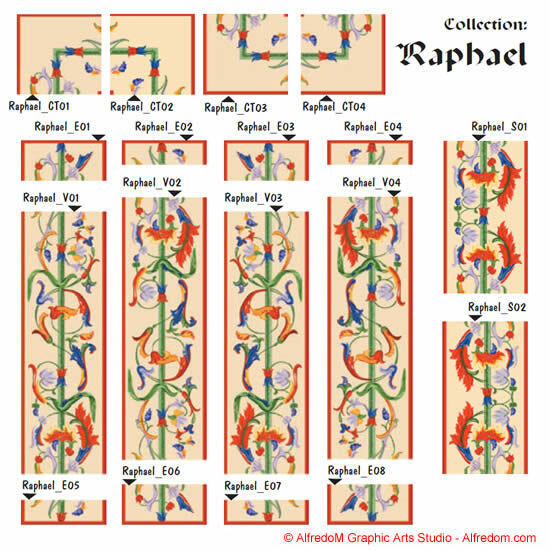 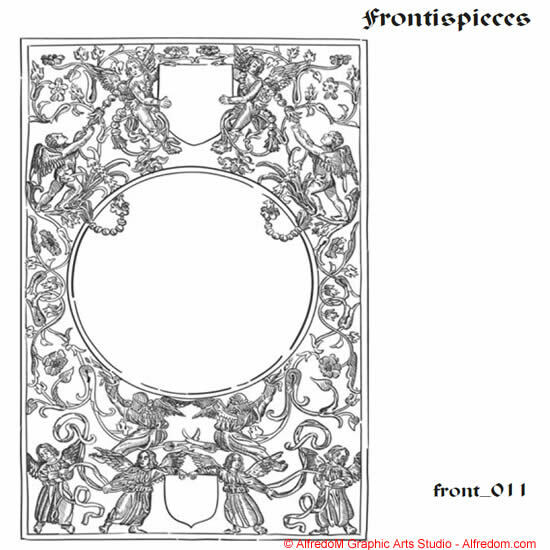 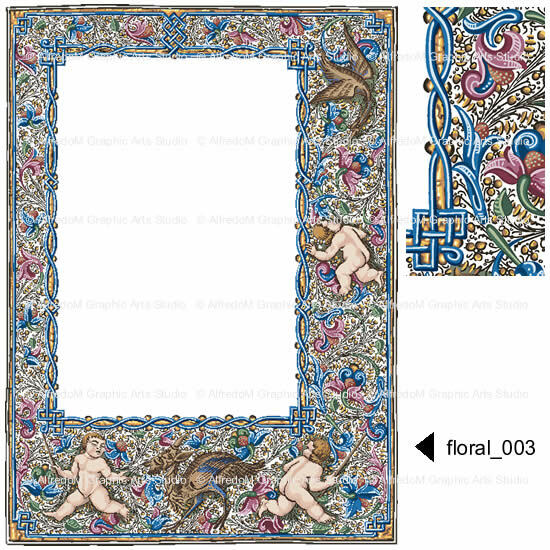 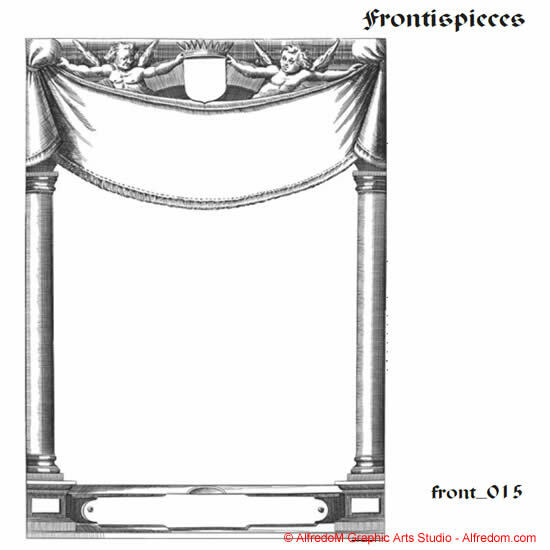 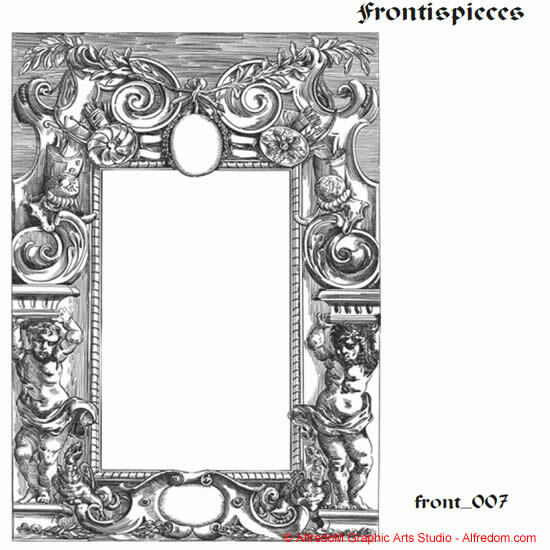 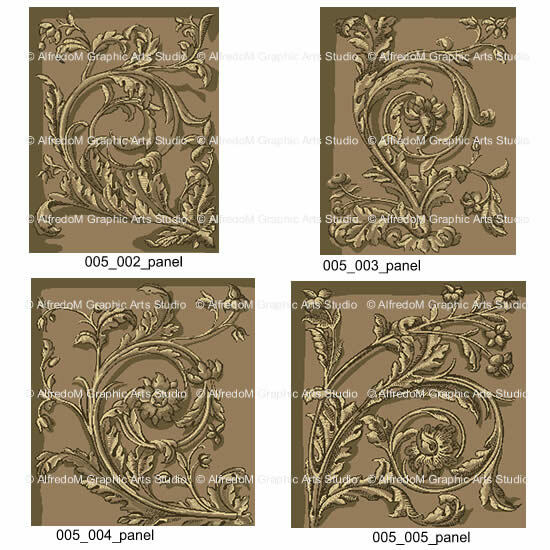 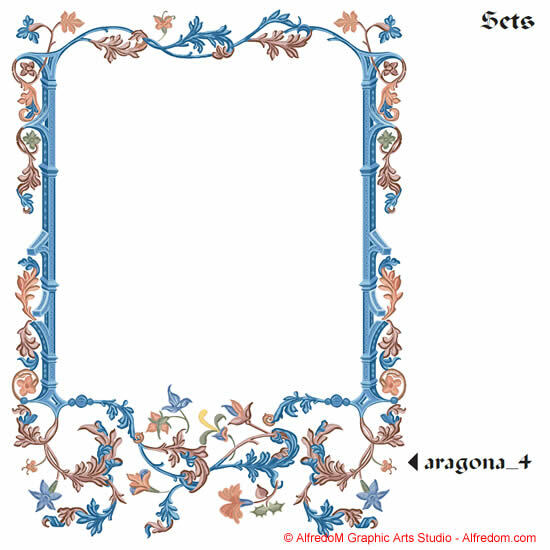 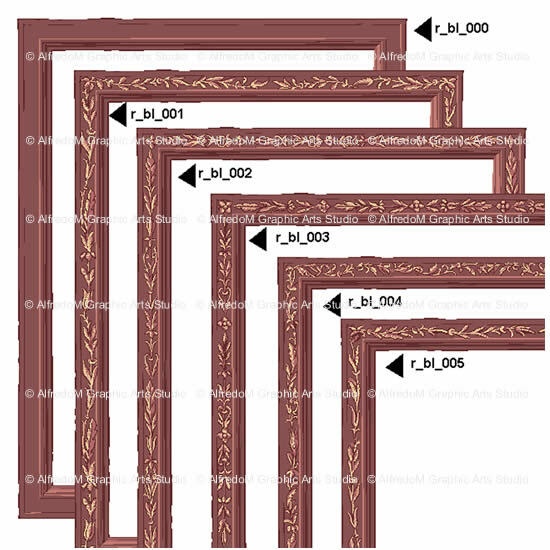 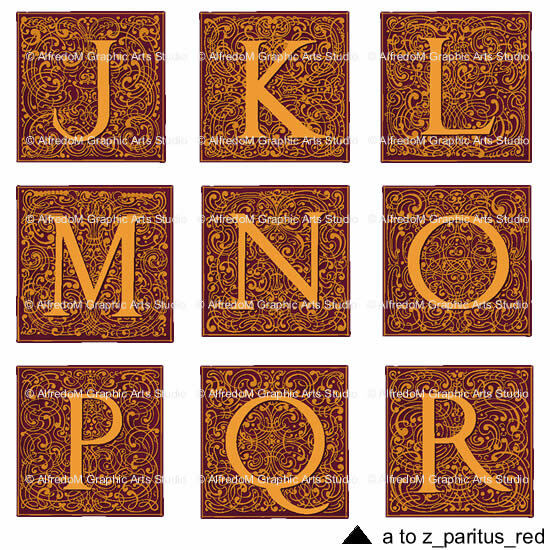 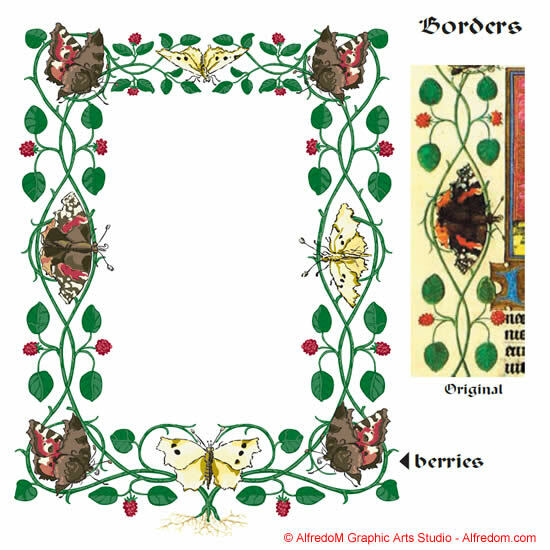 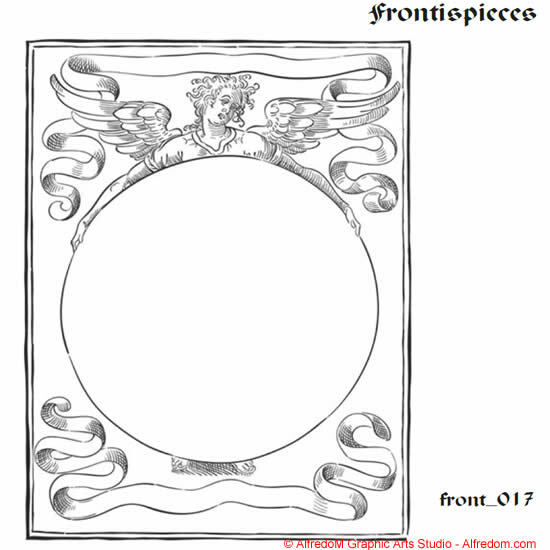 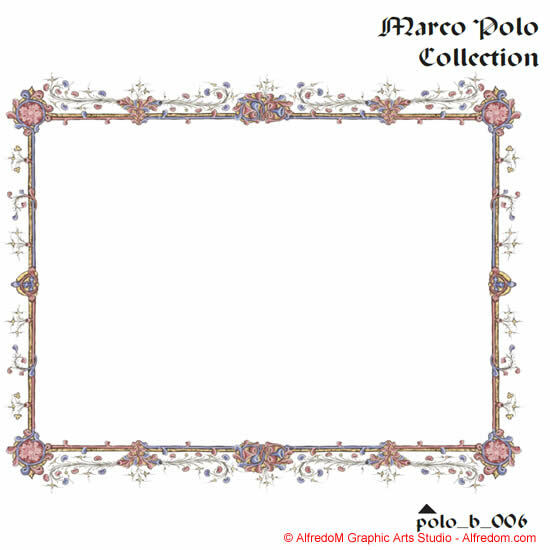 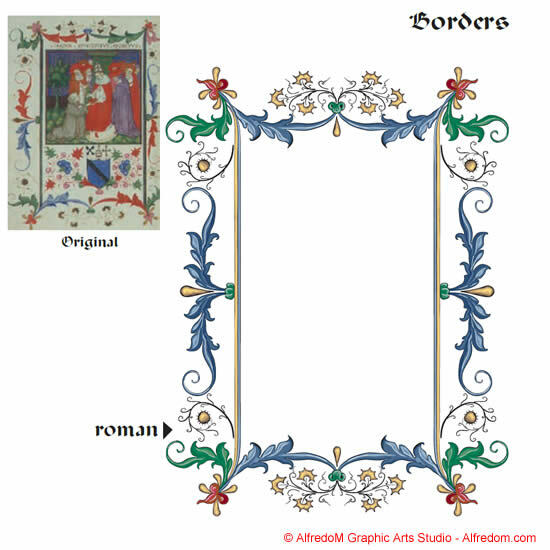 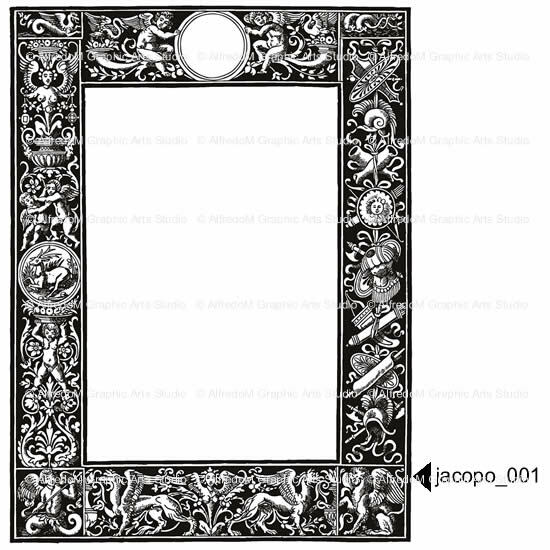 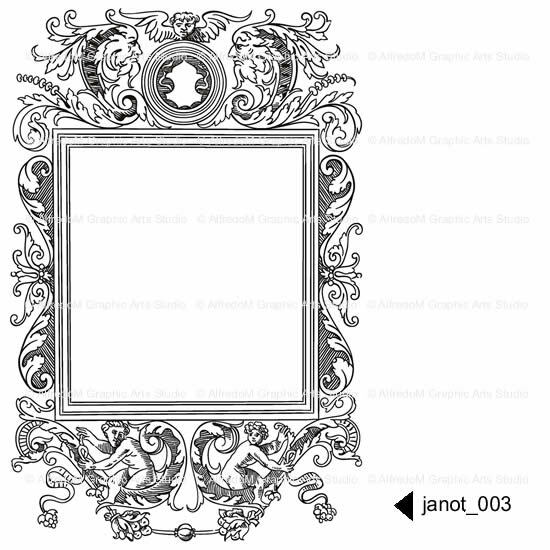 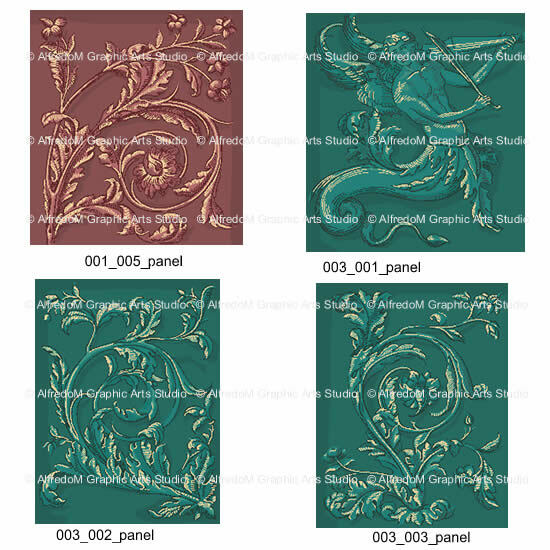 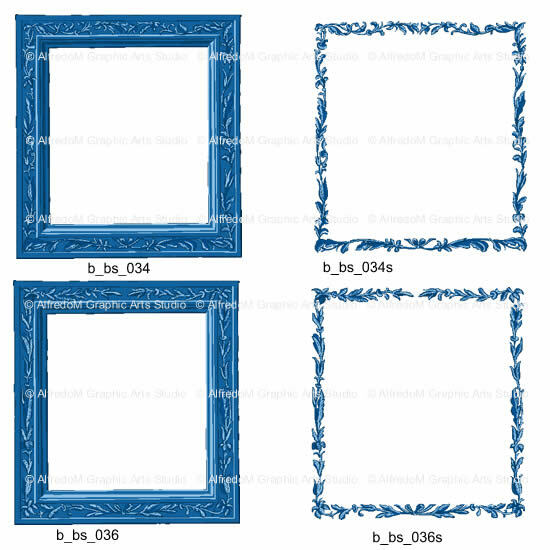 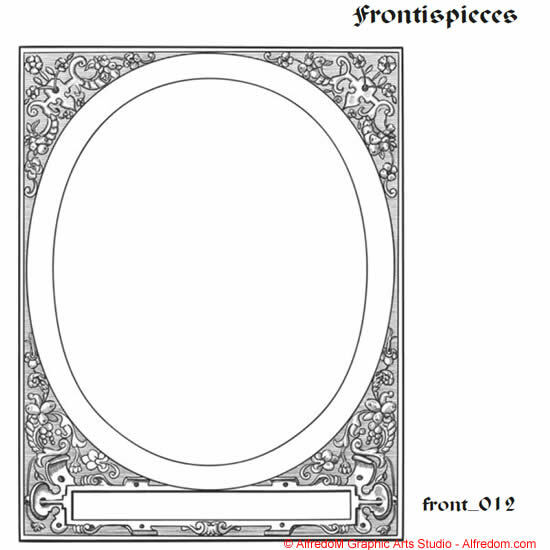 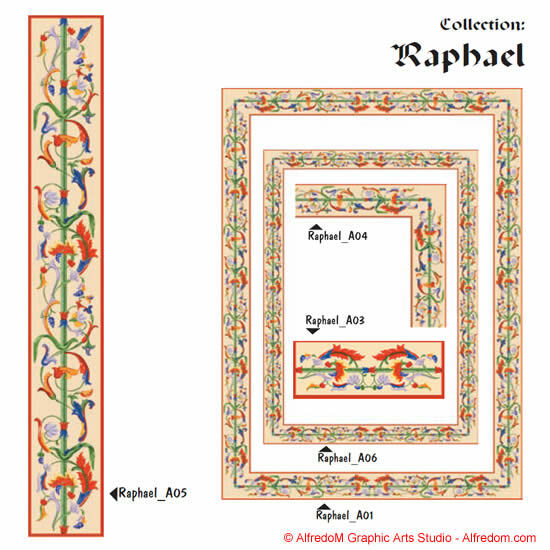 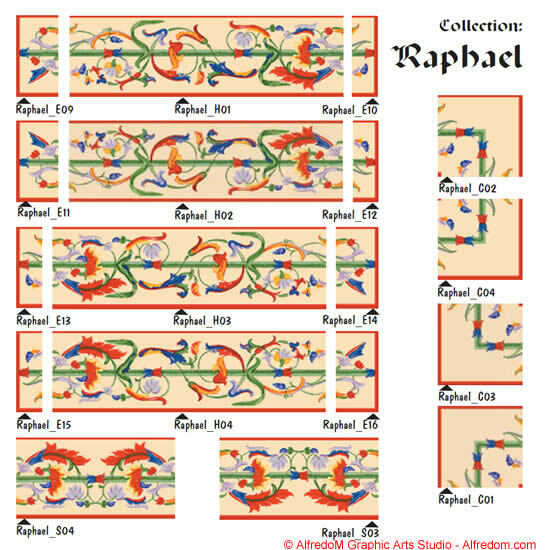 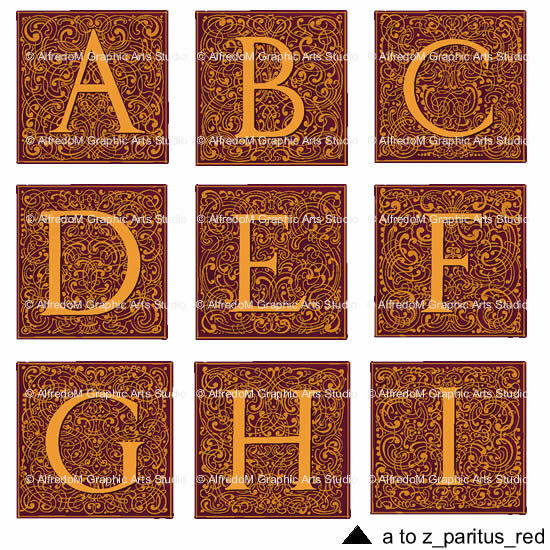 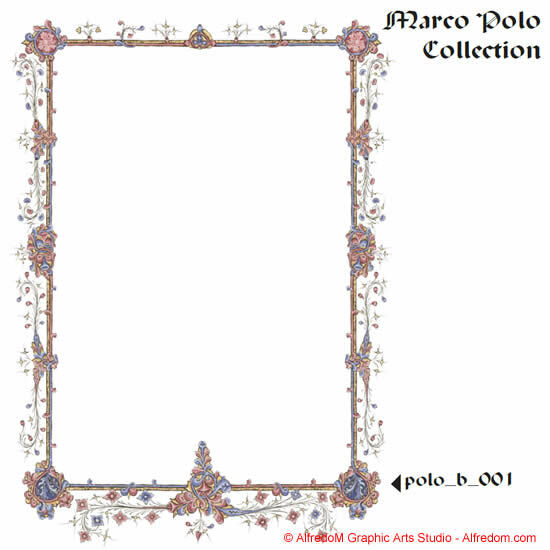 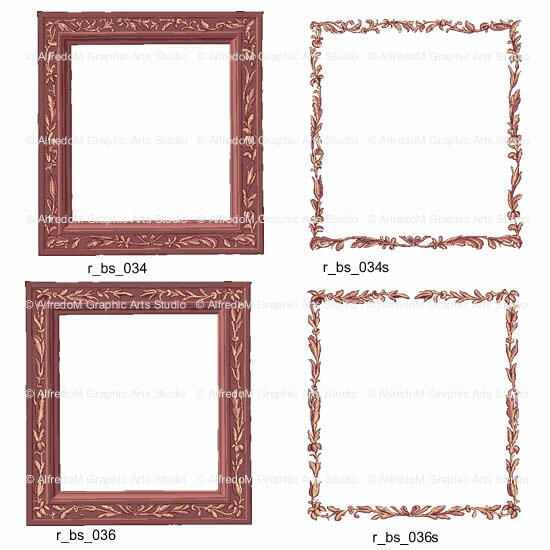 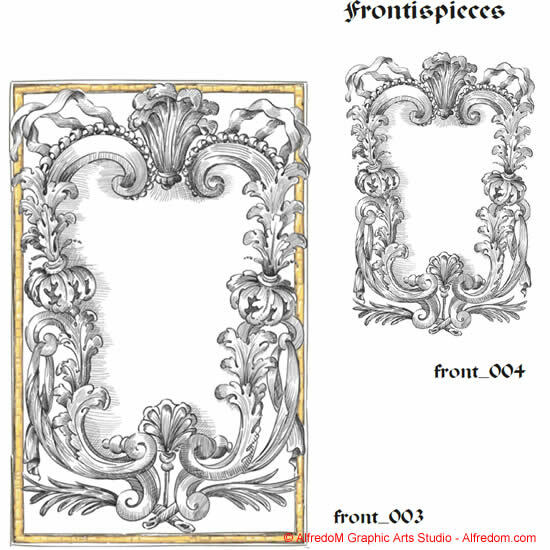 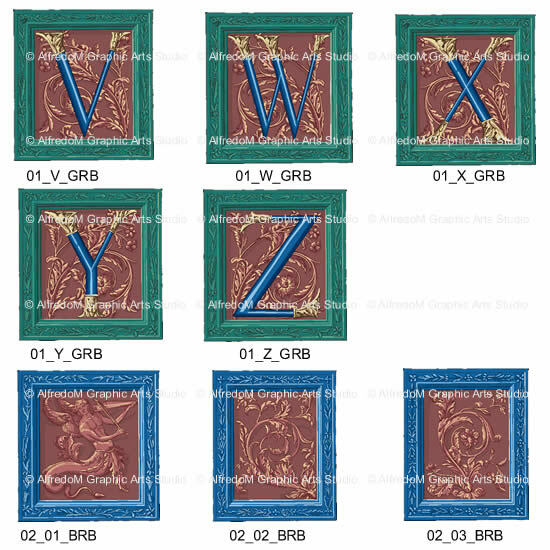 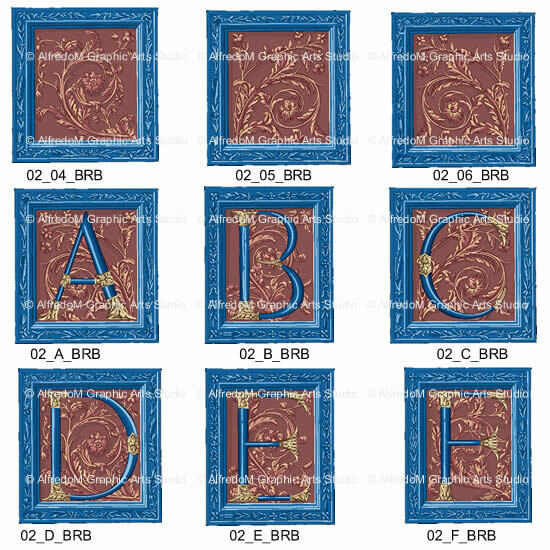 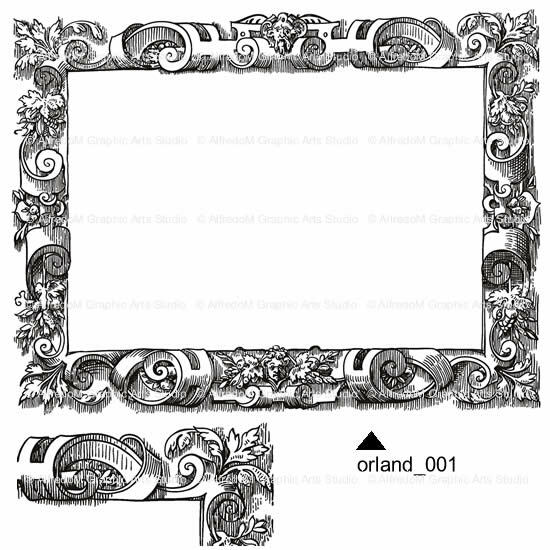 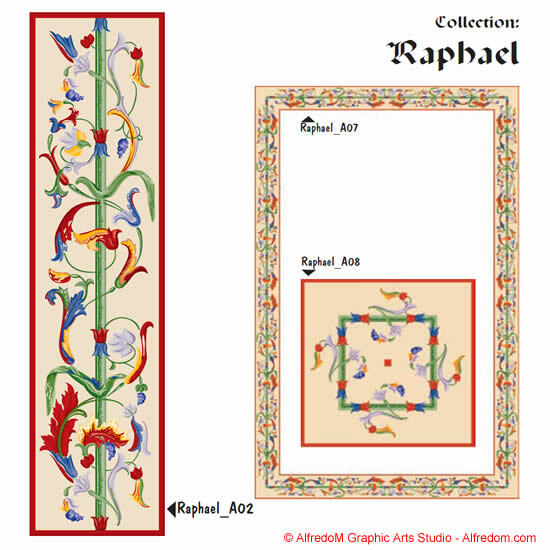 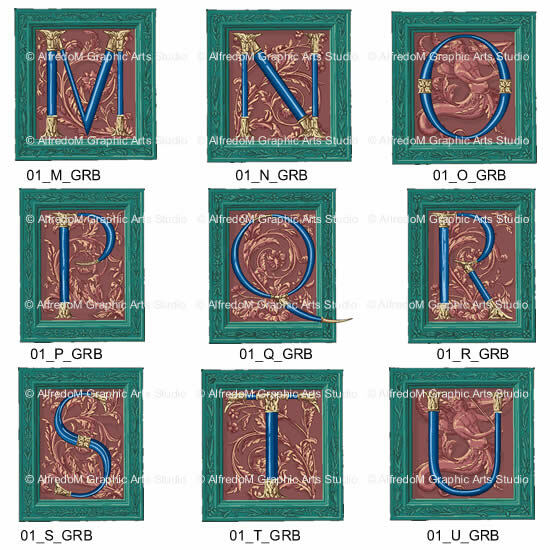 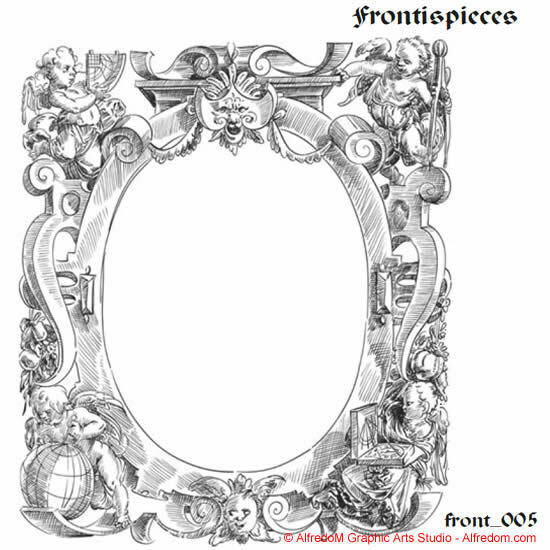 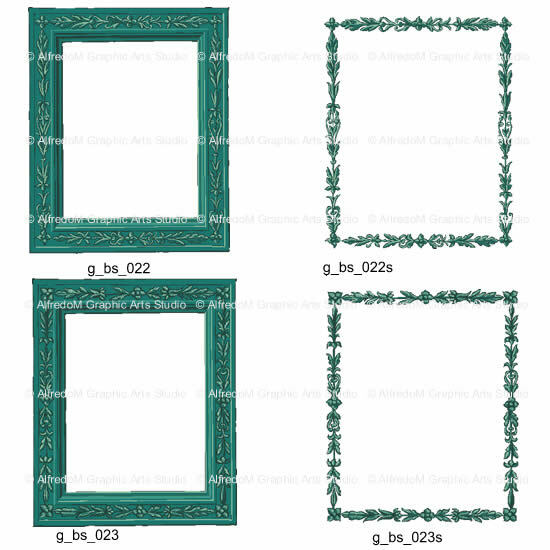 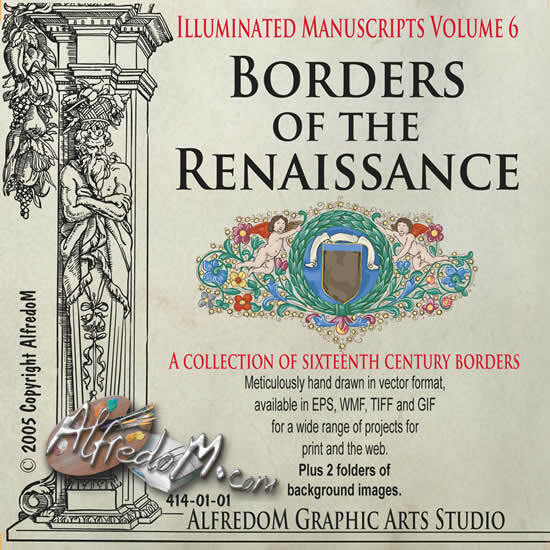 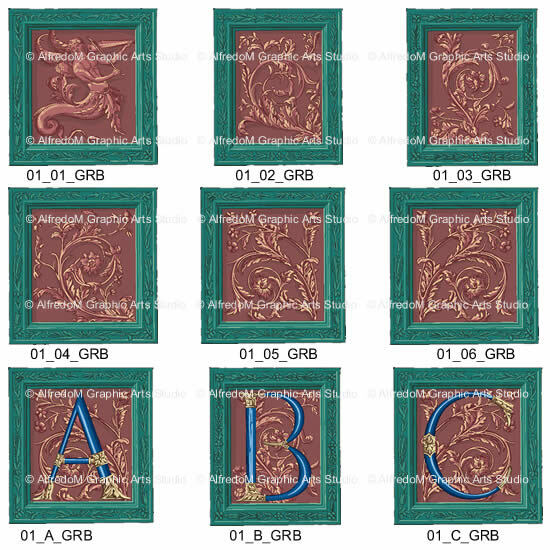 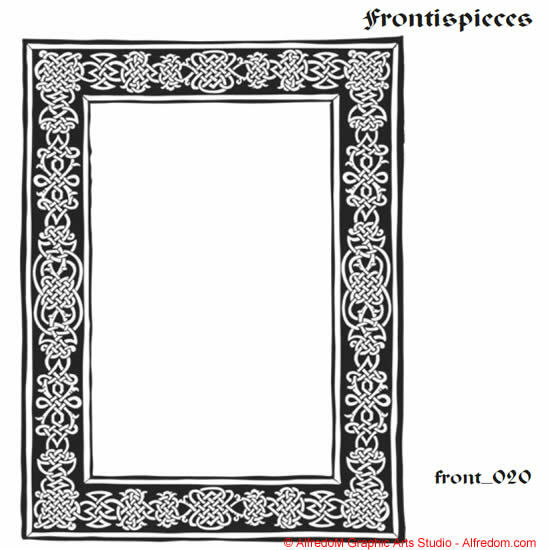 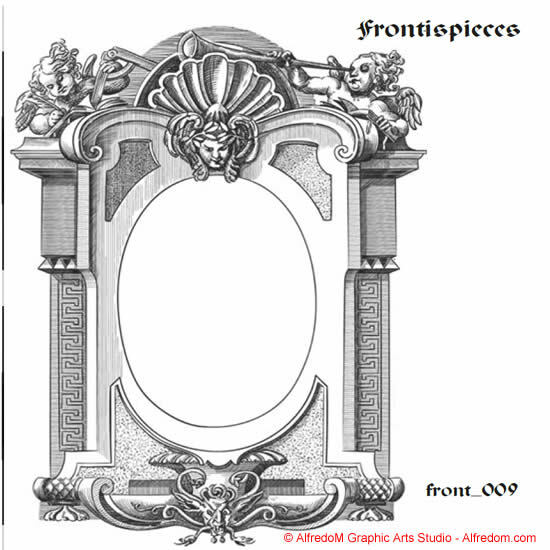 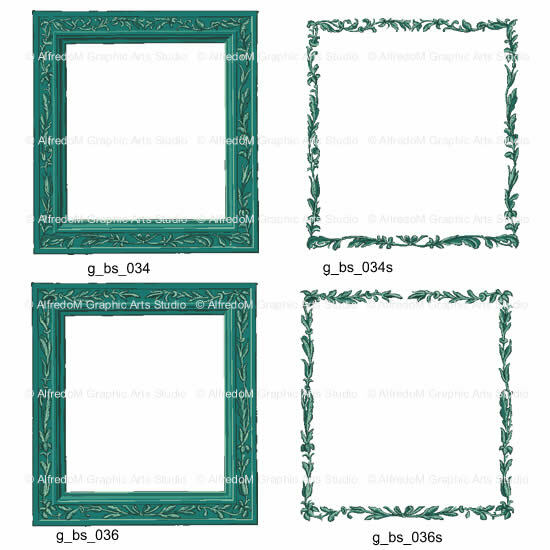 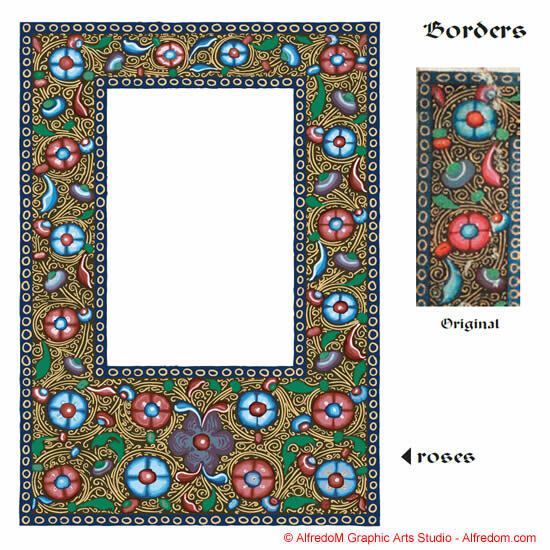 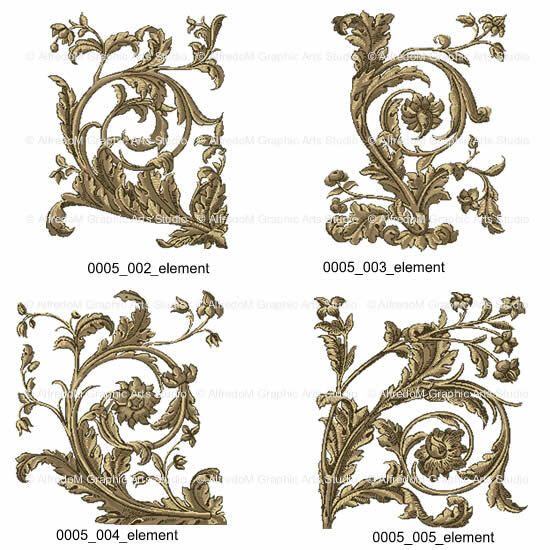 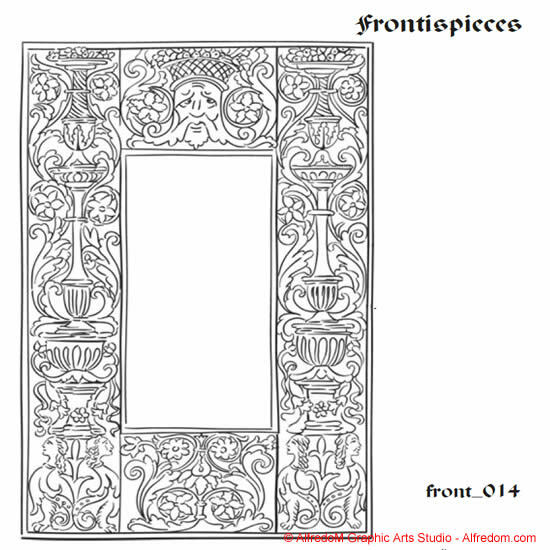 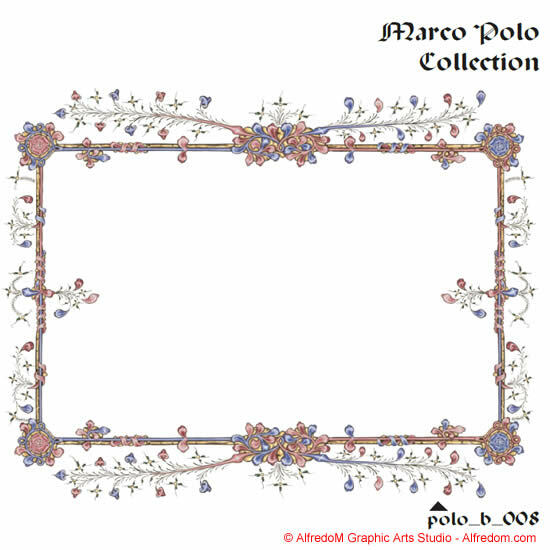 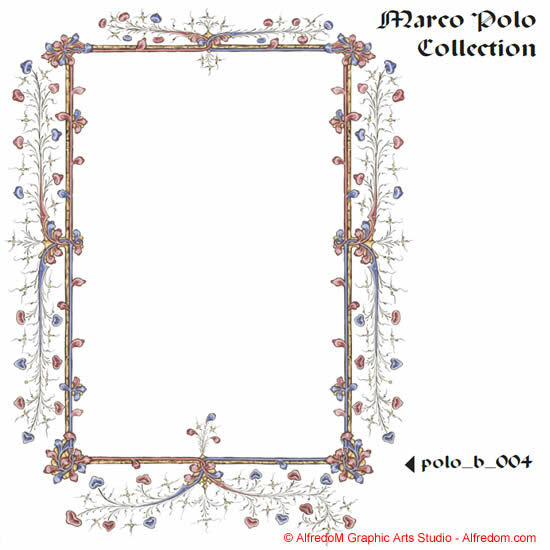 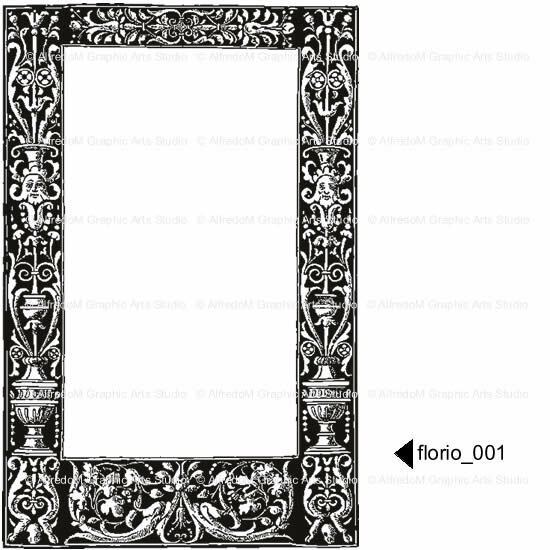 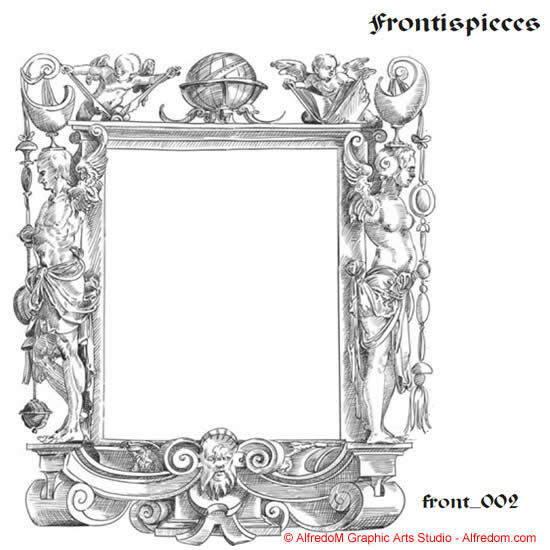 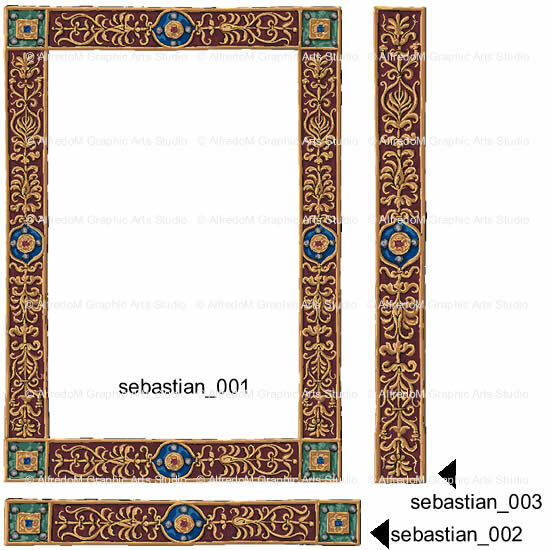 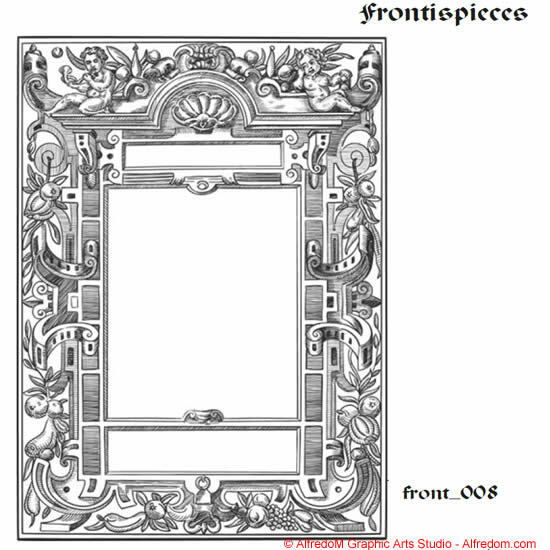 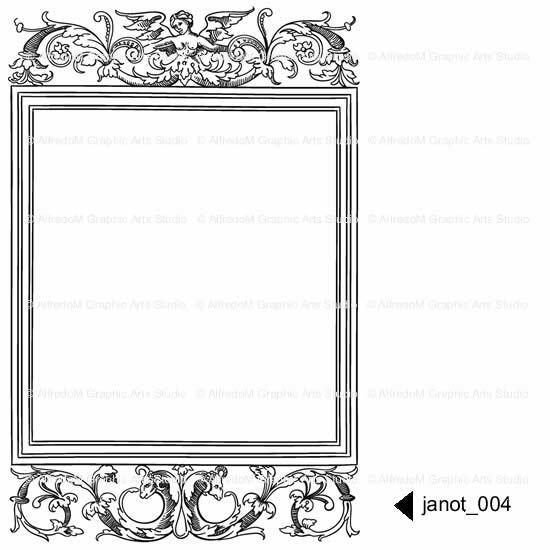 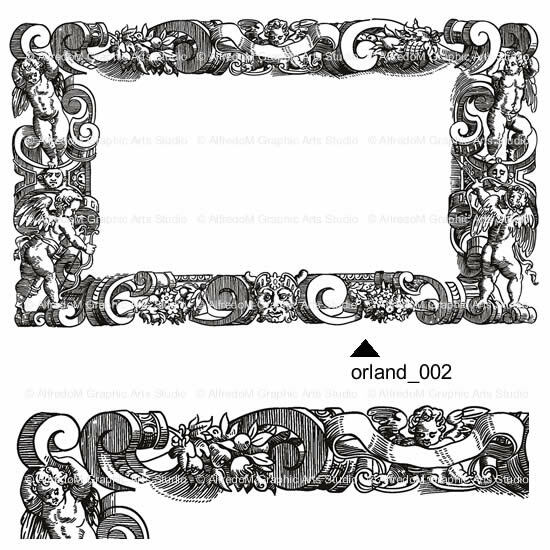 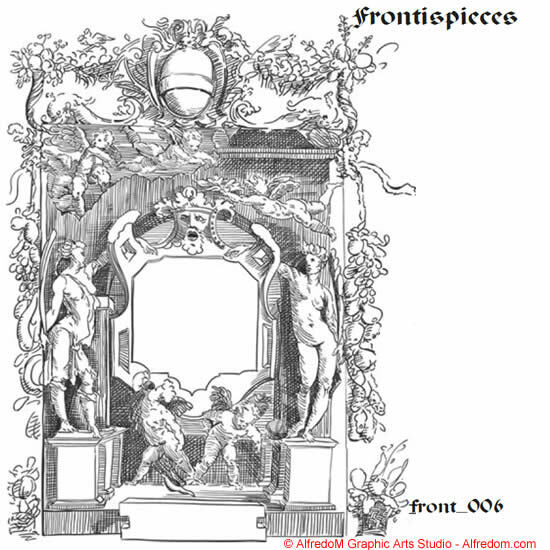 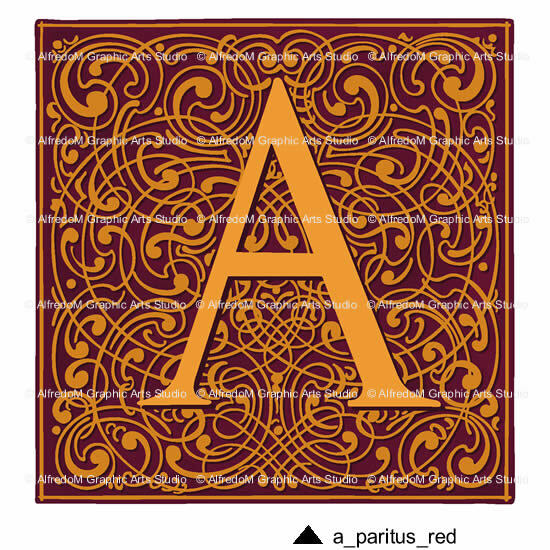 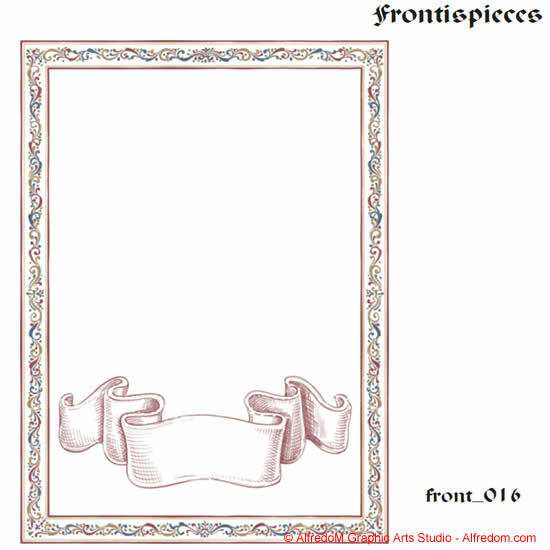 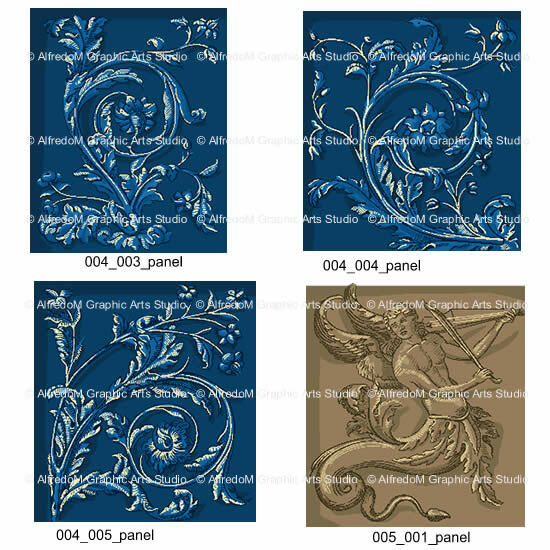 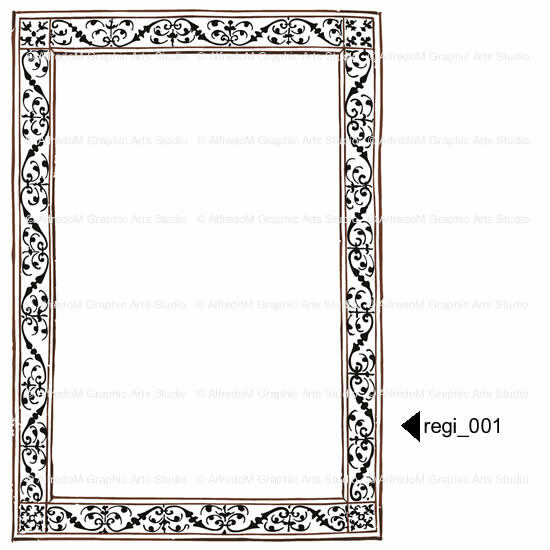 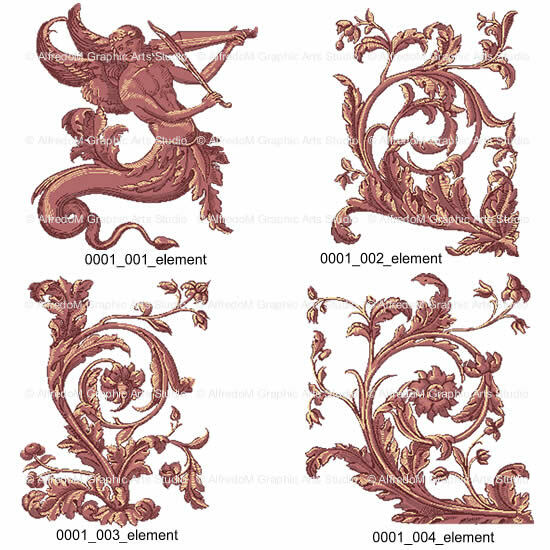 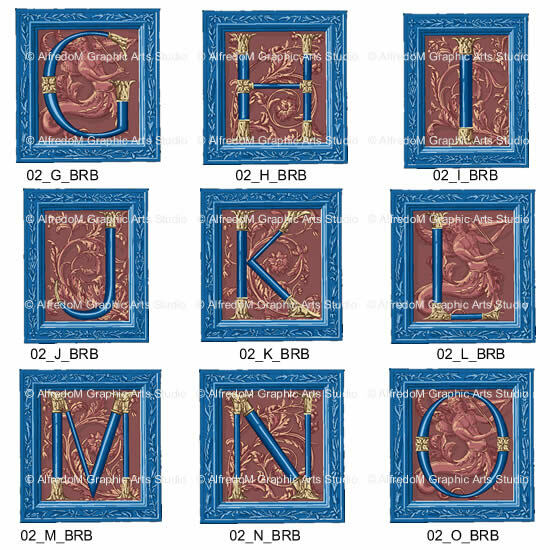 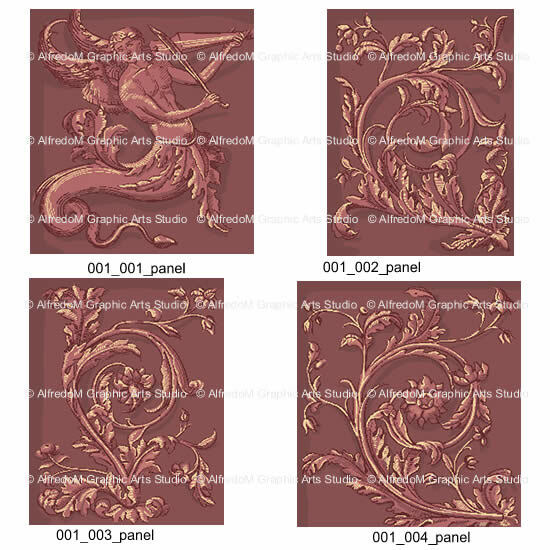 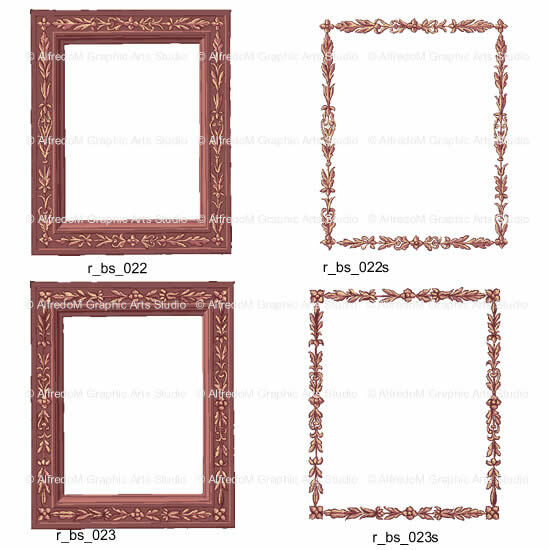 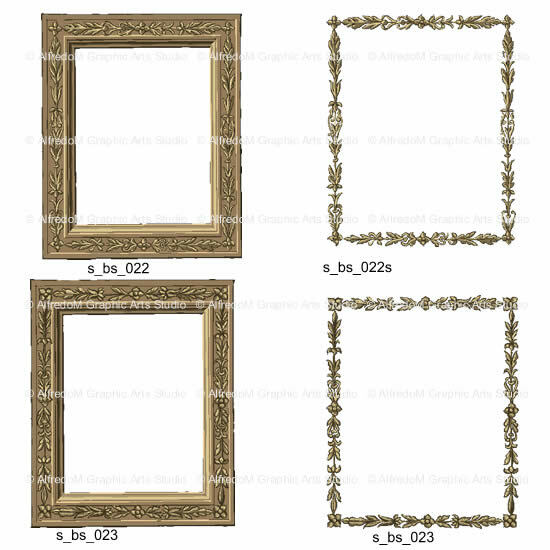 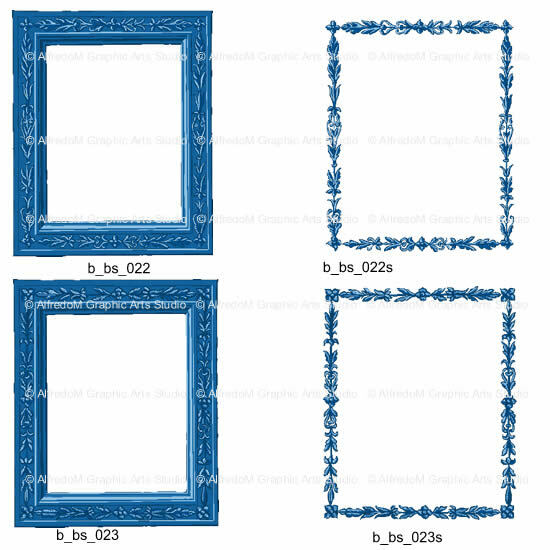 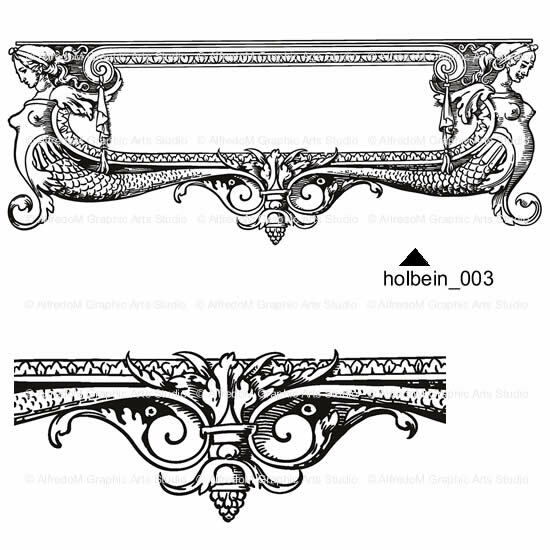 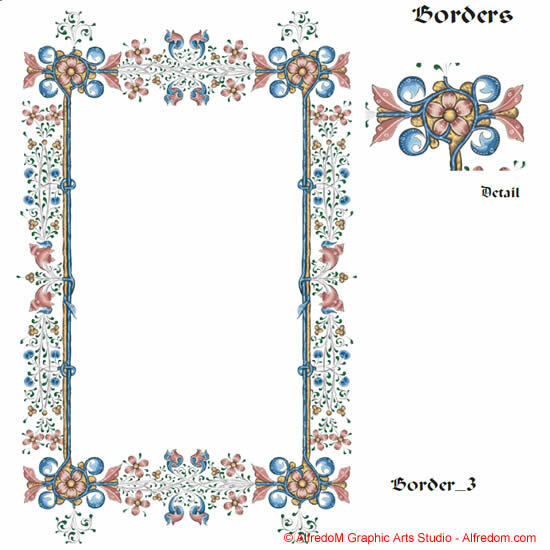 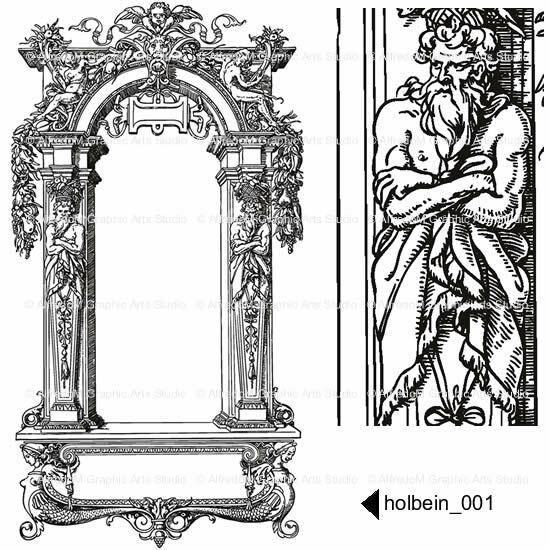 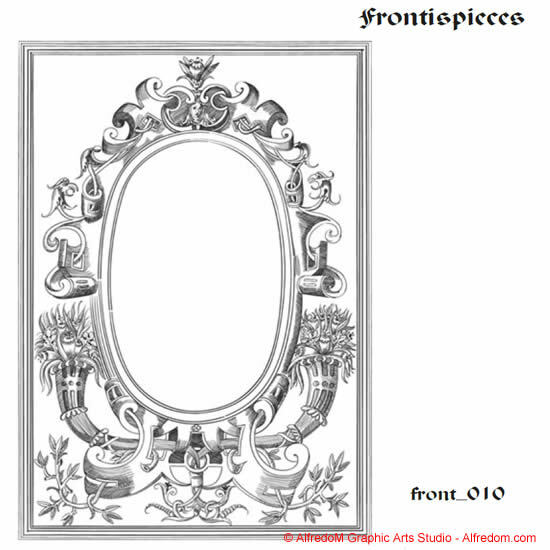 Matching Renaissance invitation borders provide an artful impression. 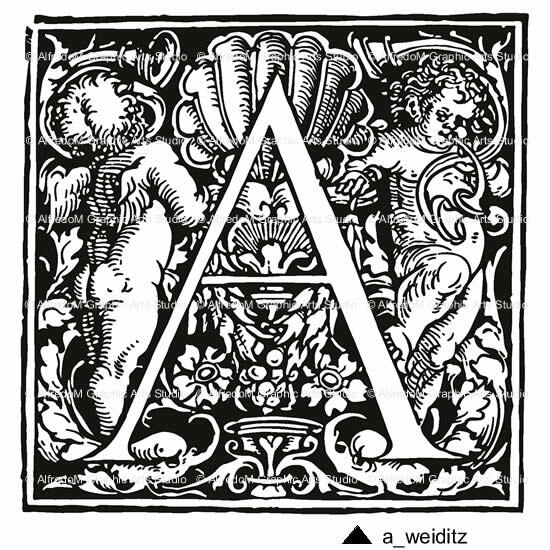 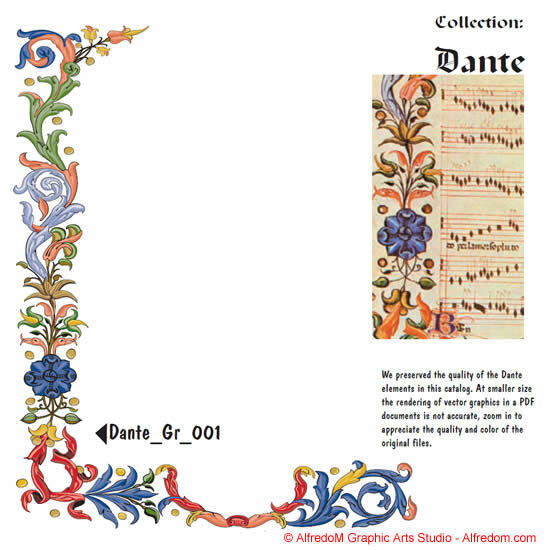 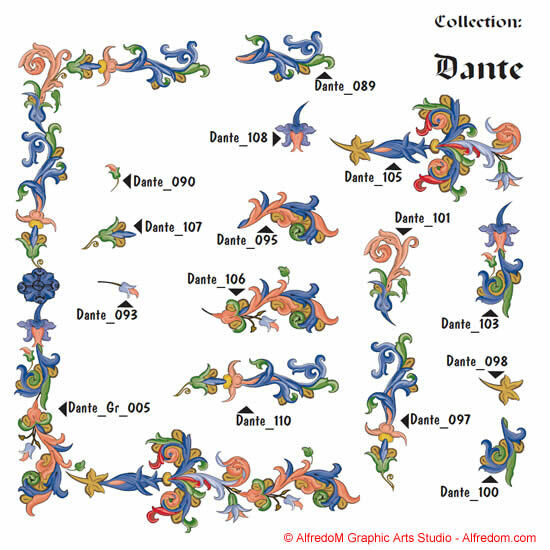 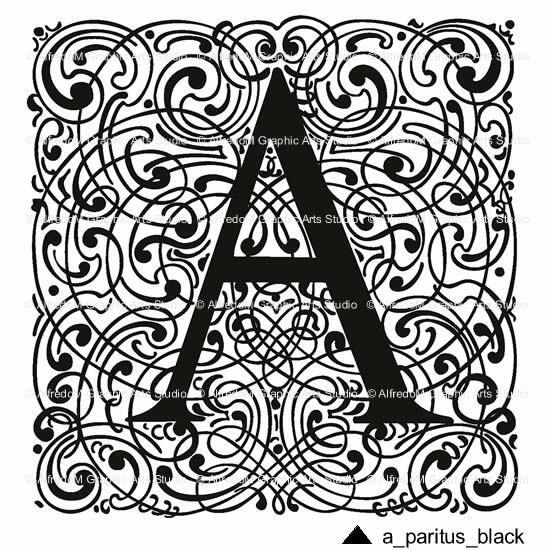 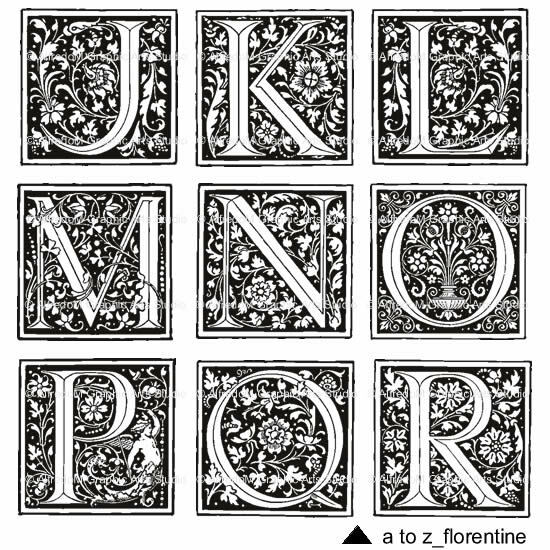 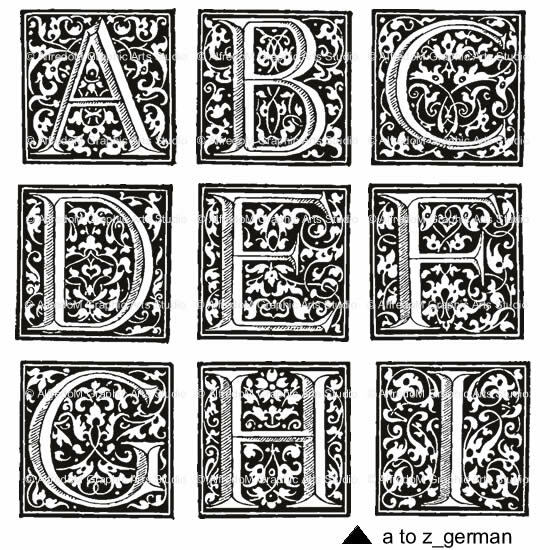 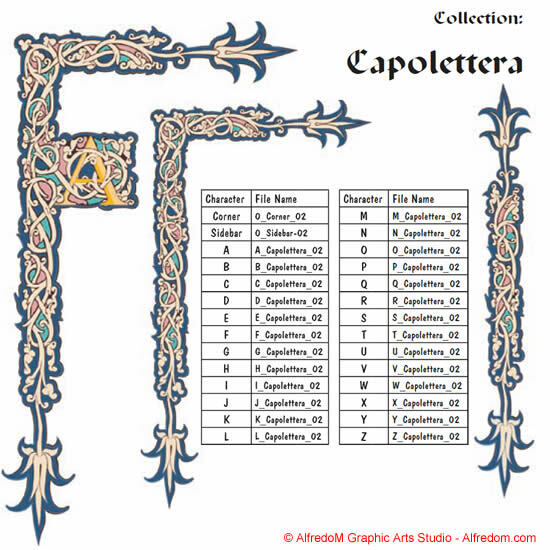 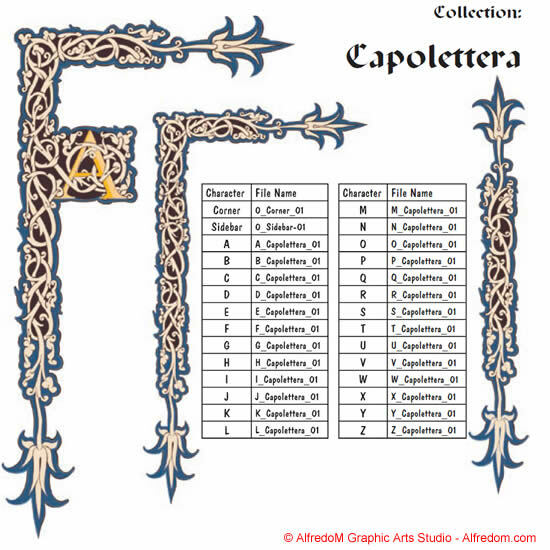 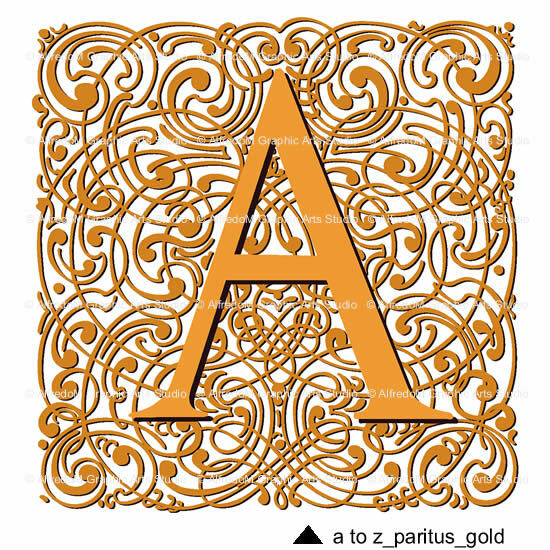 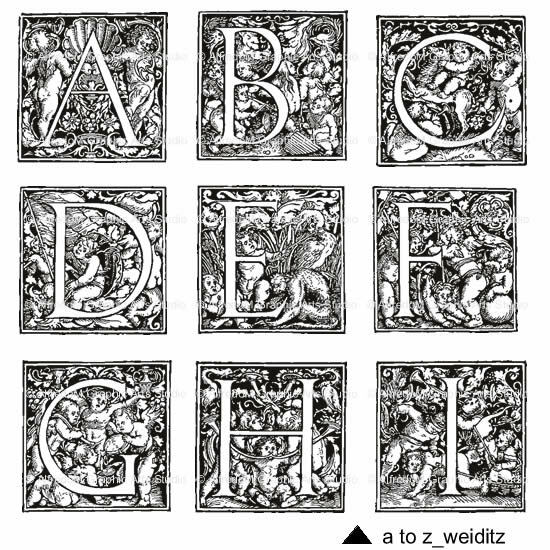 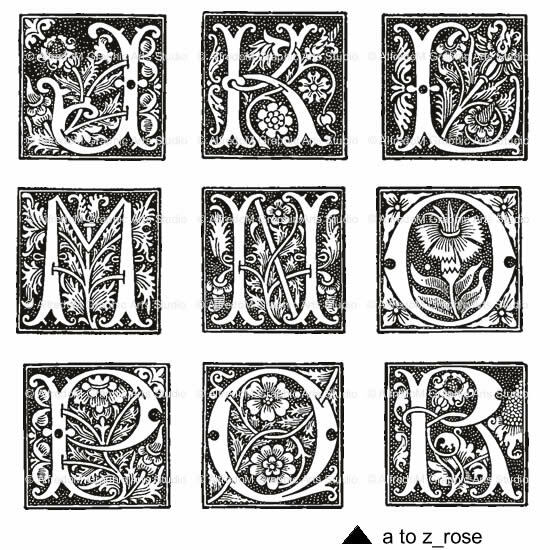 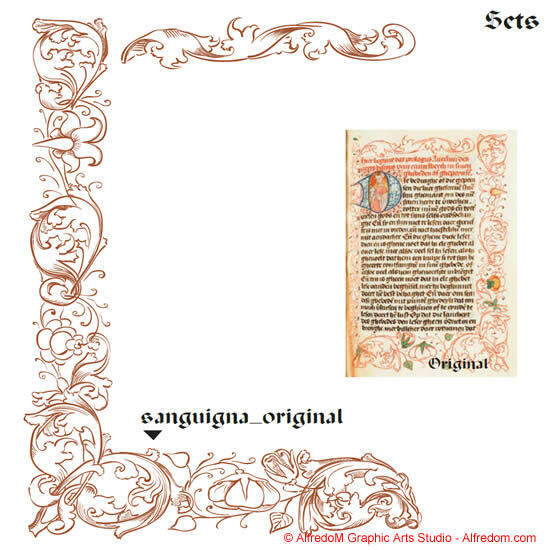 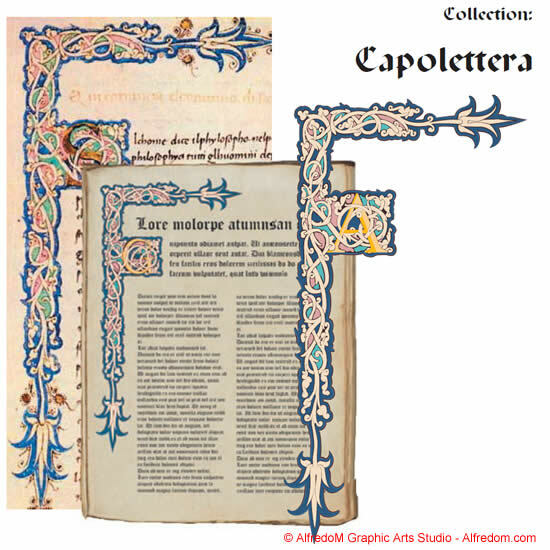 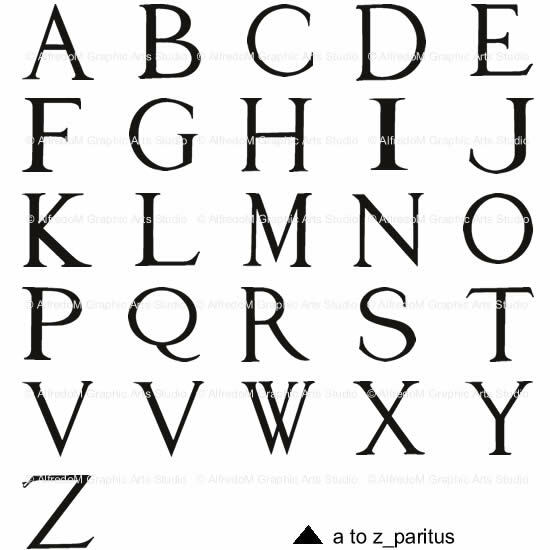 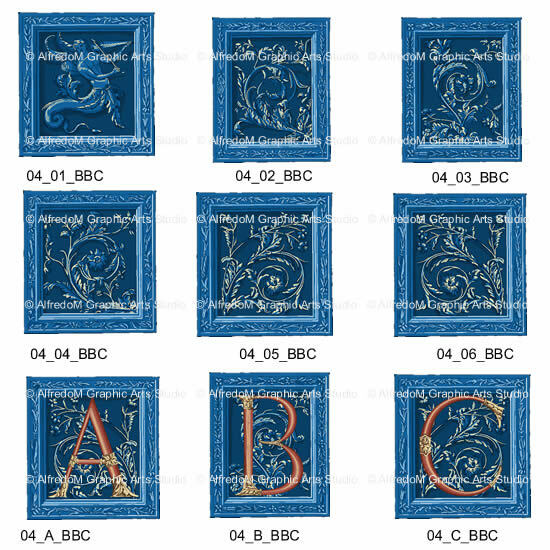 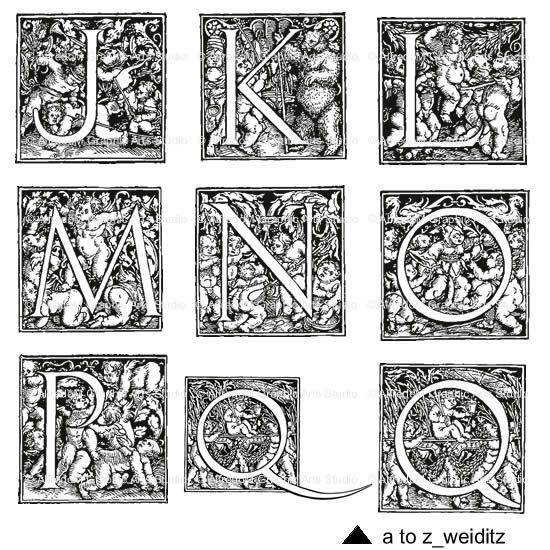 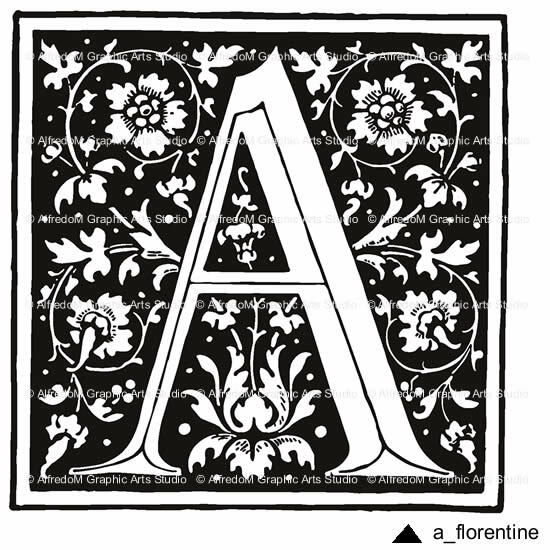 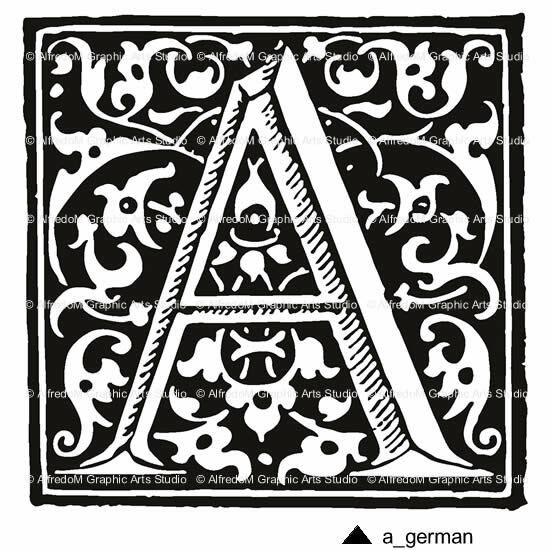 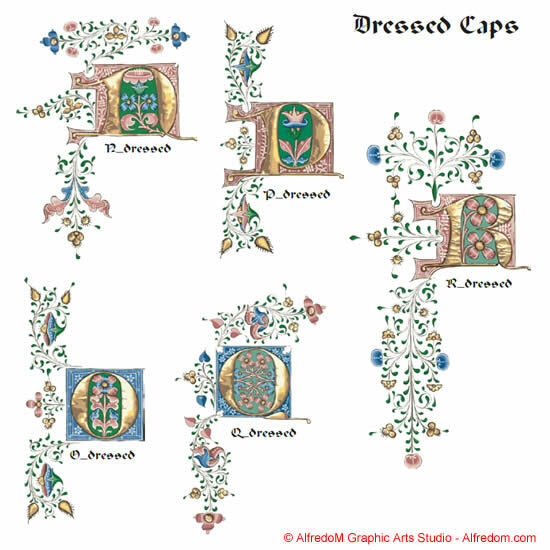 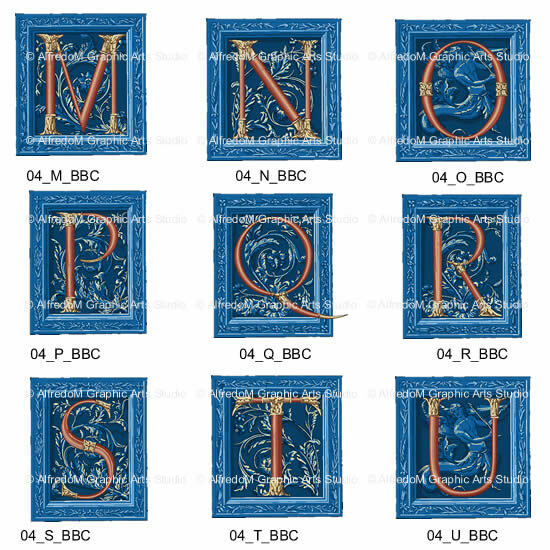 A large collection of Medieval, Renaissance y Gothic illuminated borders, initial dropcap letters, separated individual graphic elements and background images. 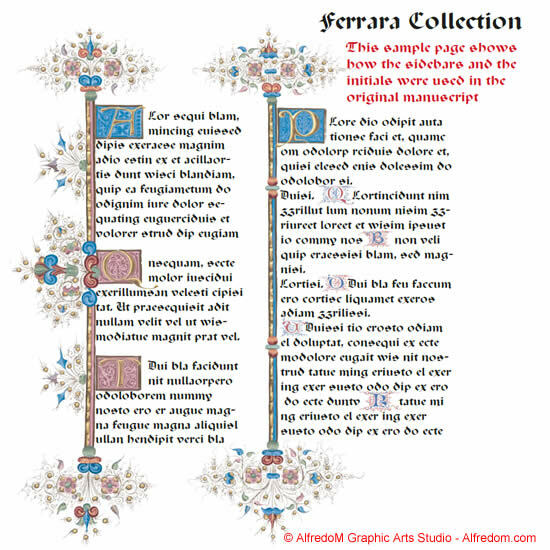 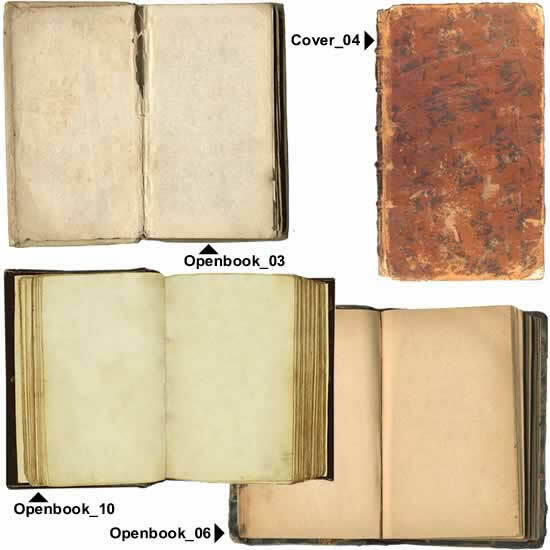 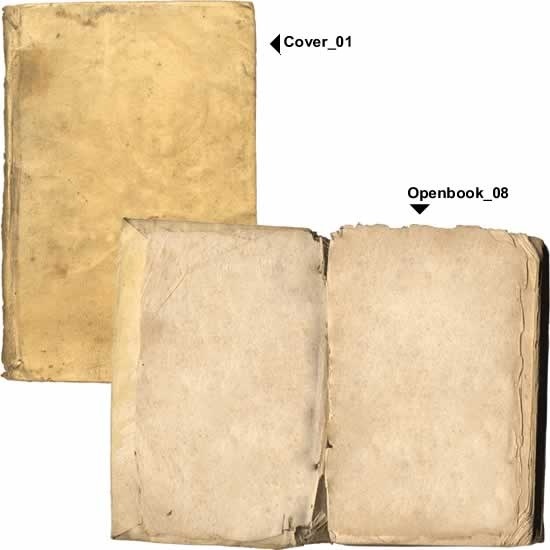 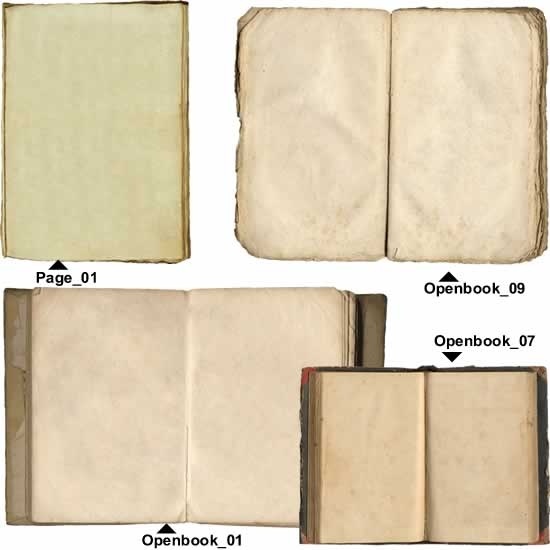 A complete HTML catalog of the contents in each volume.